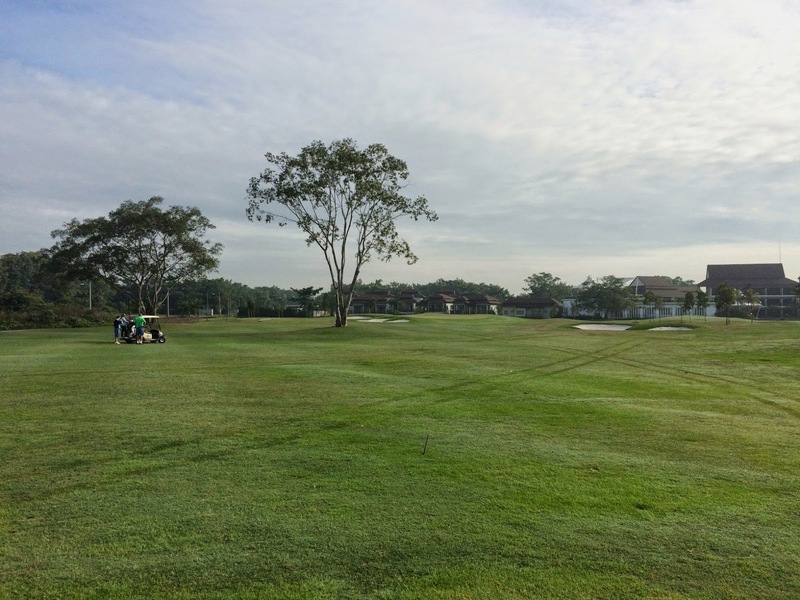 The Trophy Game for November was played at Amverton Cove on a beautiful clear morning. 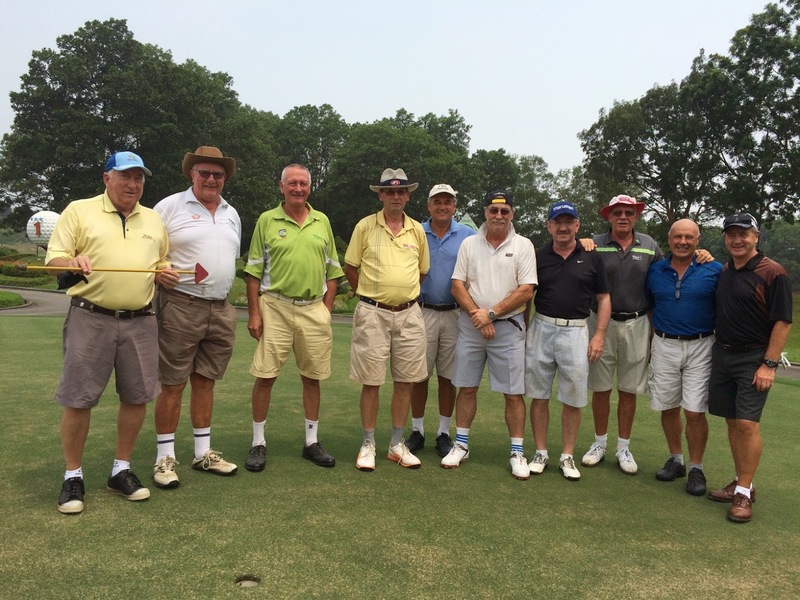 There were 16 Loose Cannons which made for a nice 4 flights teeing off on two separate 9’s. 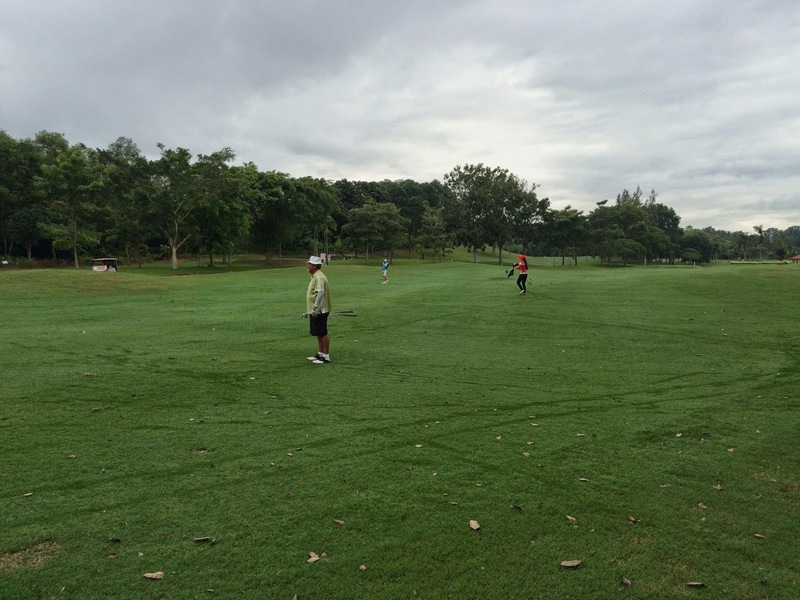 Course conditions were a little wet and the fairways had been left to go a bit – so a bit heavier going than normal. 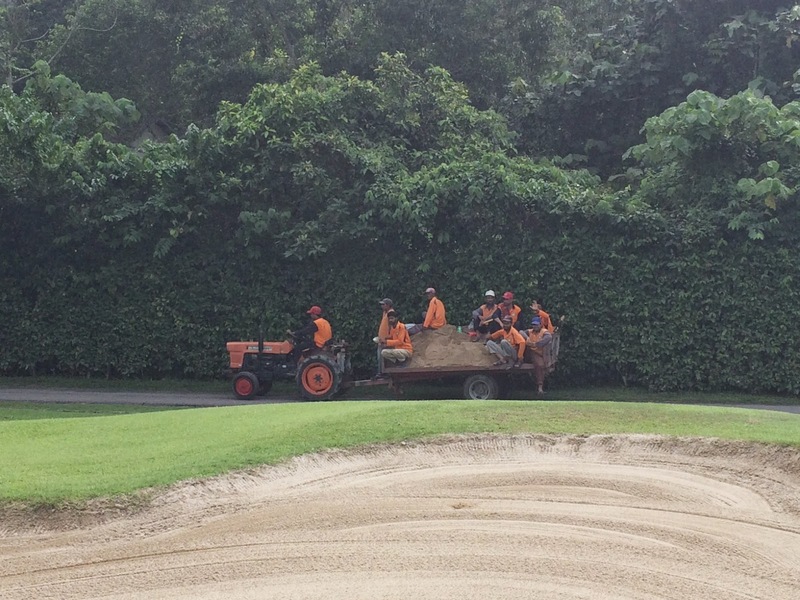 The greens were good although most of them had recently been sanded making them on the slow side. 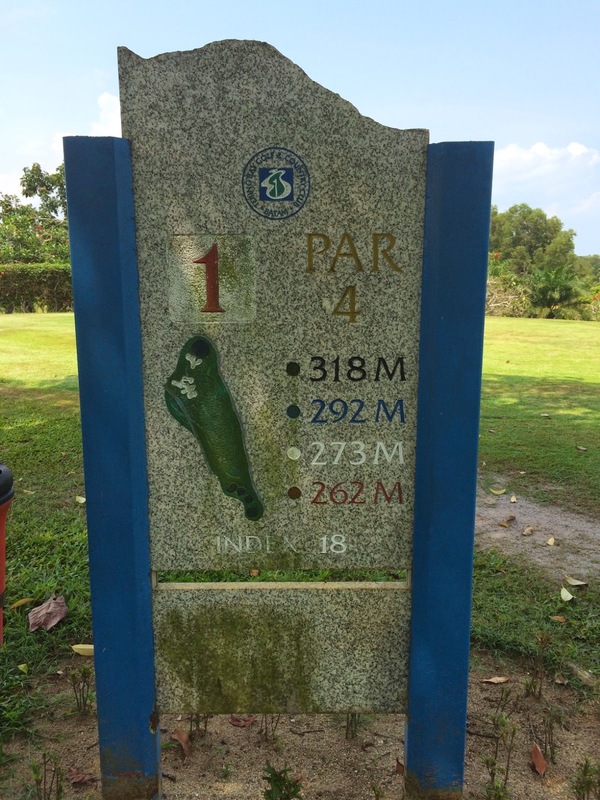 We played from the blue tees as is normal at this course and were all finished in good time by just after 12pm. 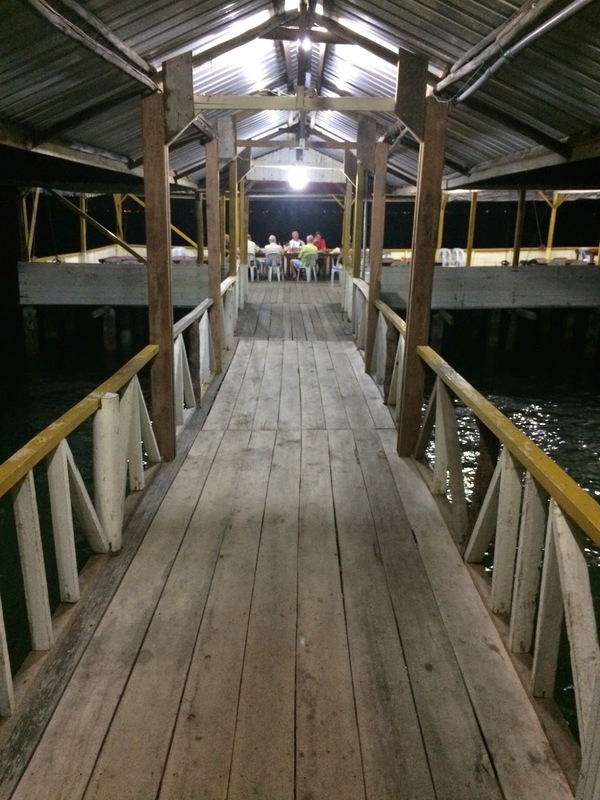 Lunch was at the “usual” seafood restaurant just past the bridge on the right after leaving the club …. 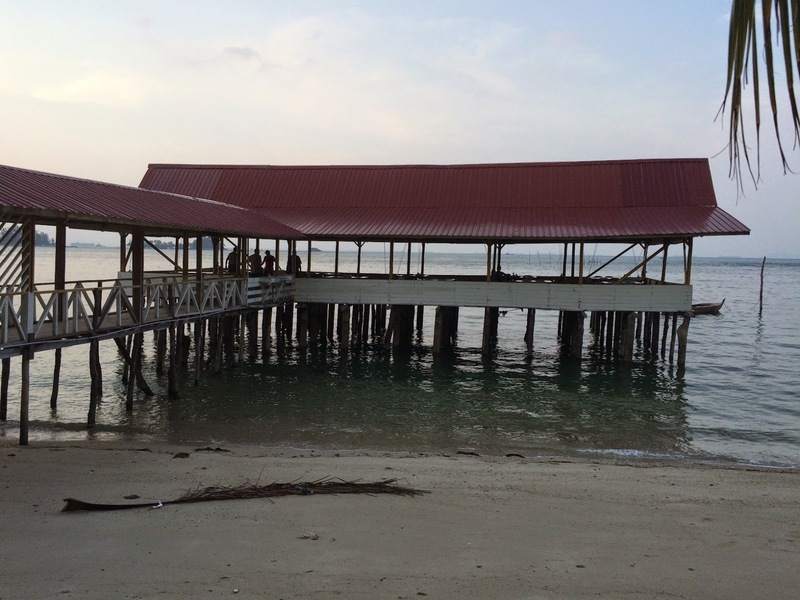 and NOT the alternative restaurant on the left which had been used last time as the usual one had been closed …. 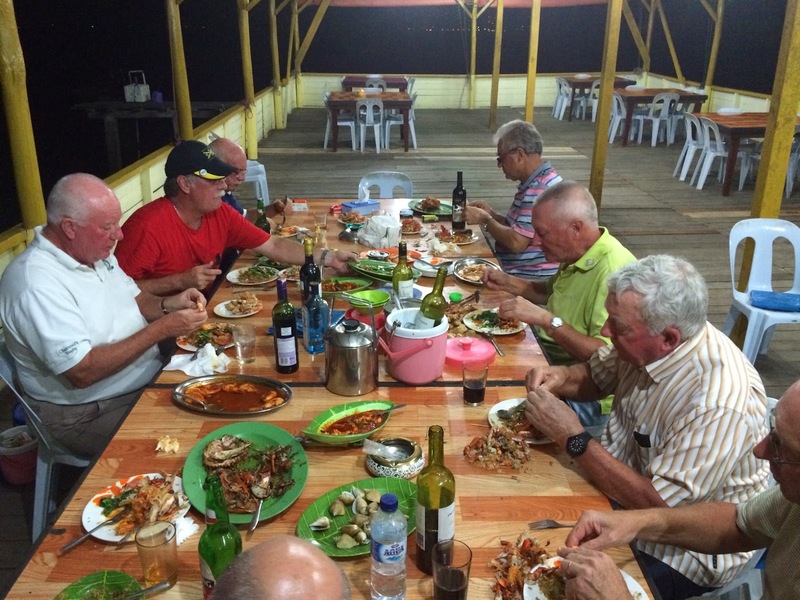 we still had 4 of our party head to this incorrect venue … but they joined us shortly thereafter and luckily had not ordered a banquet for 16 there! 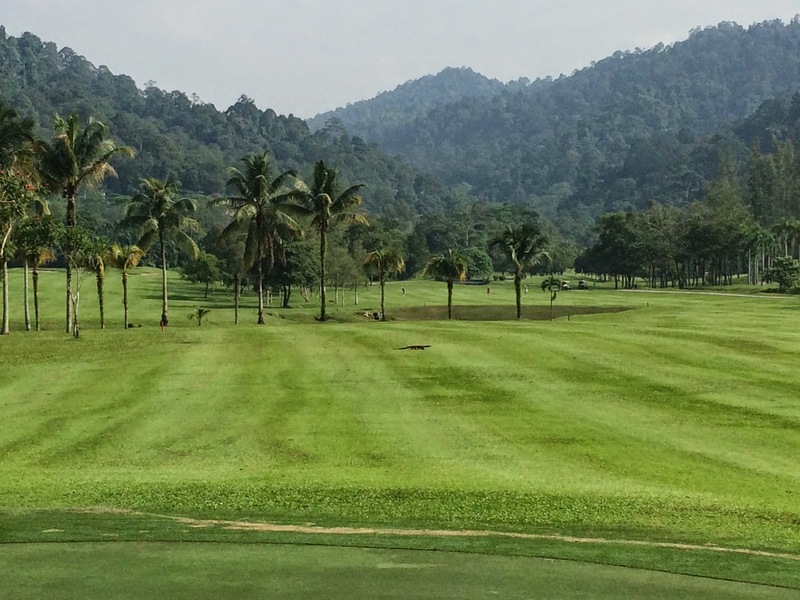 An excellent turnout of 24 players this week to what may be our last time to play Perangsang Templer as it will most likely close shortly. 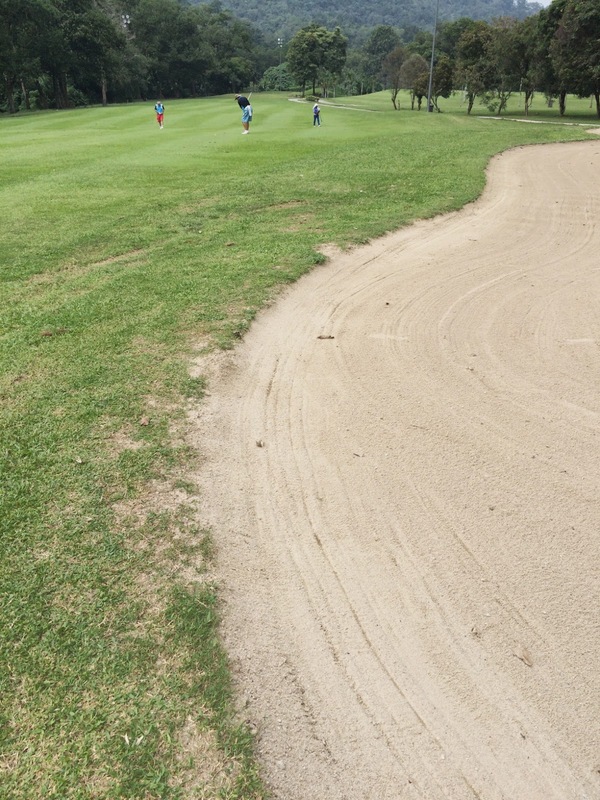 Weather was good and the course conditions were good apart from a few greens which were being sanded and cored. 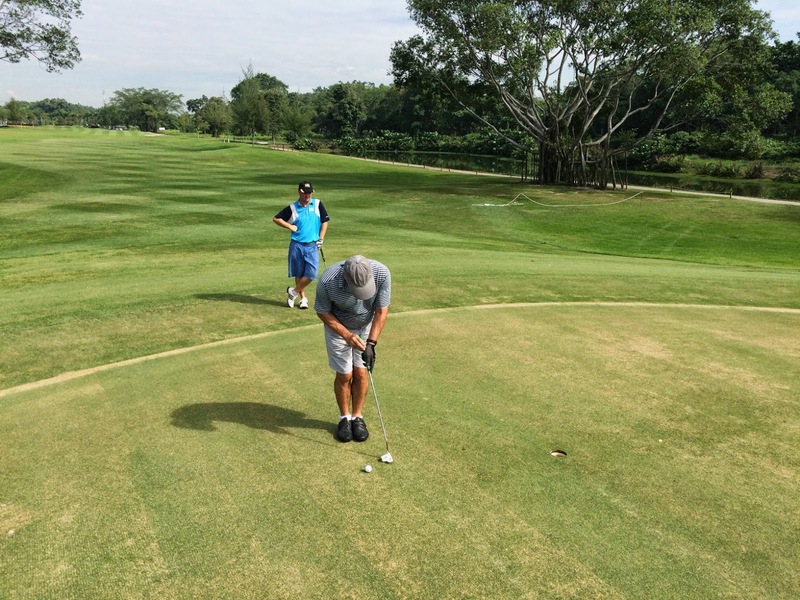 We got off on split tee boxes so we all finished by around 1pm and then 18 of us re-convened at Tang Dynasty Restaurant for a good lunch kindly ordered by Andrew Robinson. 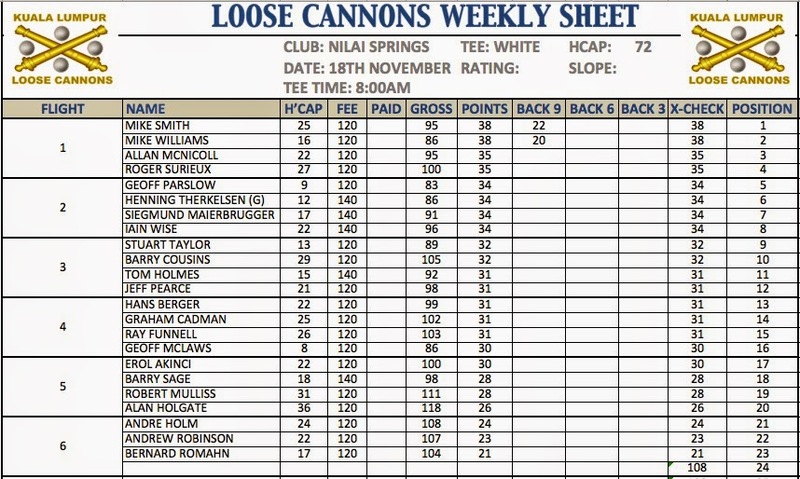 Drinks were generously sponsored by Jeff Pearce who was celebrating his 100th game with Loose Cannons. 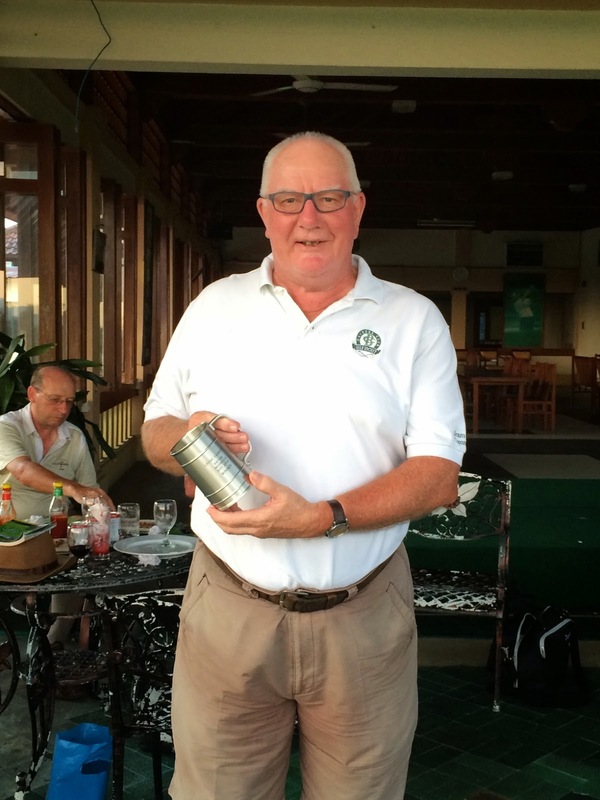 Jeff also kindly donated some sleeves of golf balls which he gave out for various “prizes” over lunch. 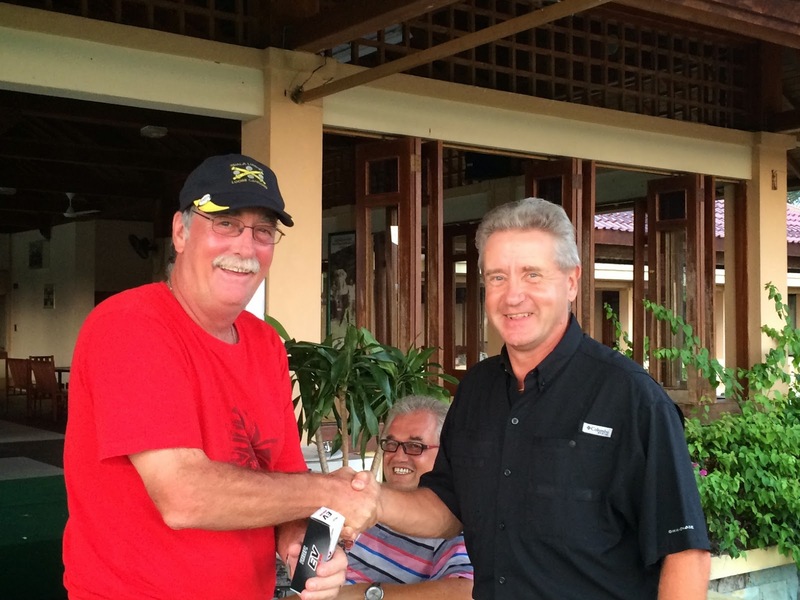 Thank you Jeff for your generosity. 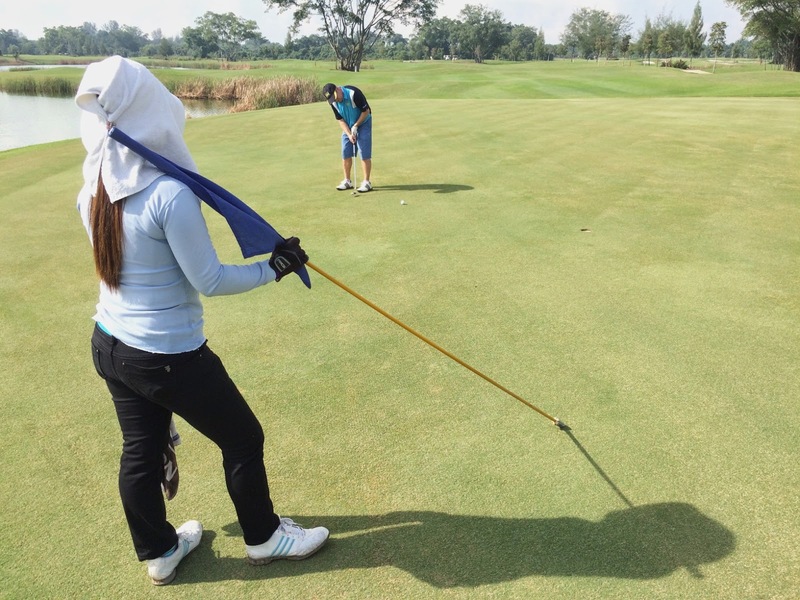 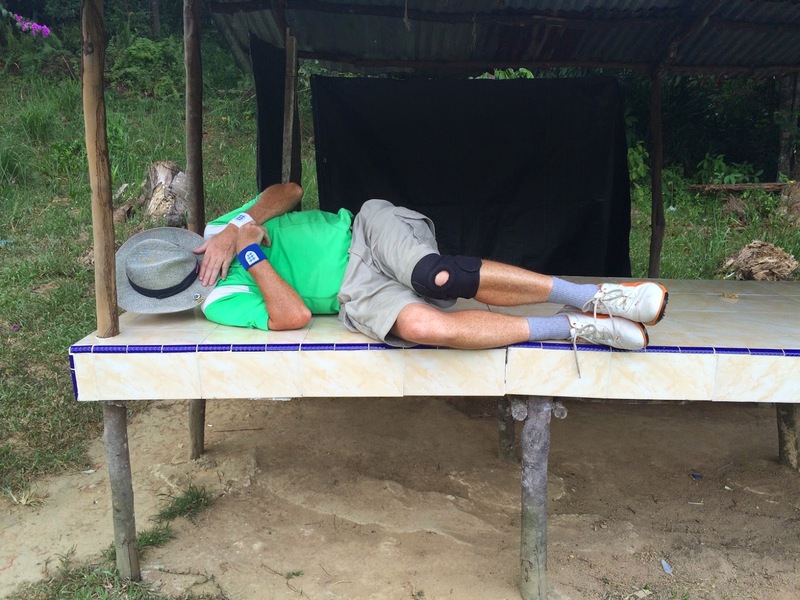 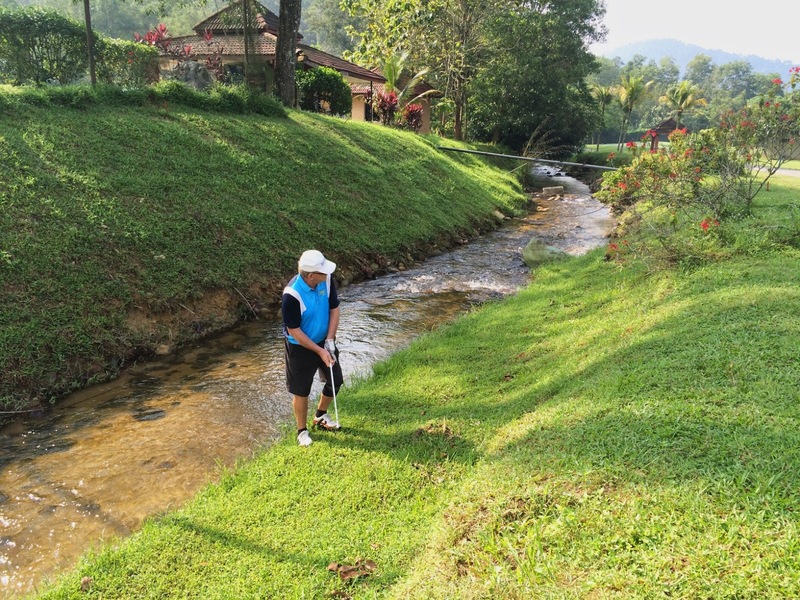 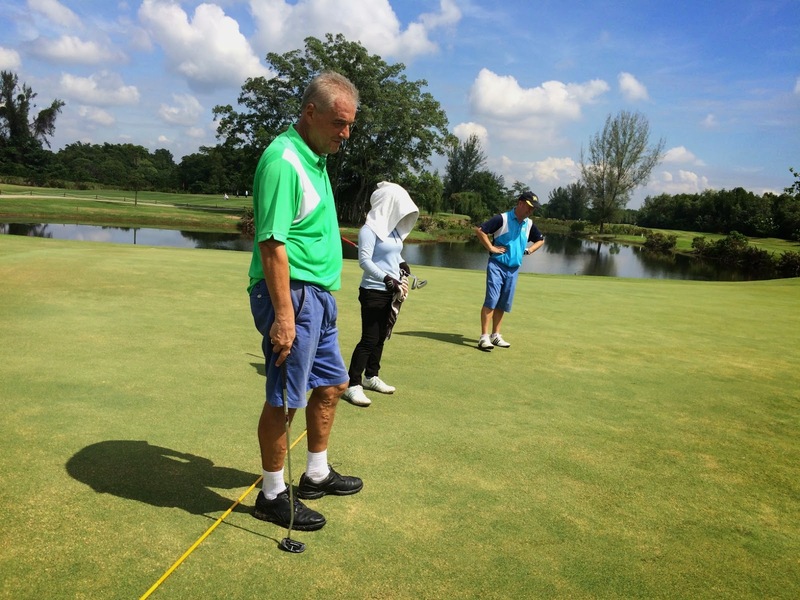 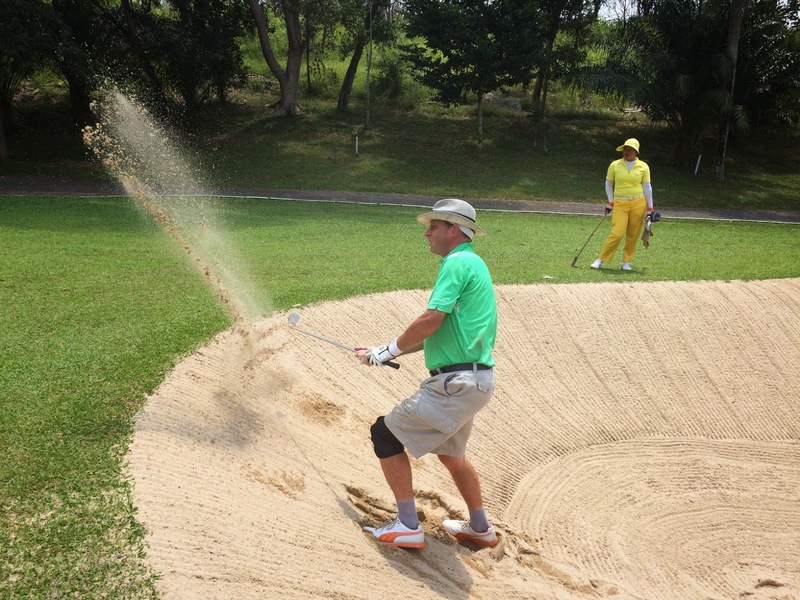 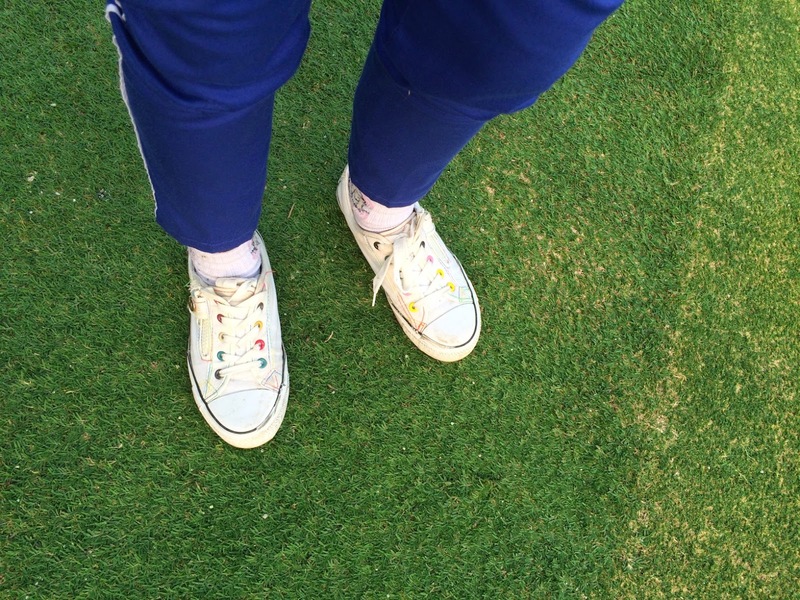 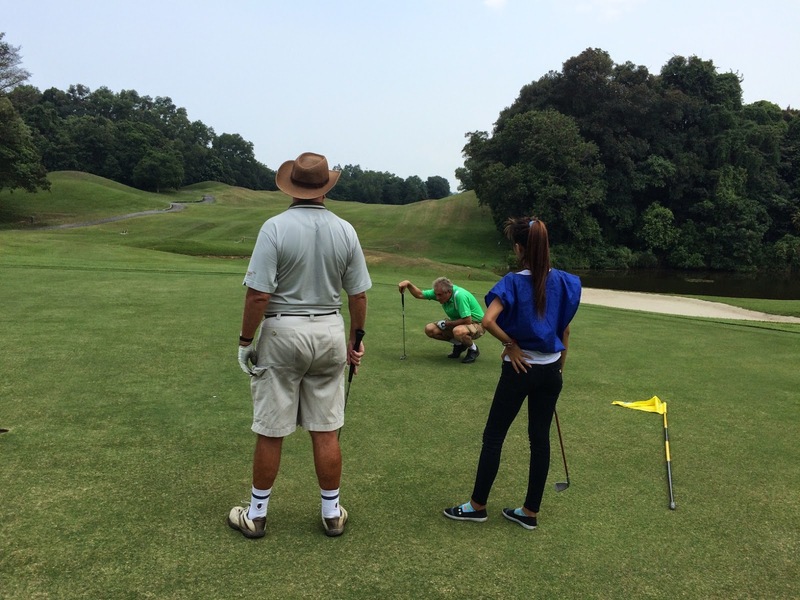 Ray Funnell using his new right-handed putting technique has improved his performance …. 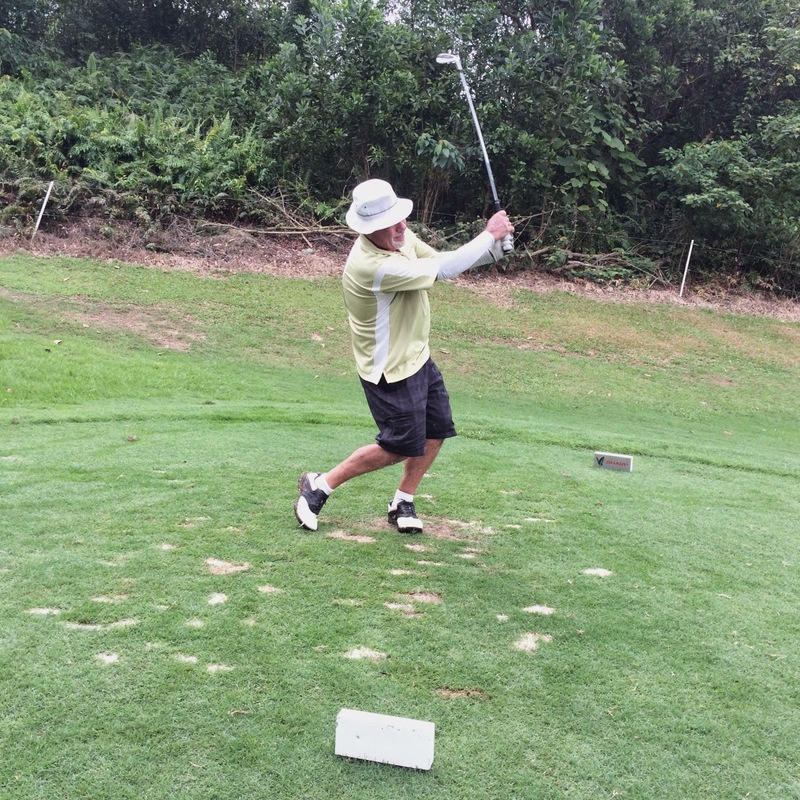 just wondering when he will throw away all of his left-handed clubs and play everything right-handed! 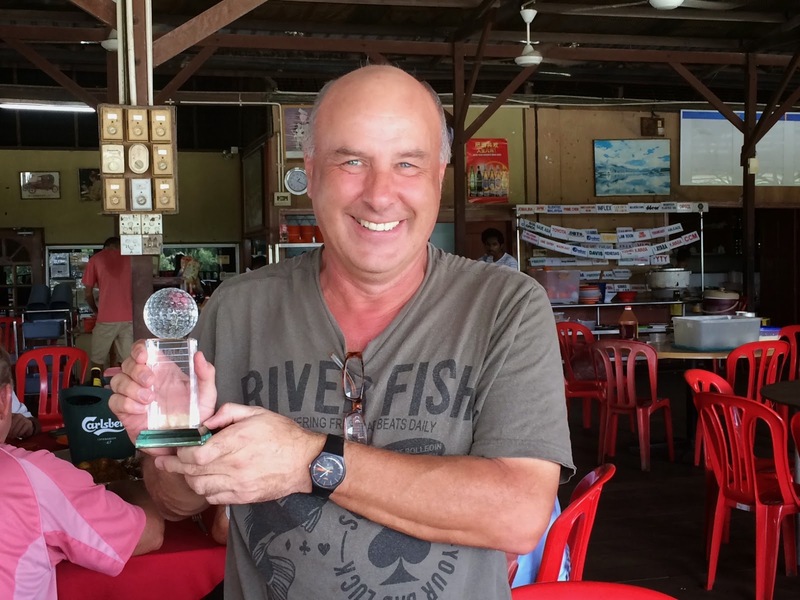 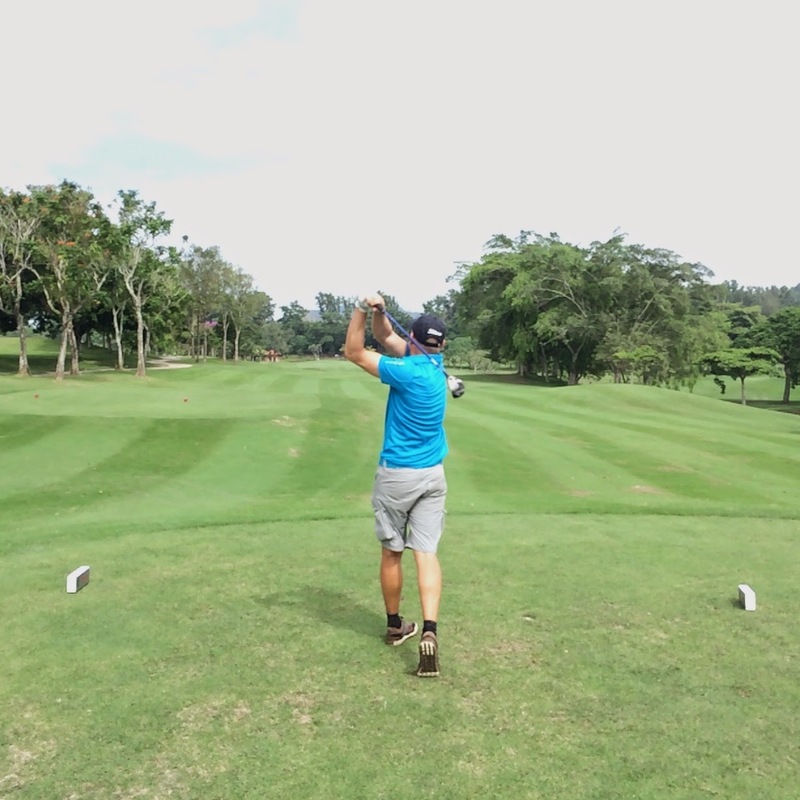 Richard Moss sporting his new handicap of 33 went from the “high” of the recent Batam Away win to bottom place today on 21 points – winning a sleeve of balls from Jeff Pearce for this fine effort. 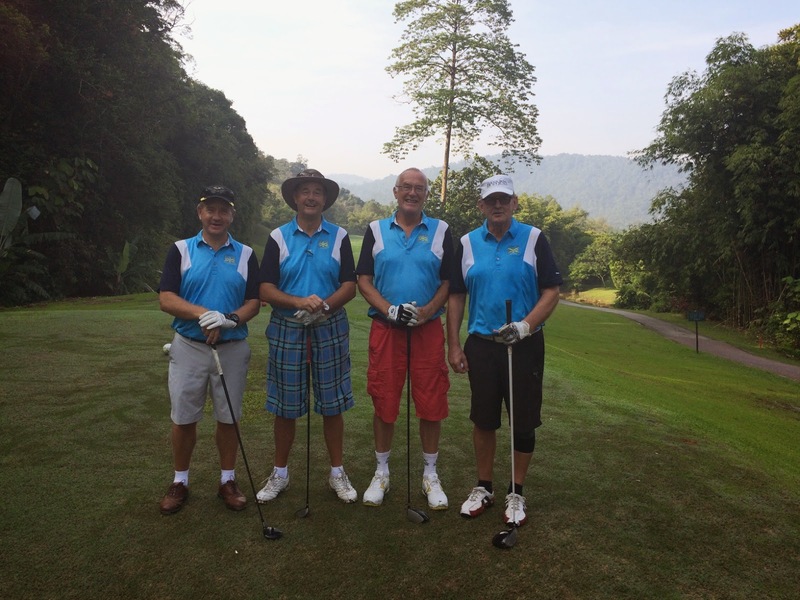 Welcome again to our new players; Peter Barker and Rob Russell and a guest of Geoff McLawas, Henning Therkelsen. 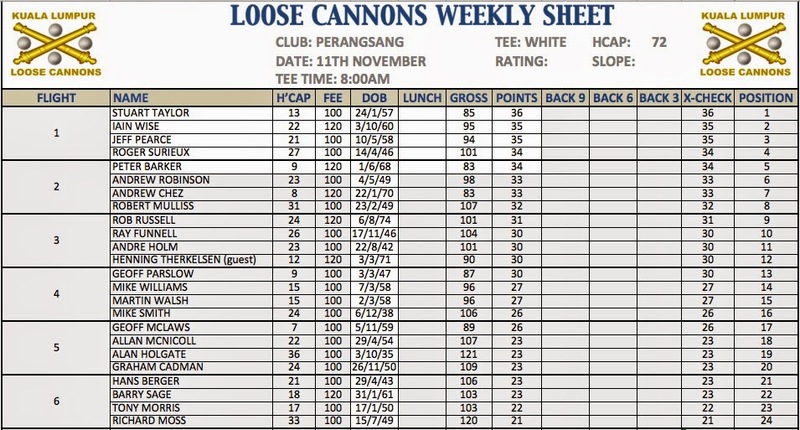 With the main group of Cannons on tour this week to Batam, a small group of non tourists assembled for game at Tasik Puteri. 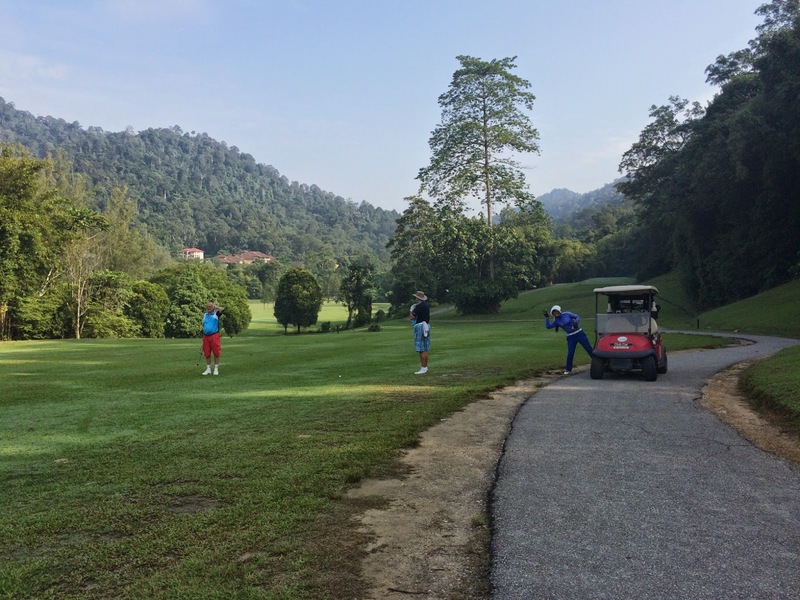 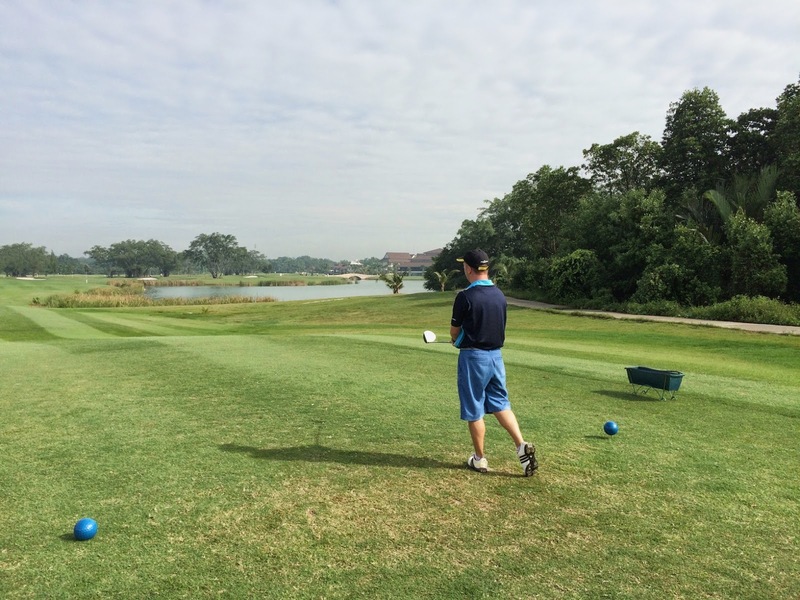 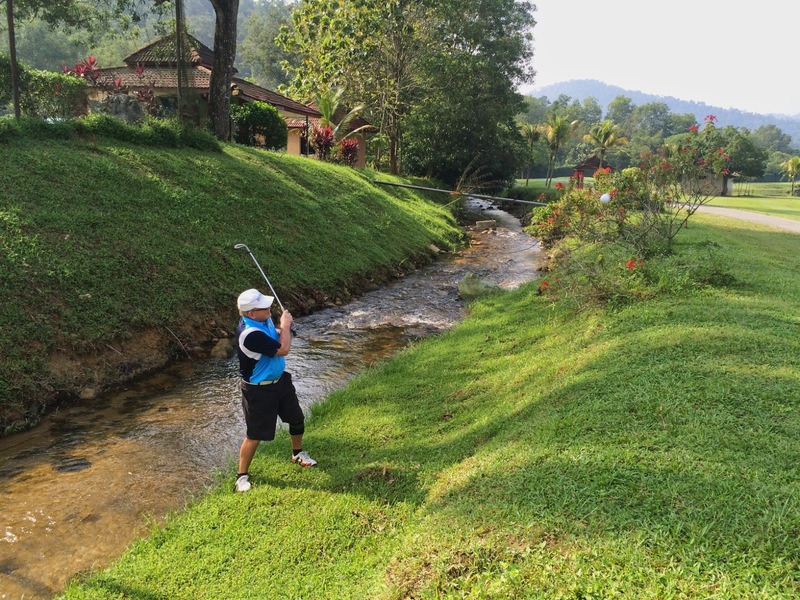 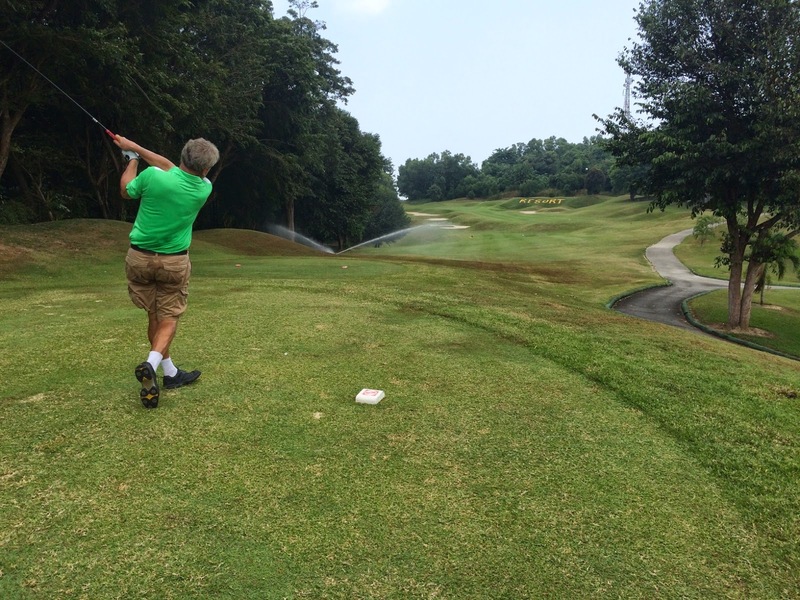 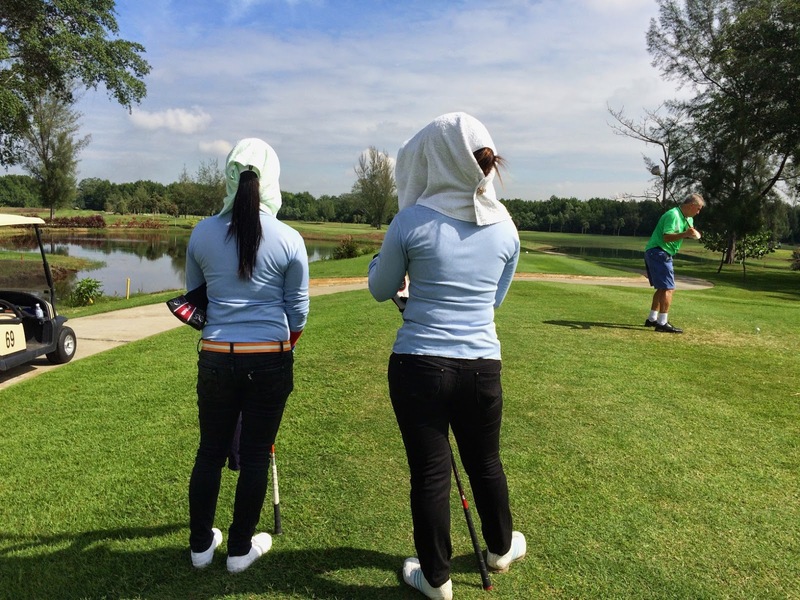 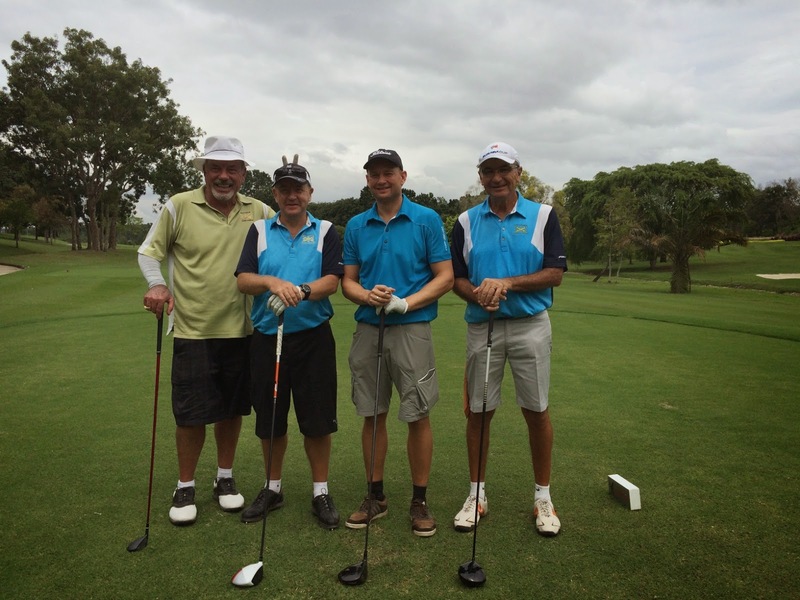 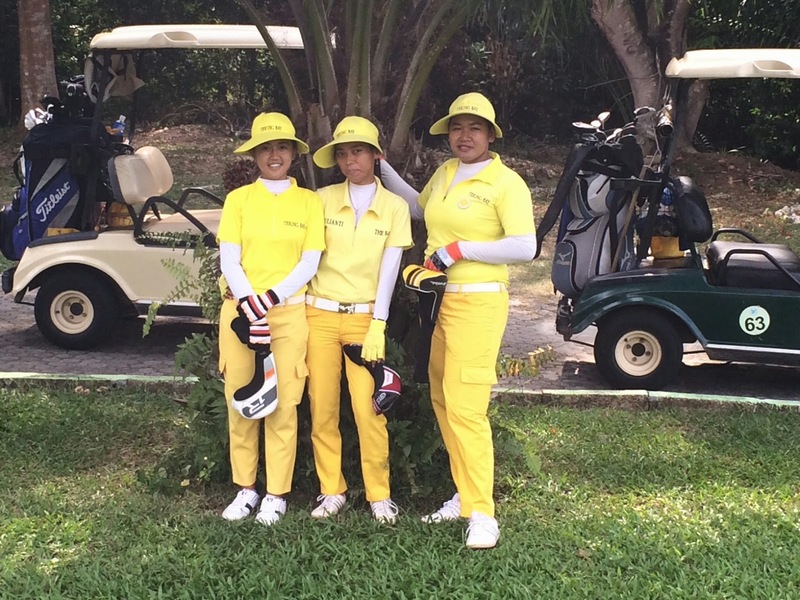 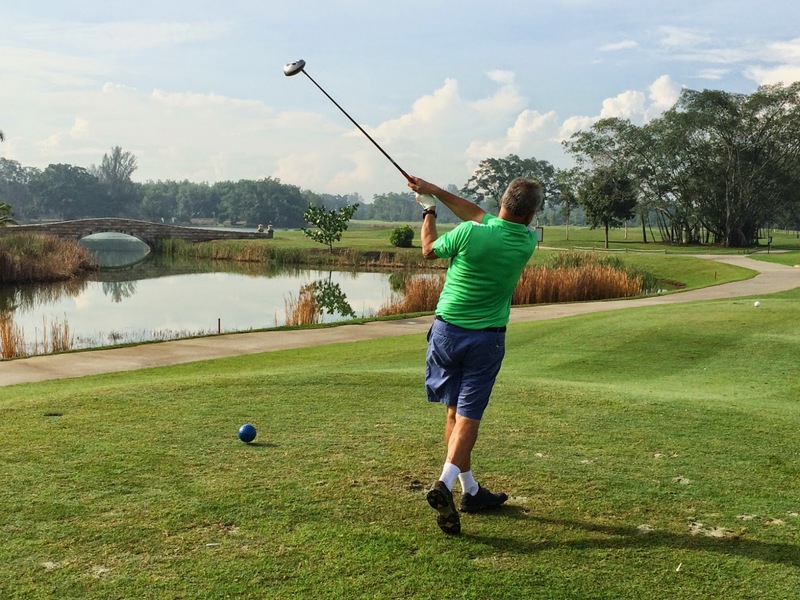 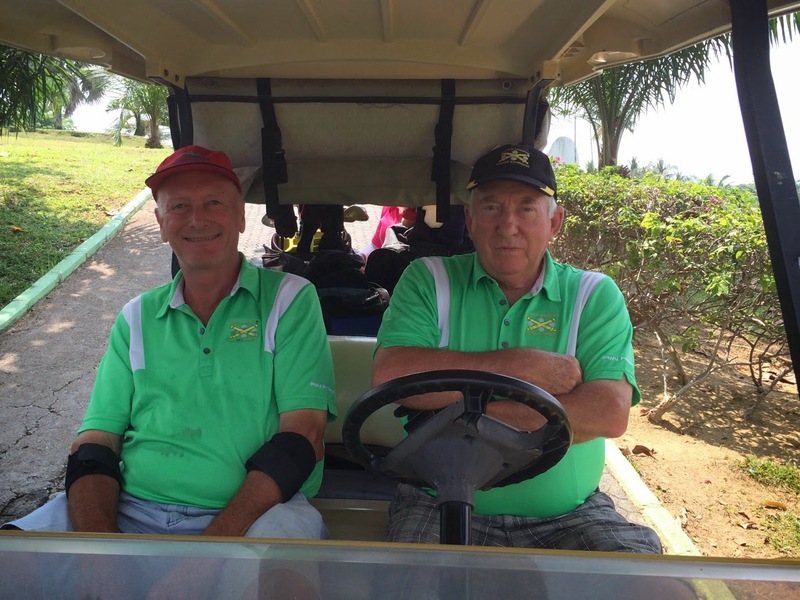 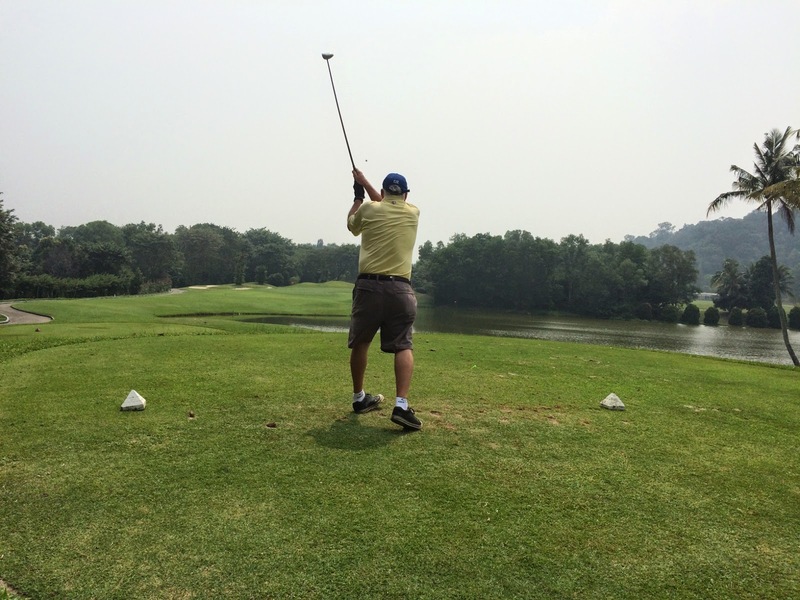 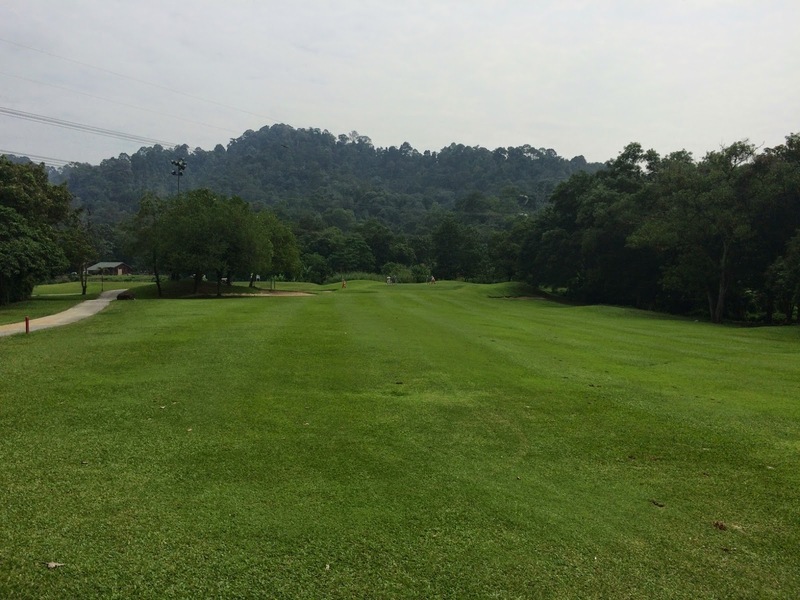 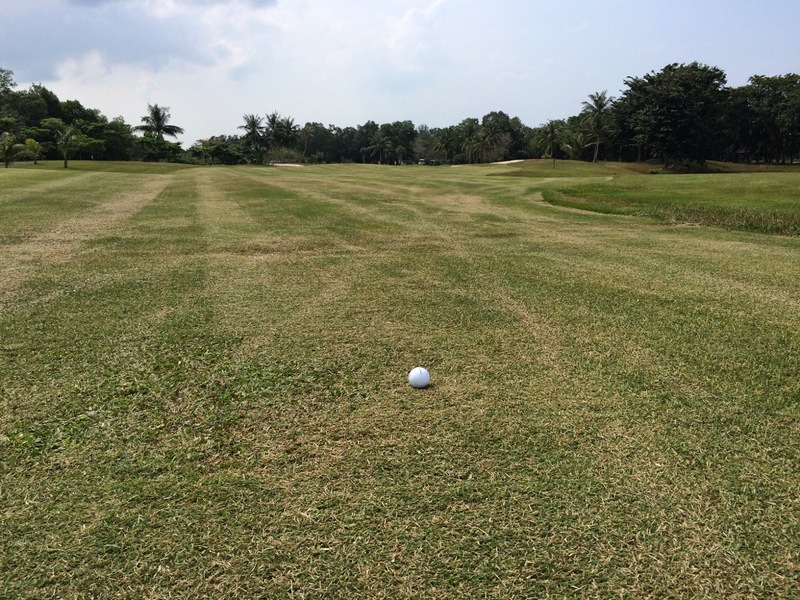 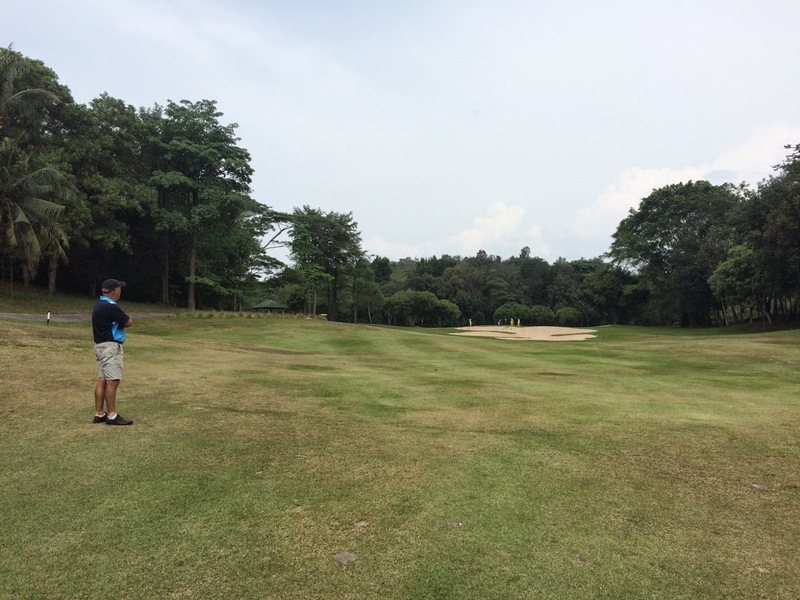 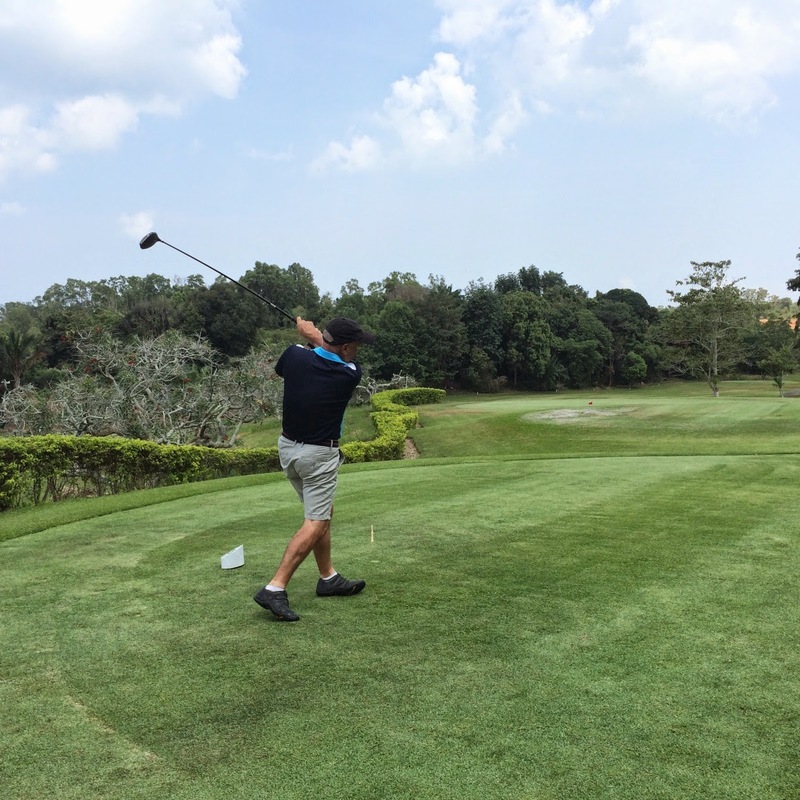 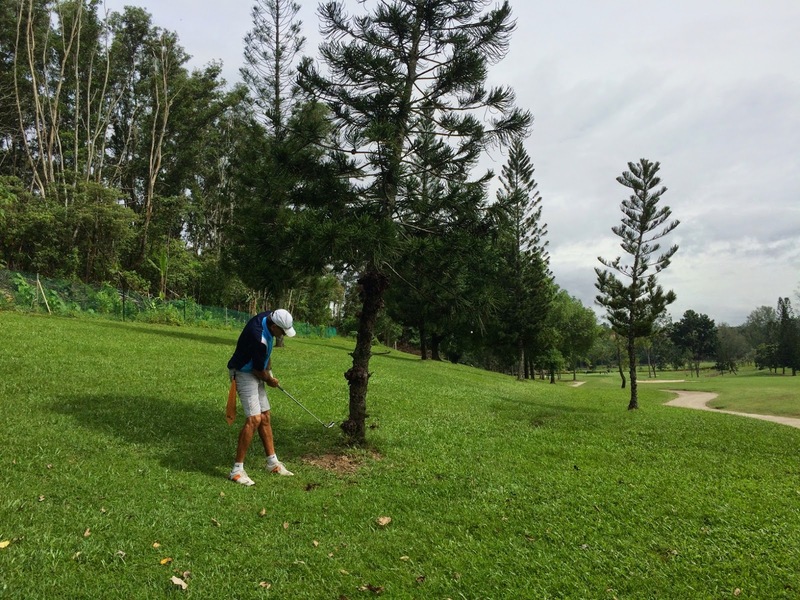 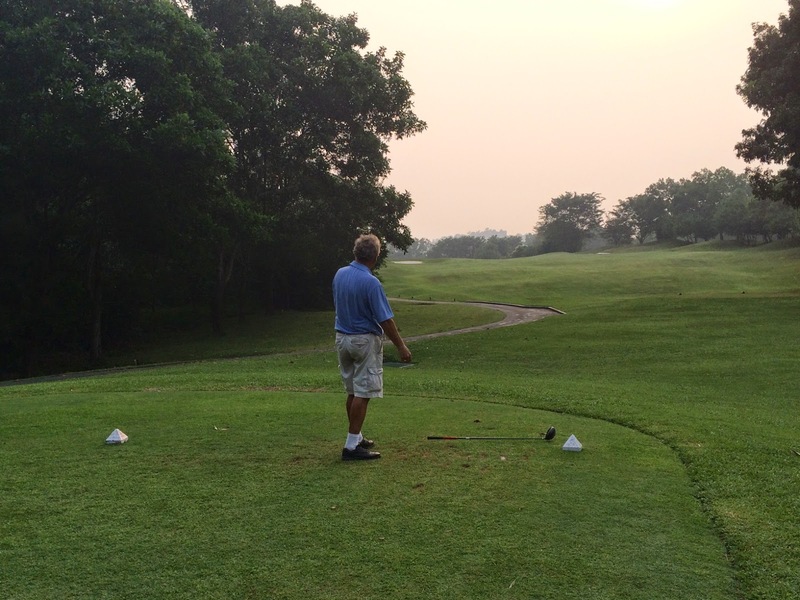 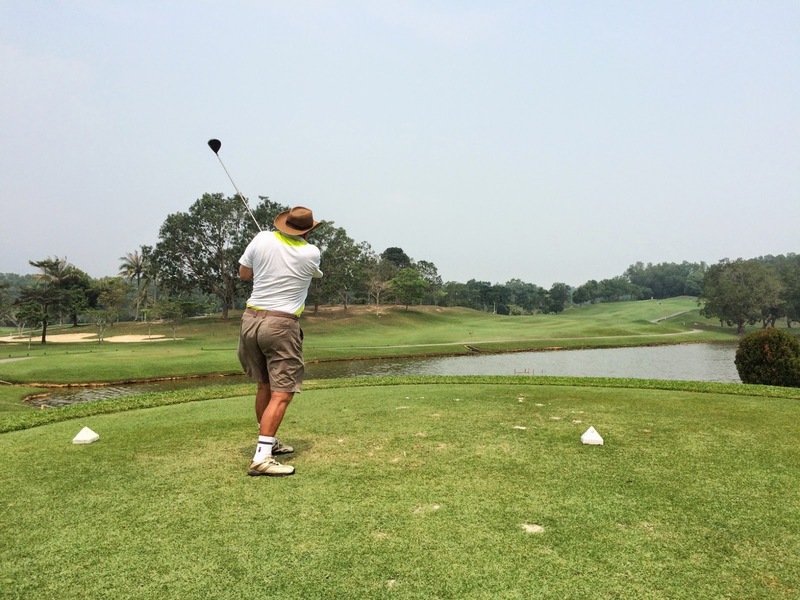 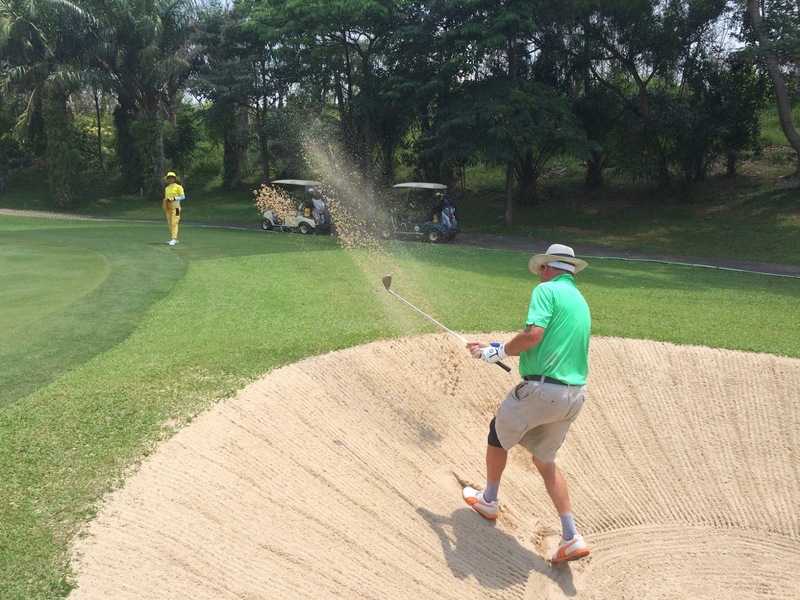 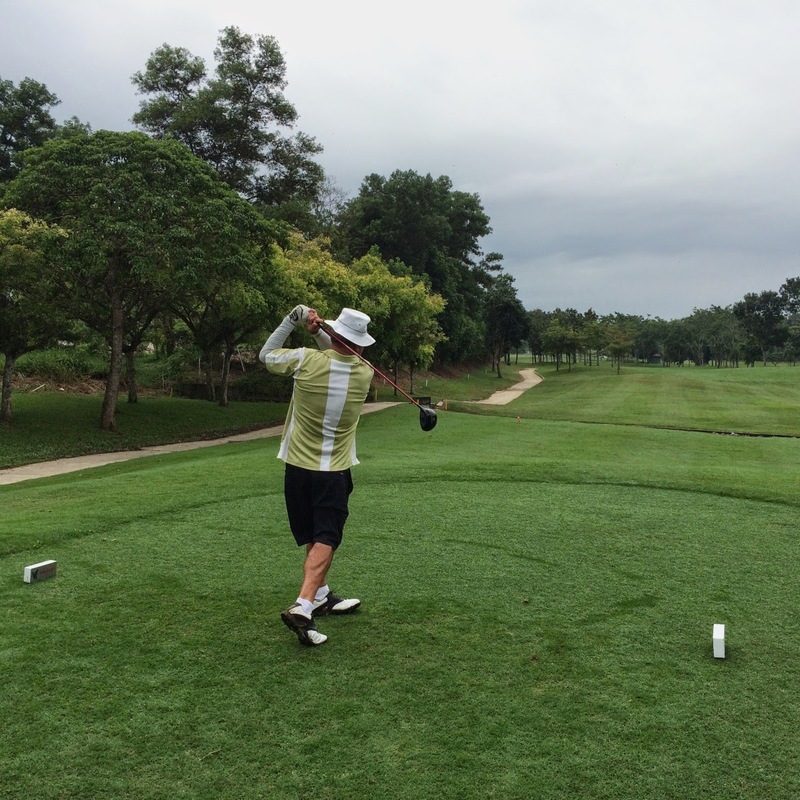 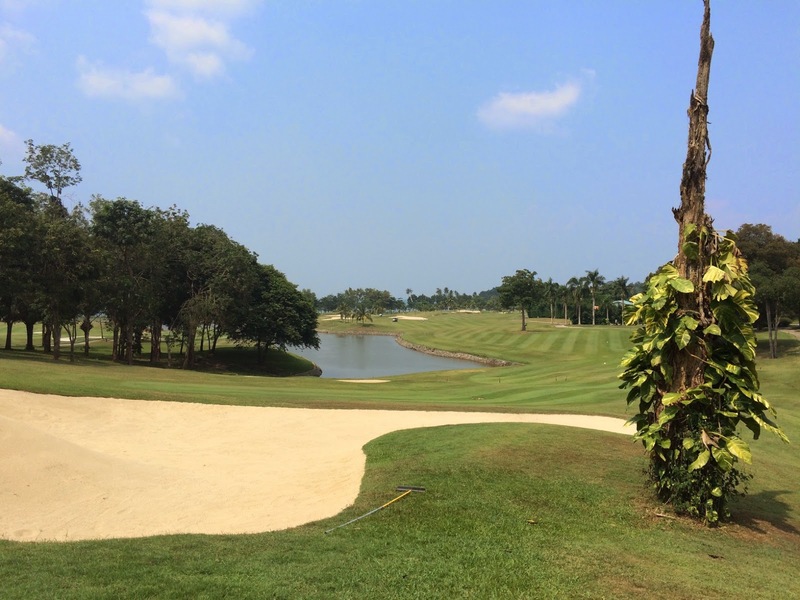 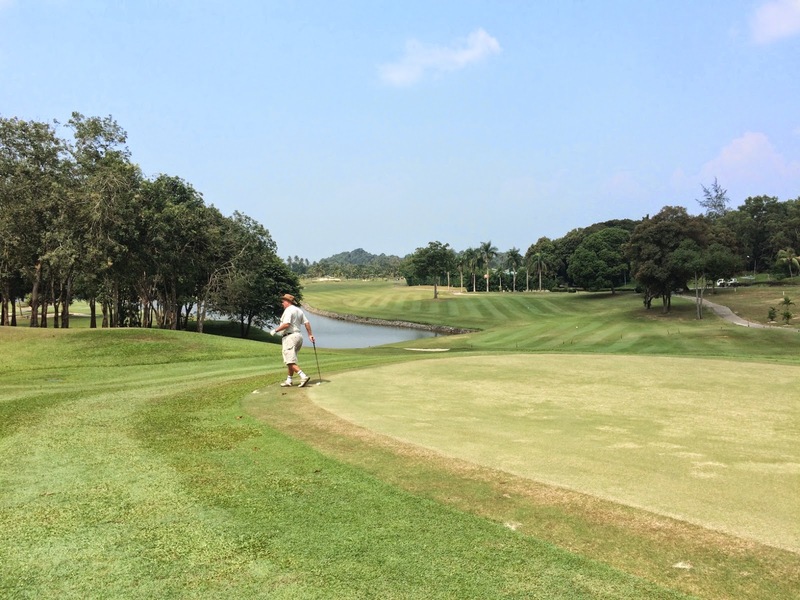 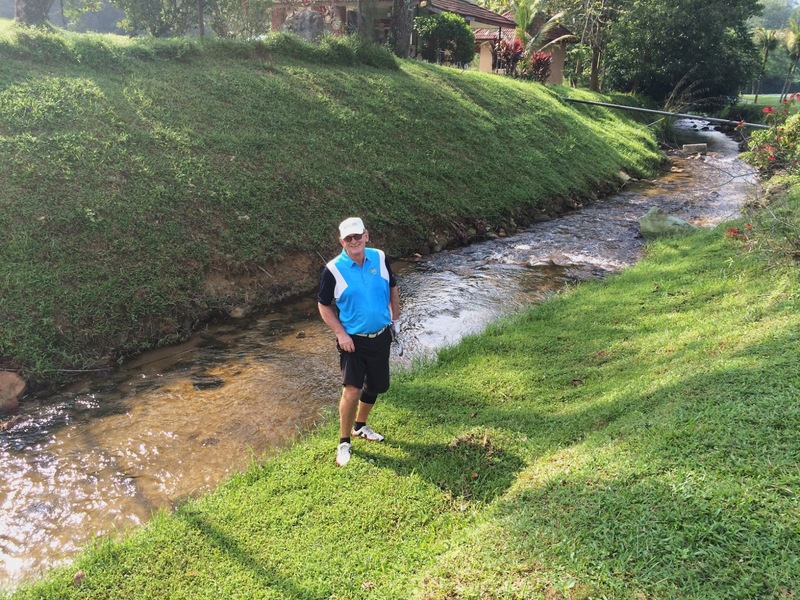 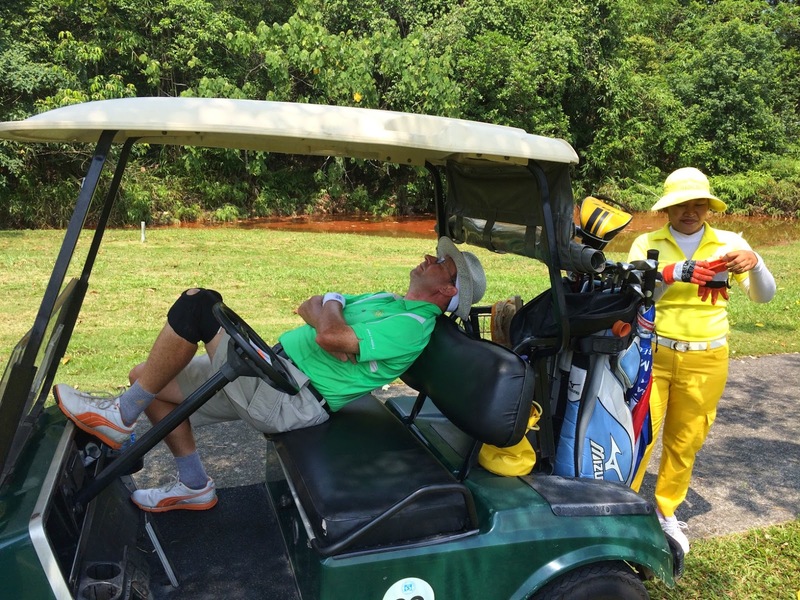 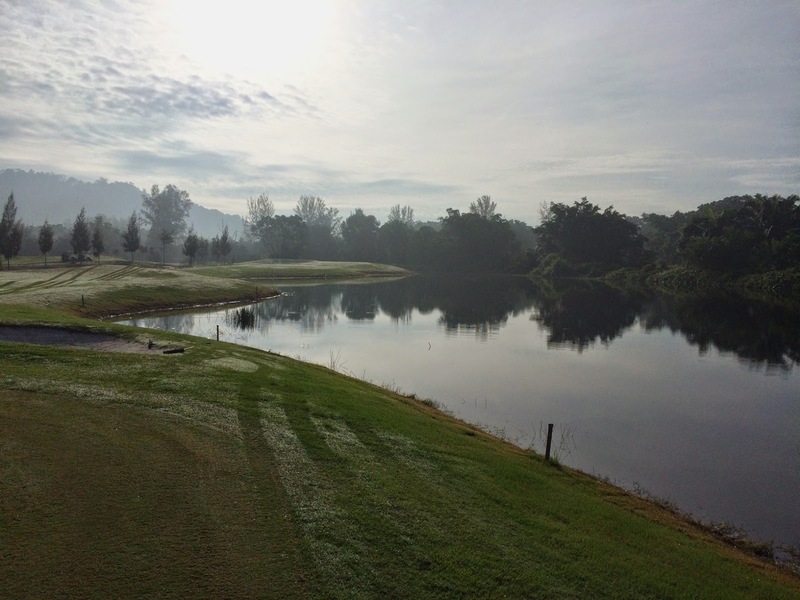 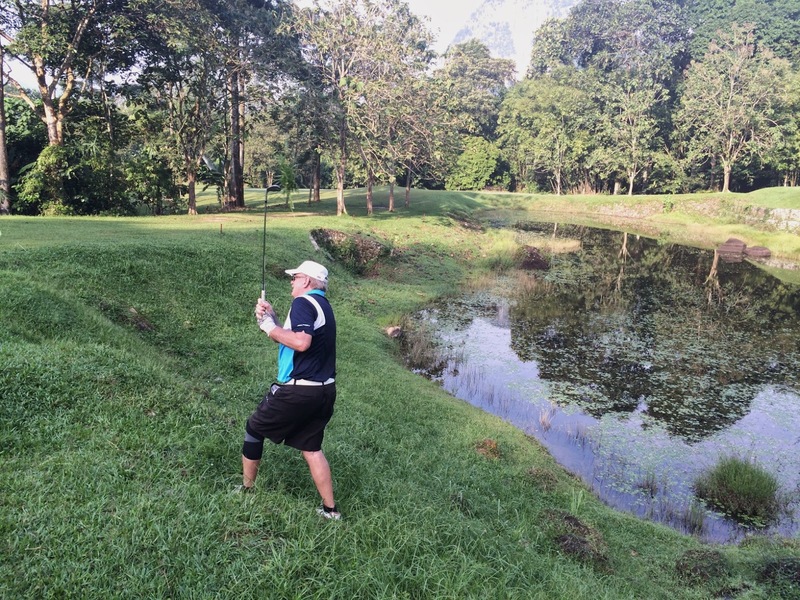 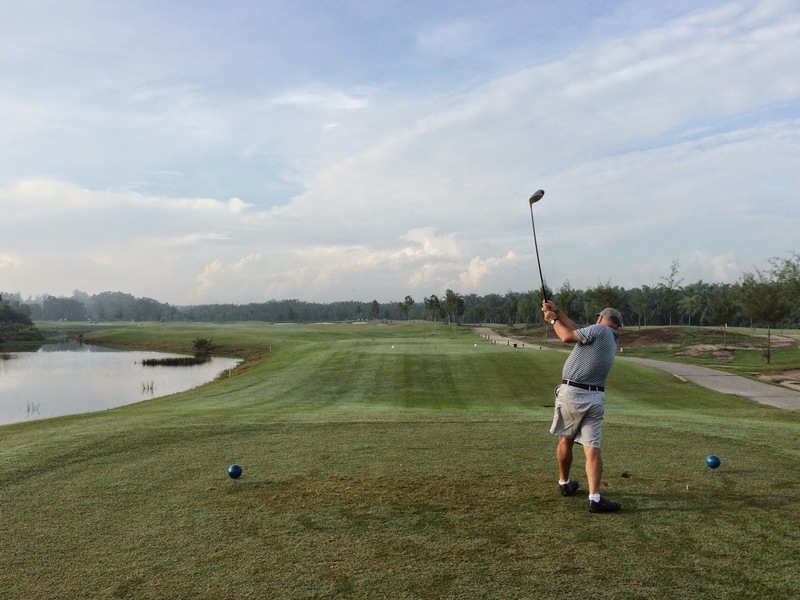 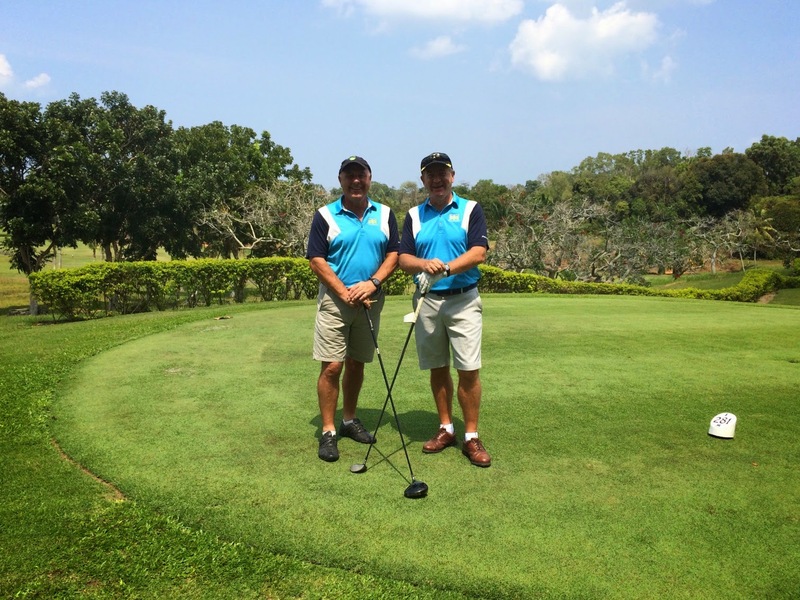 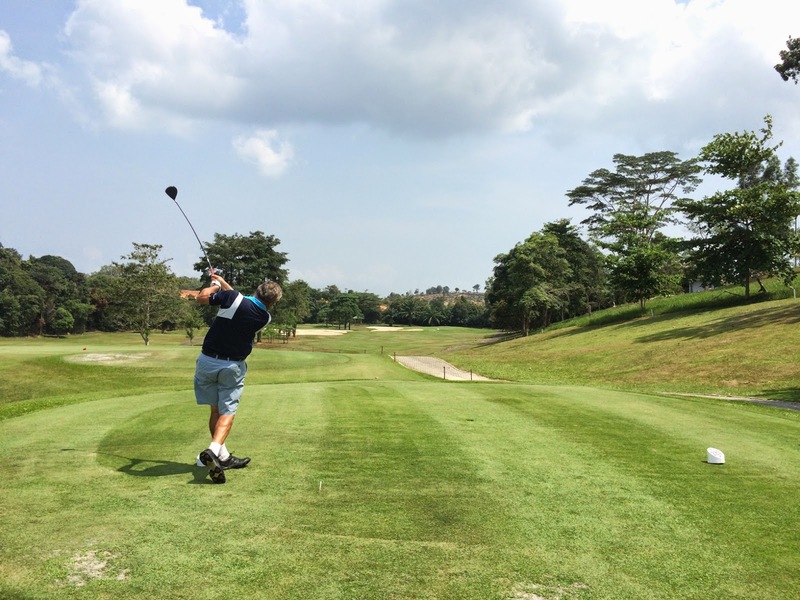 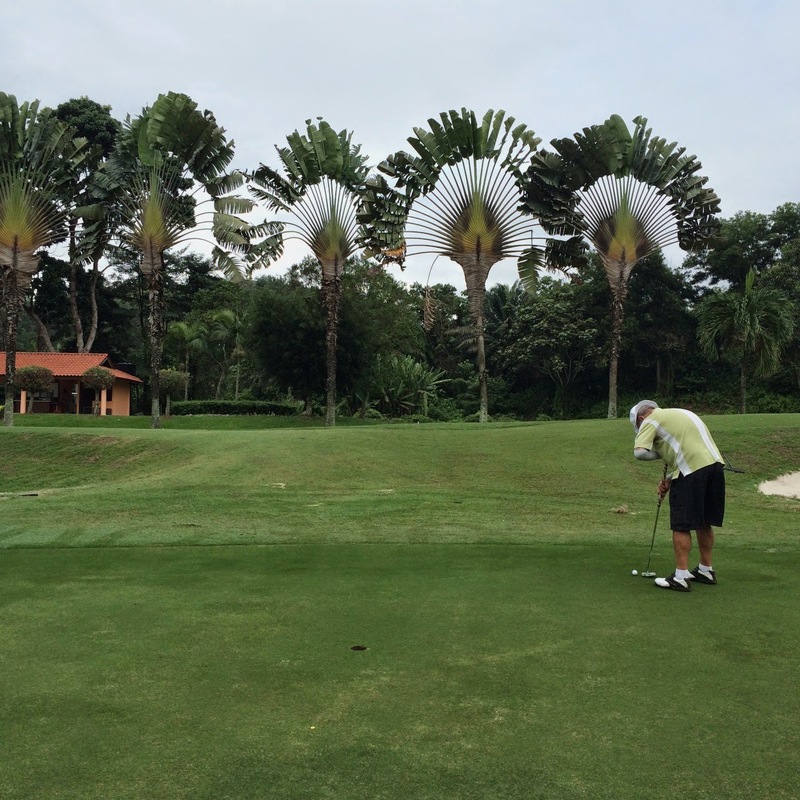 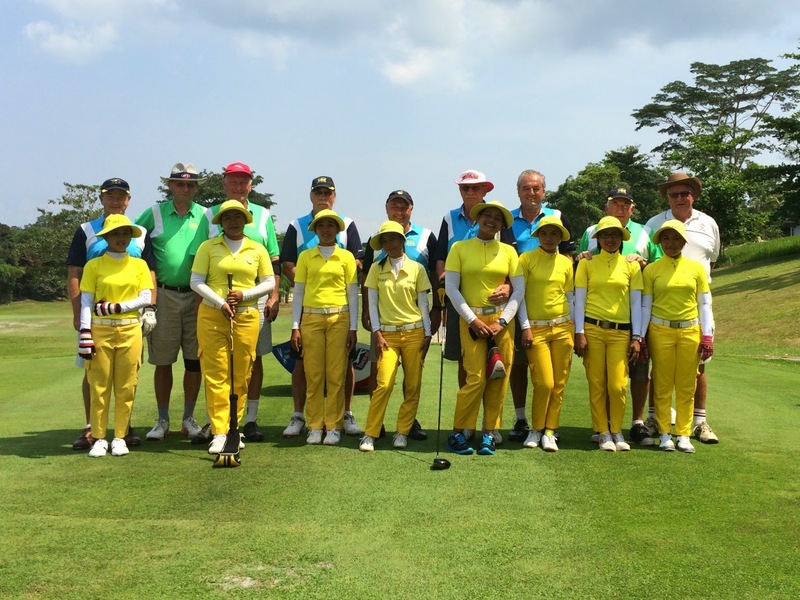 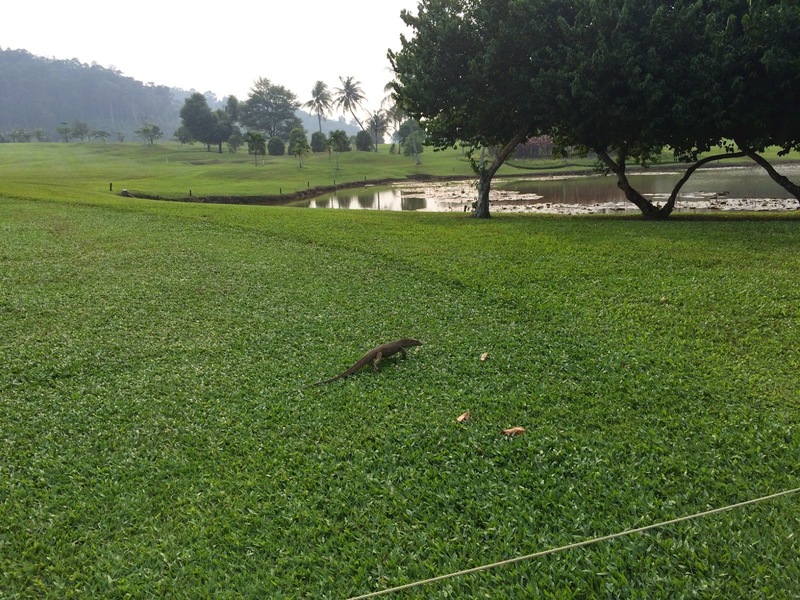 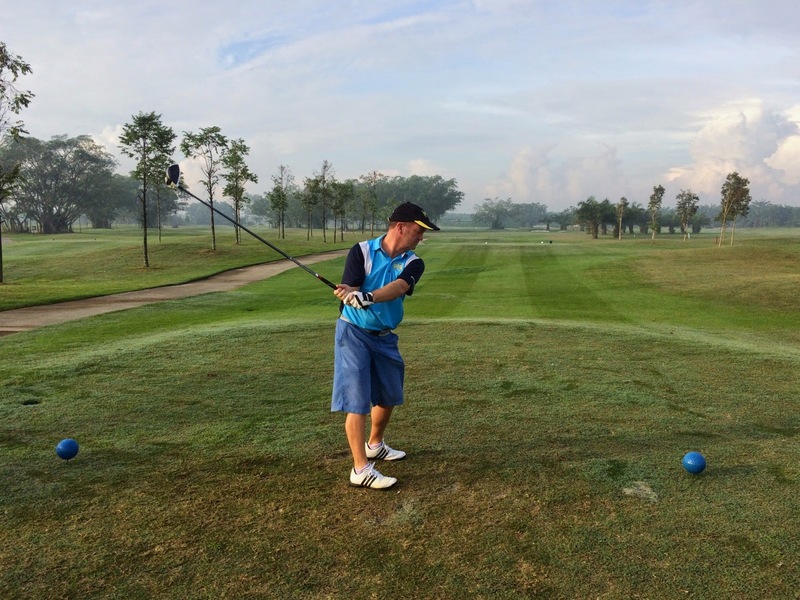 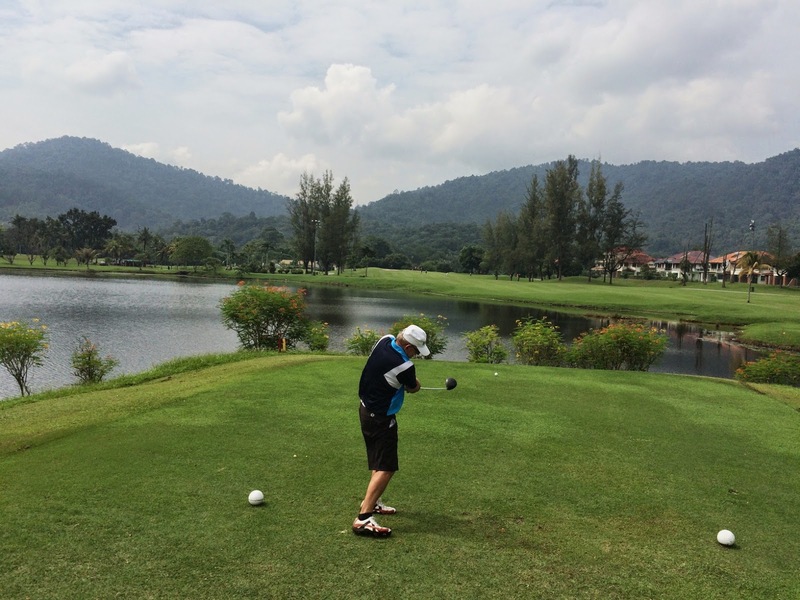 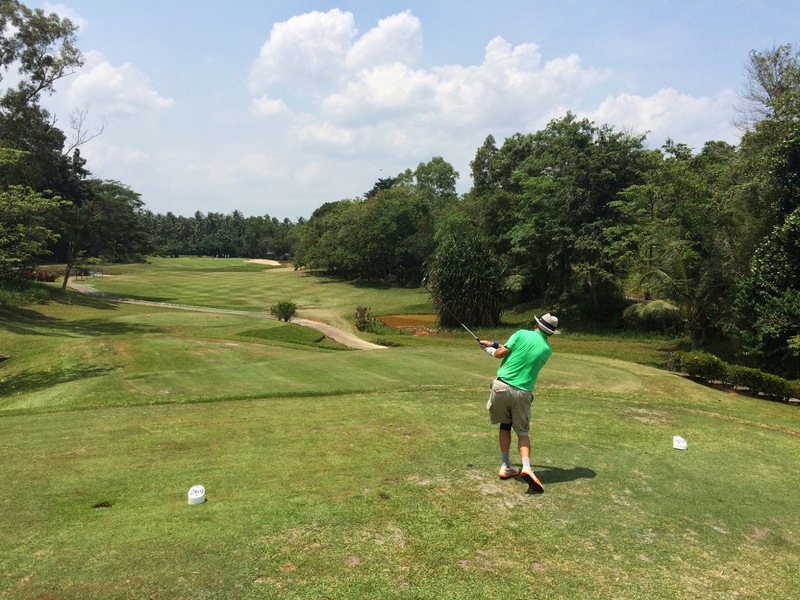 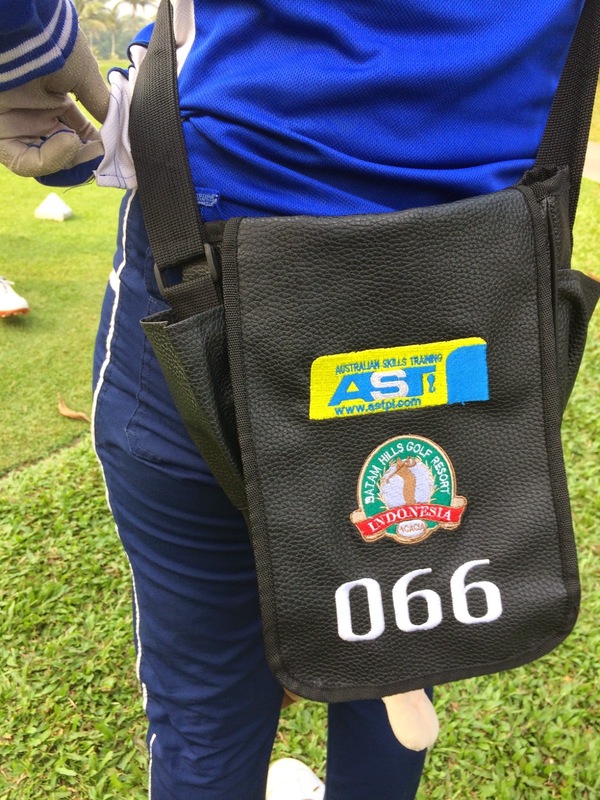 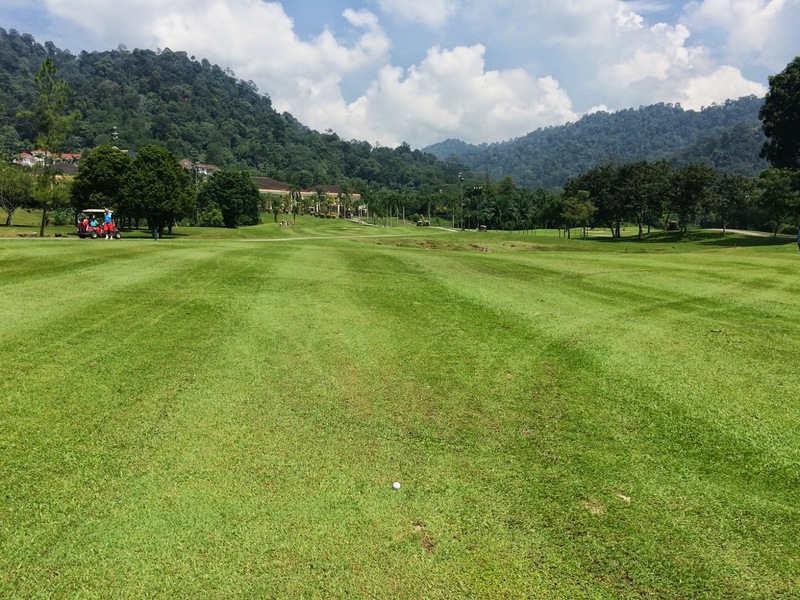 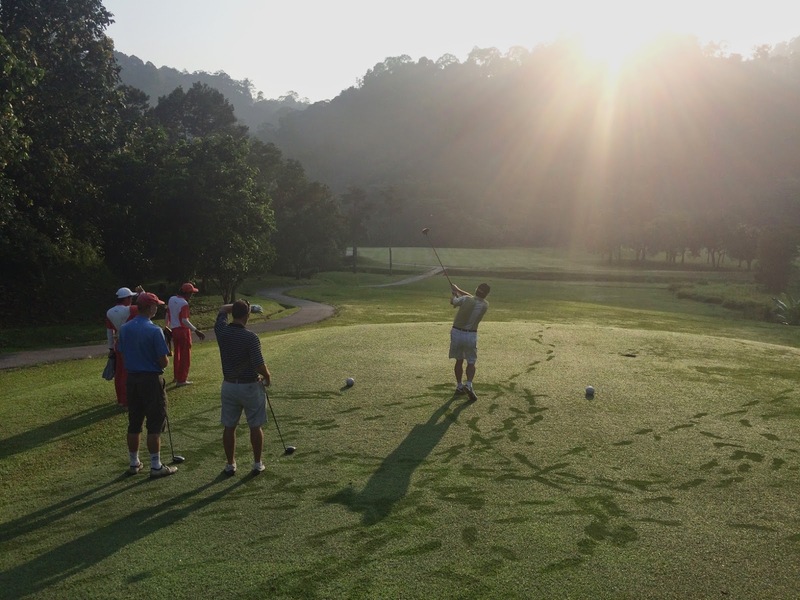 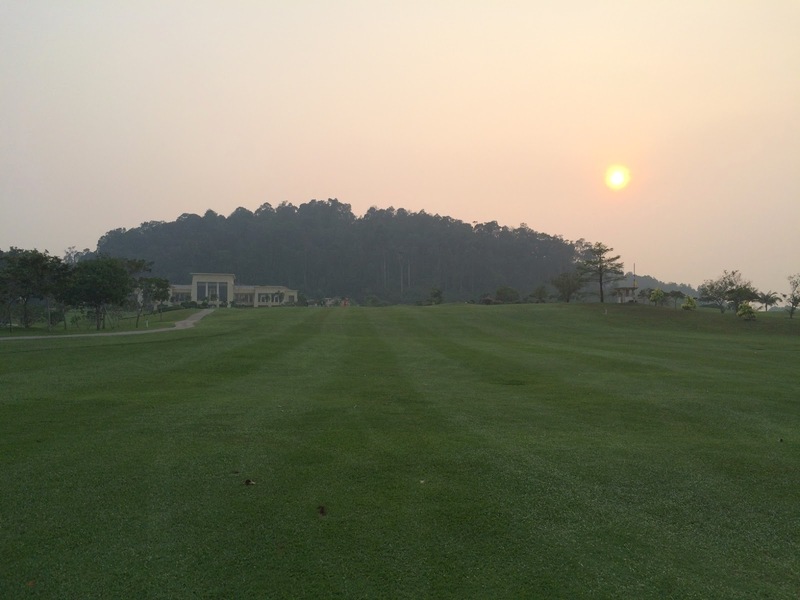 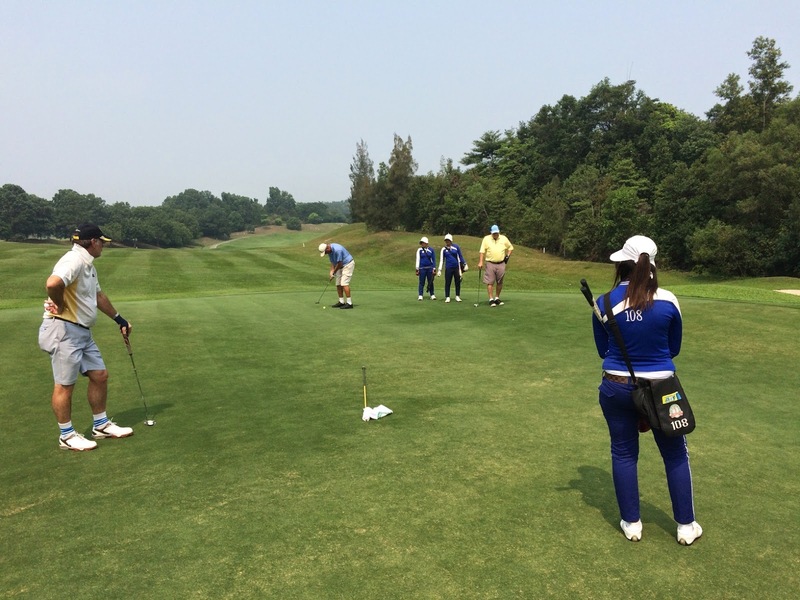 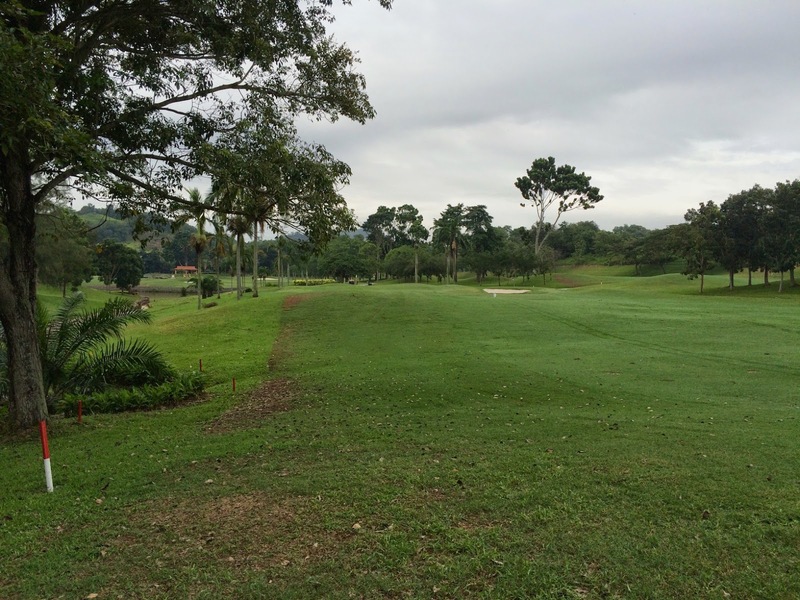 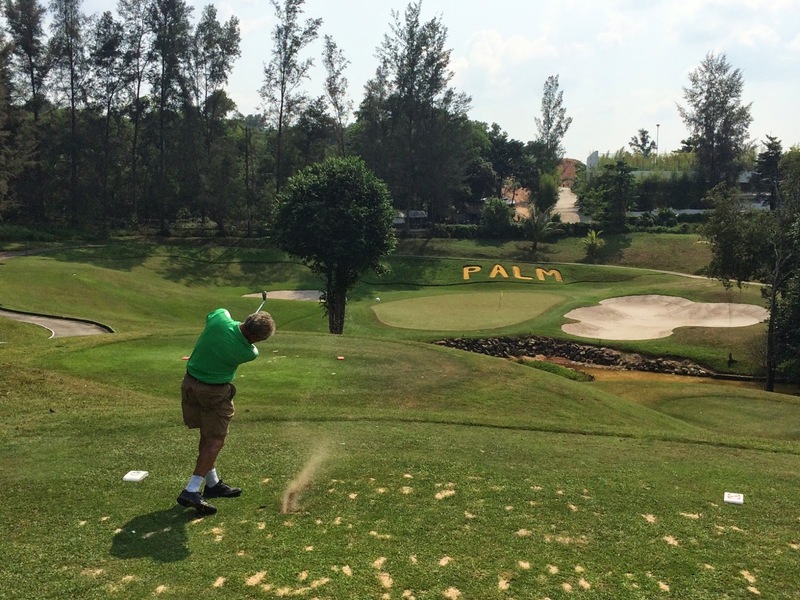 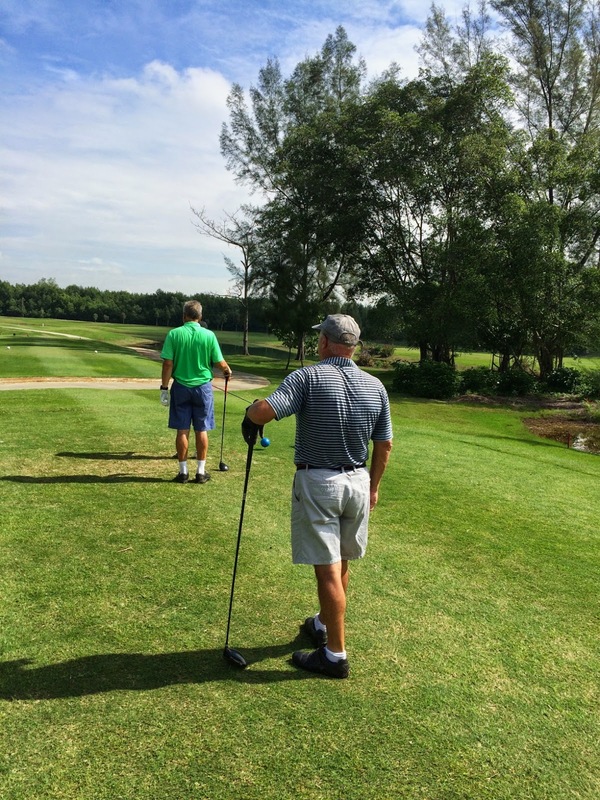 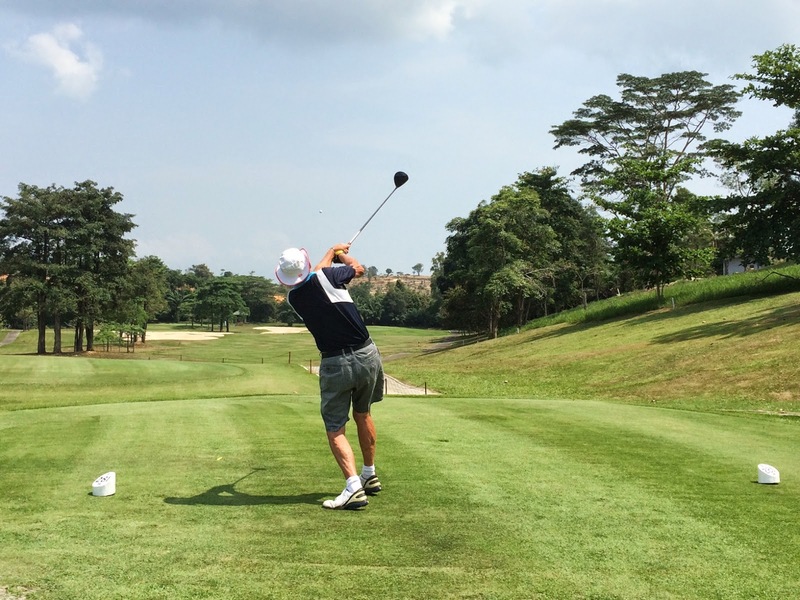 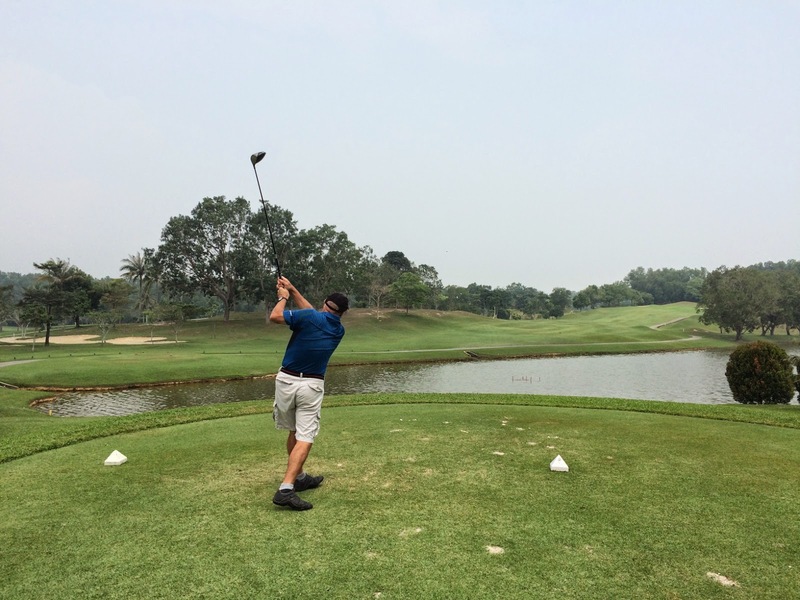 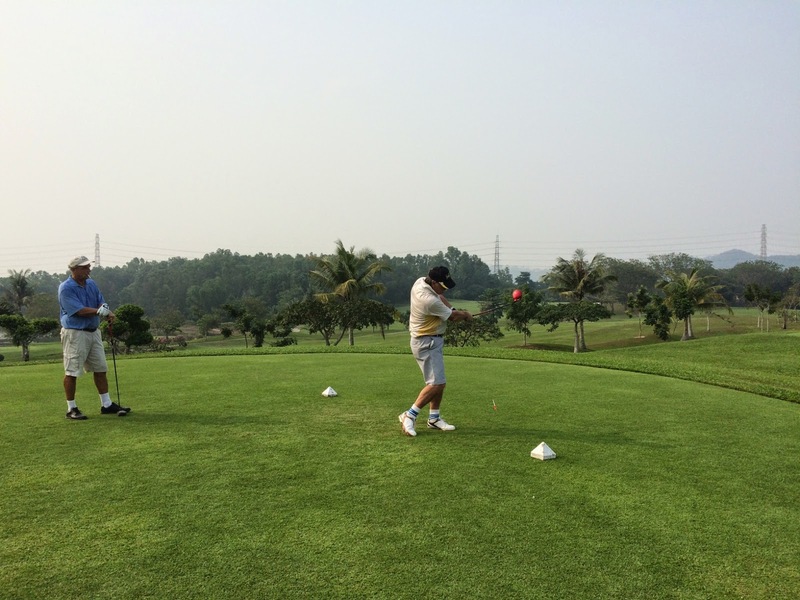 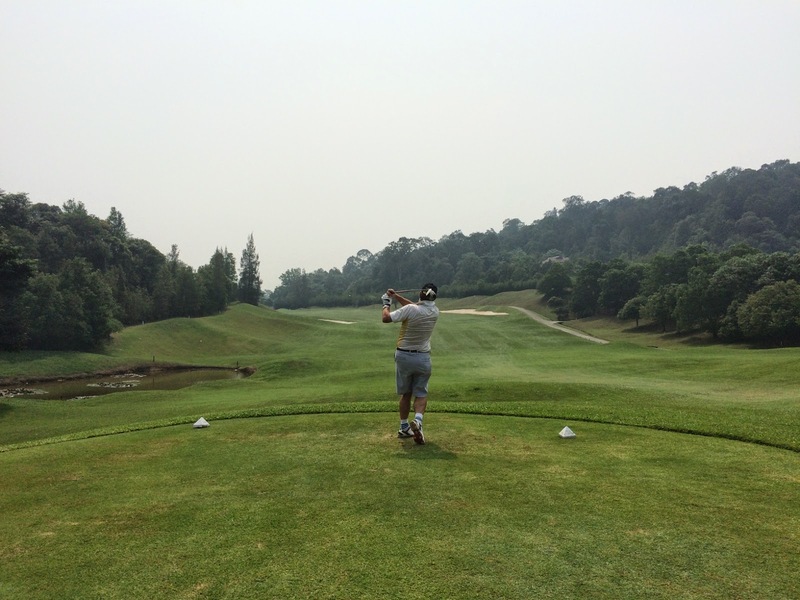 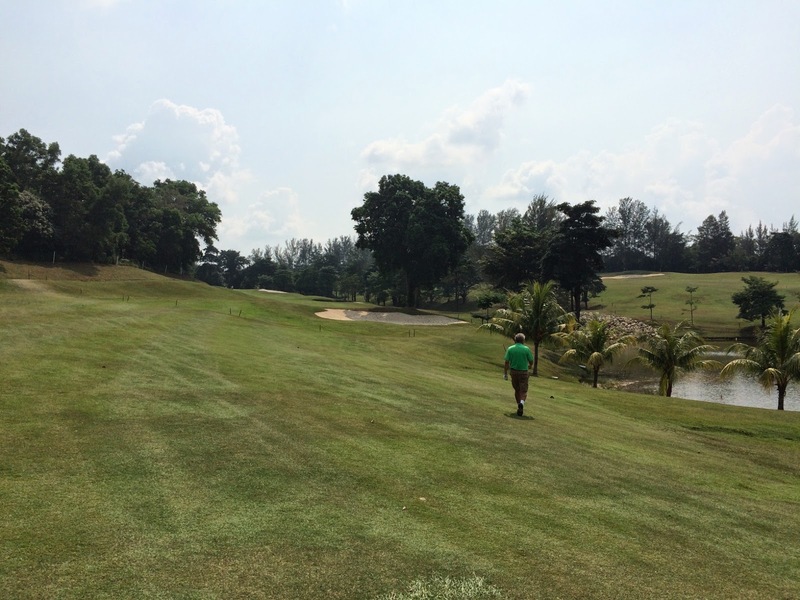 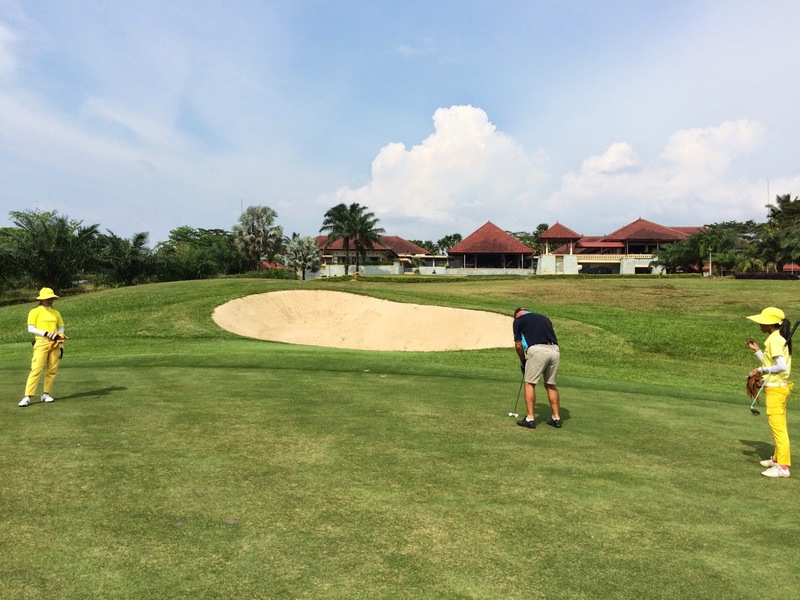 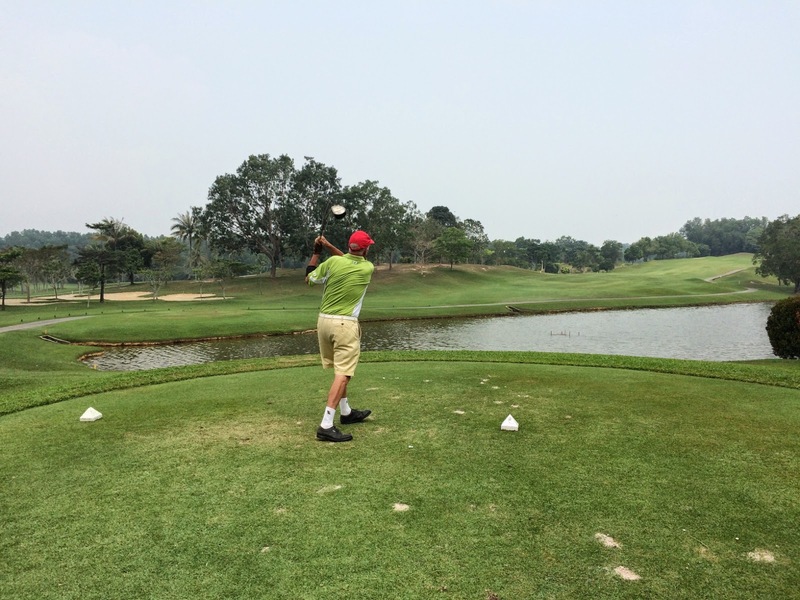 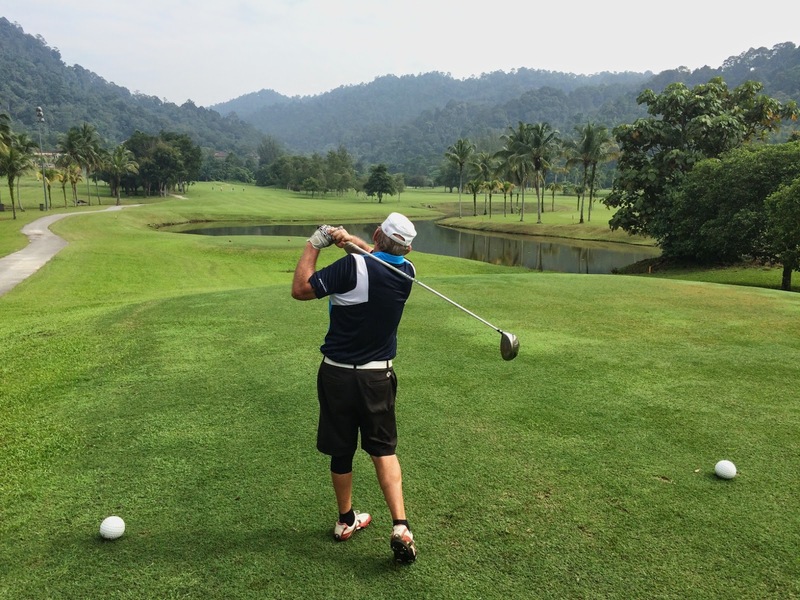 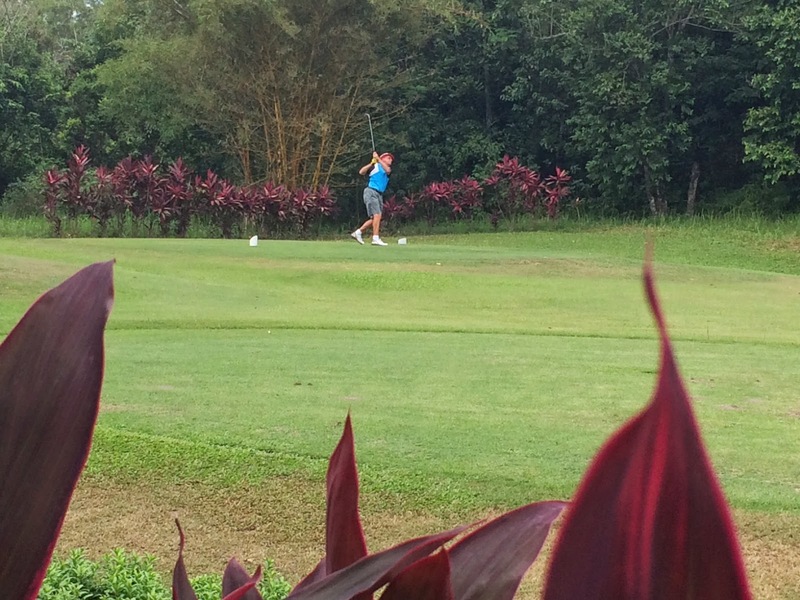 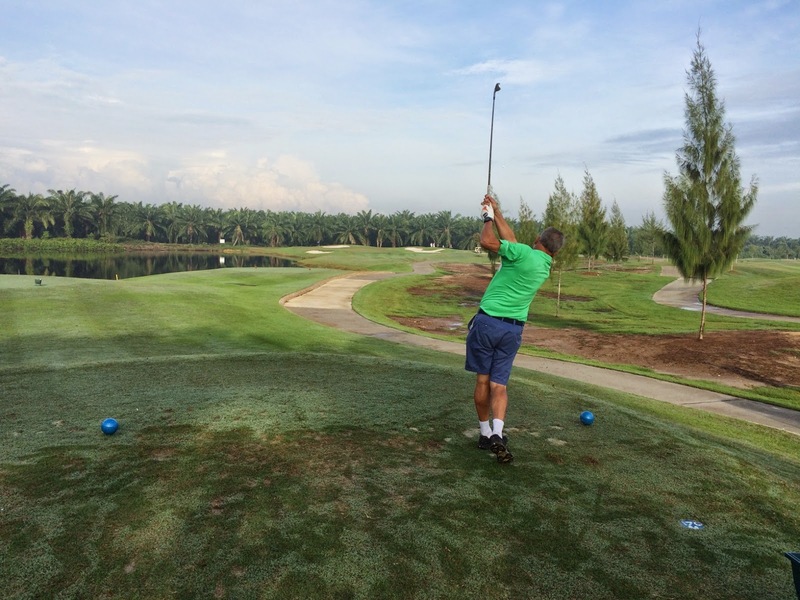 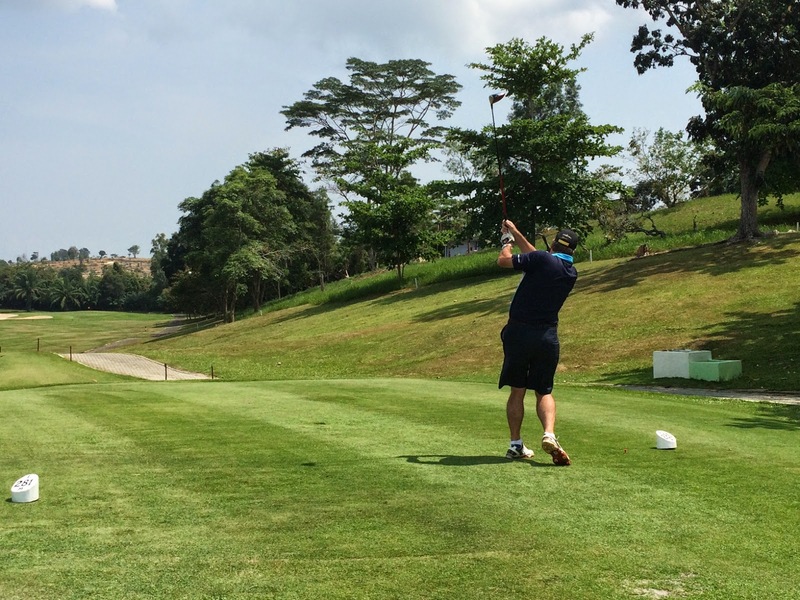 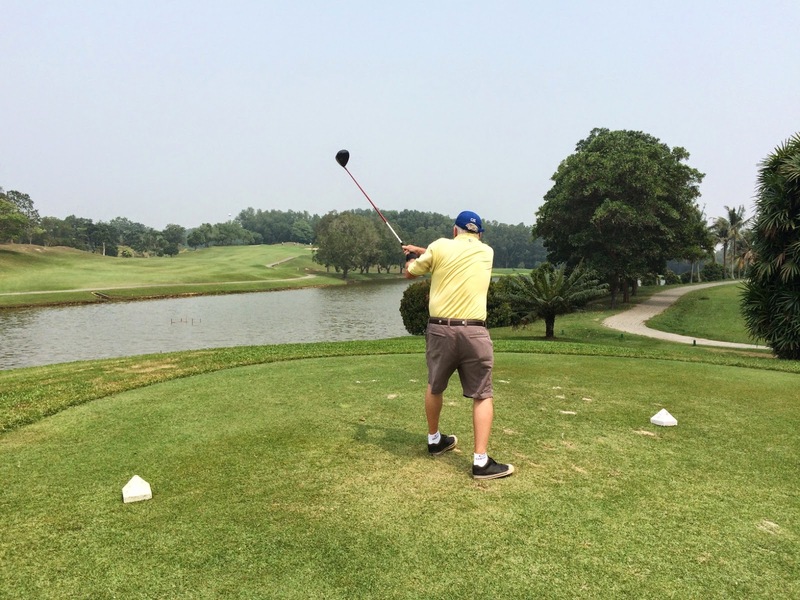 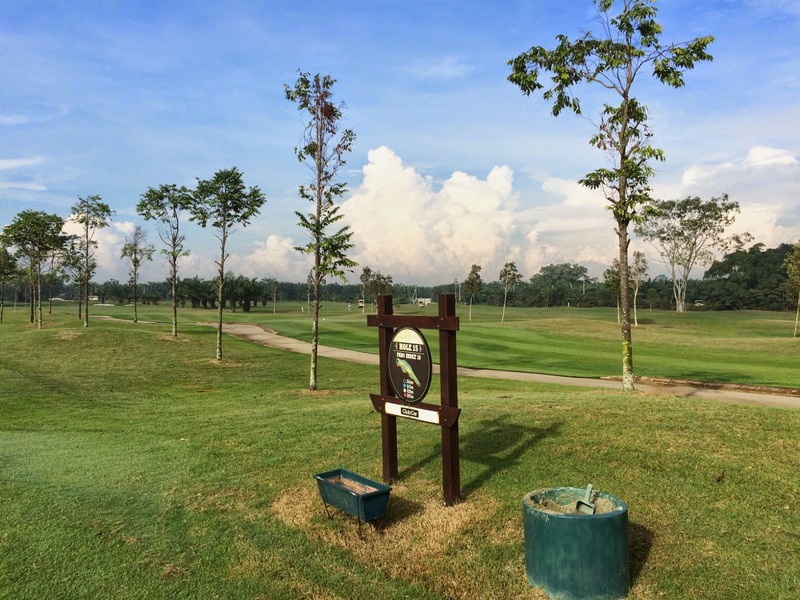 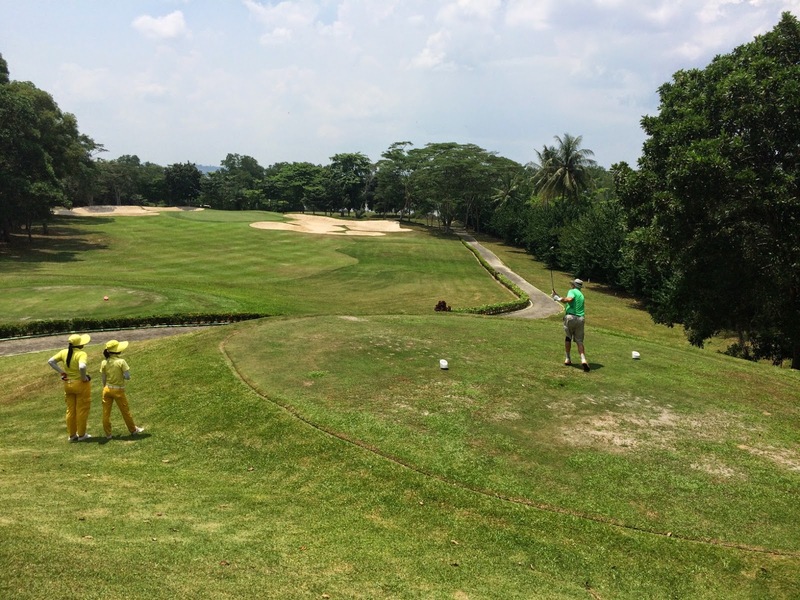 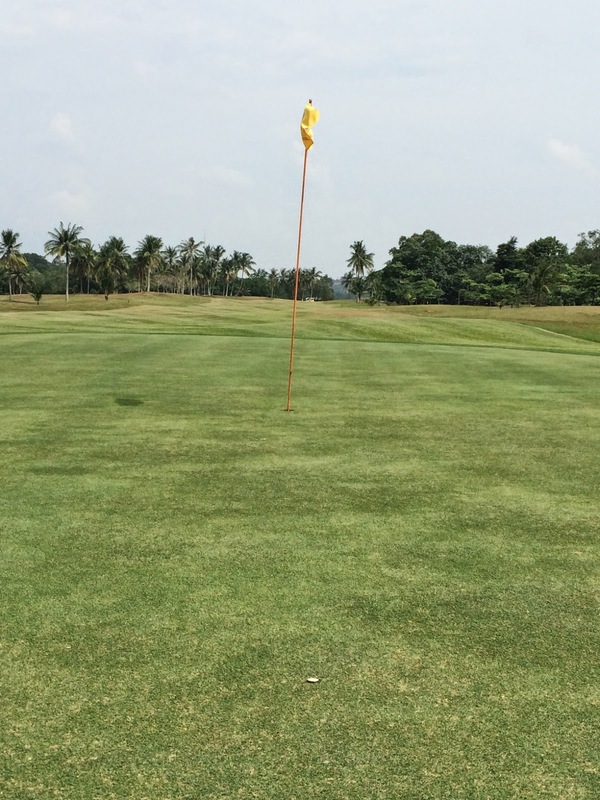 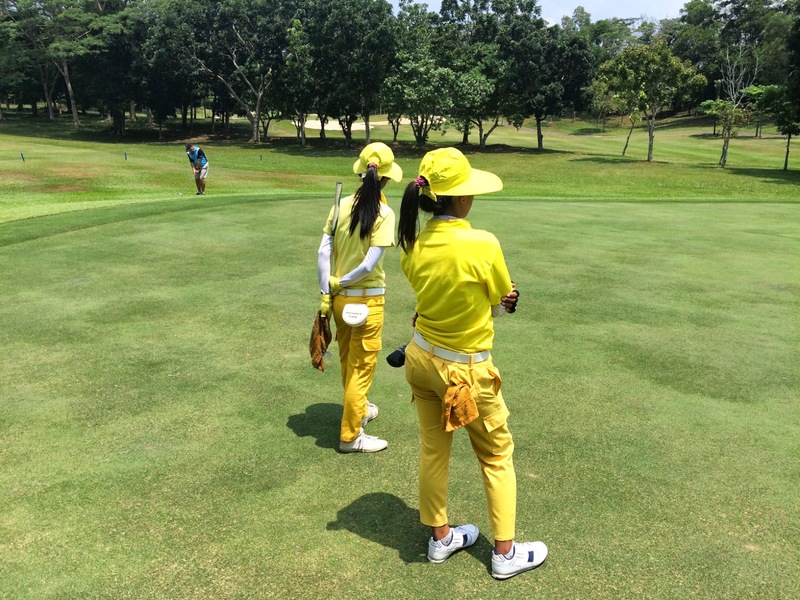 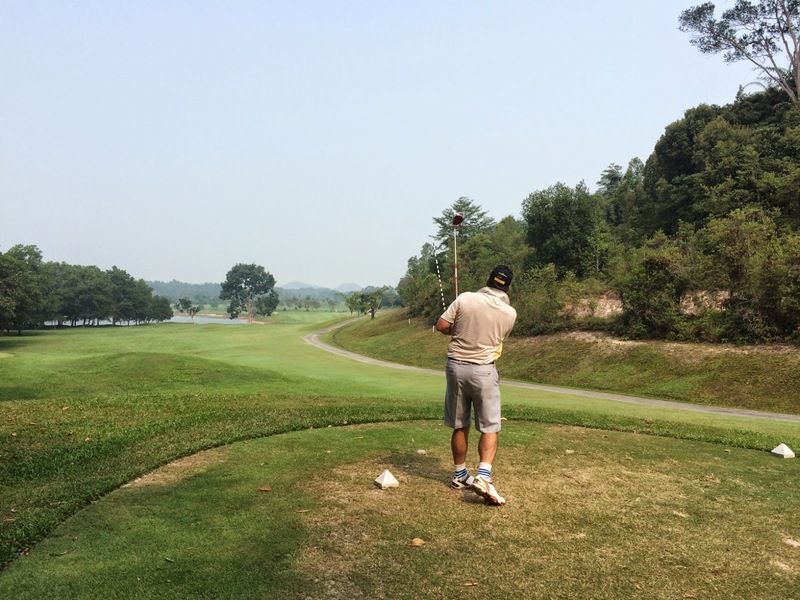 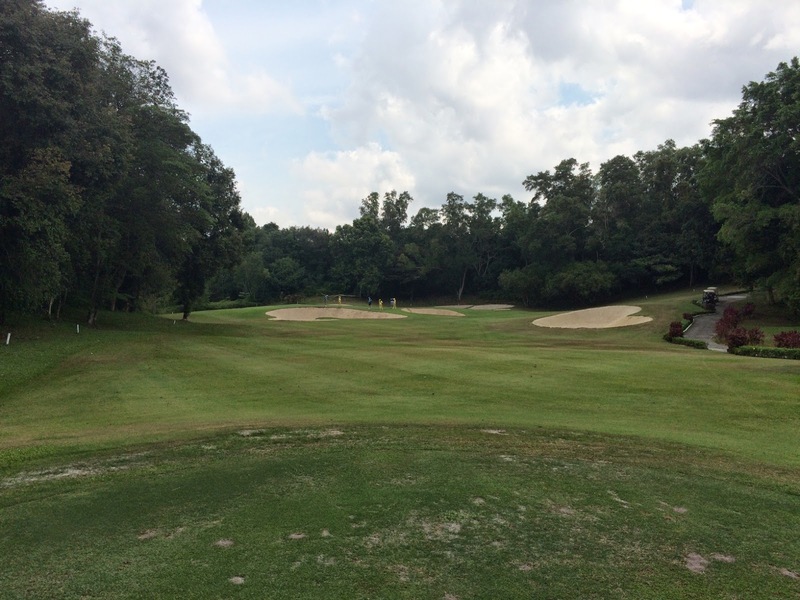 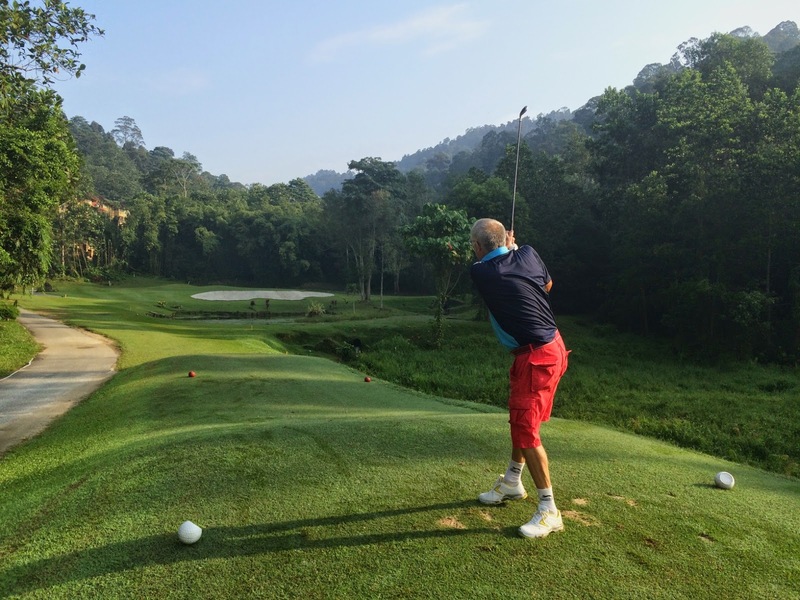 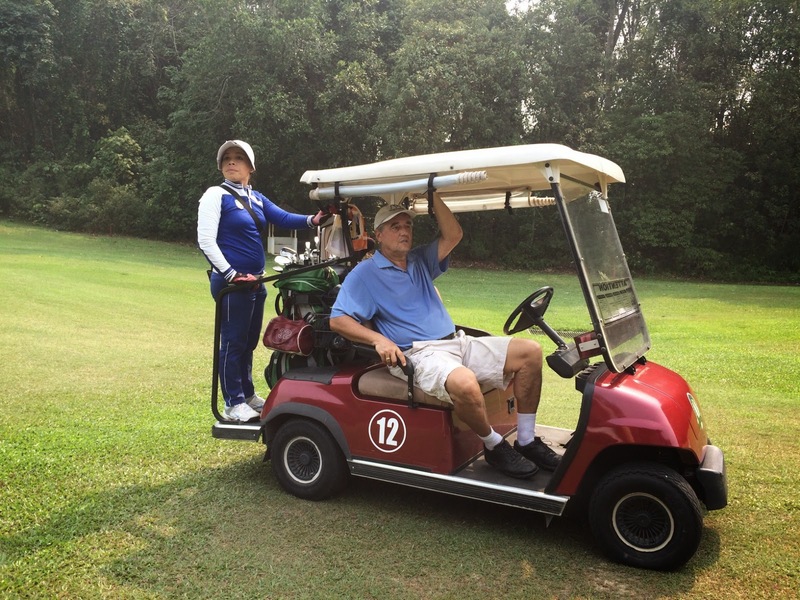 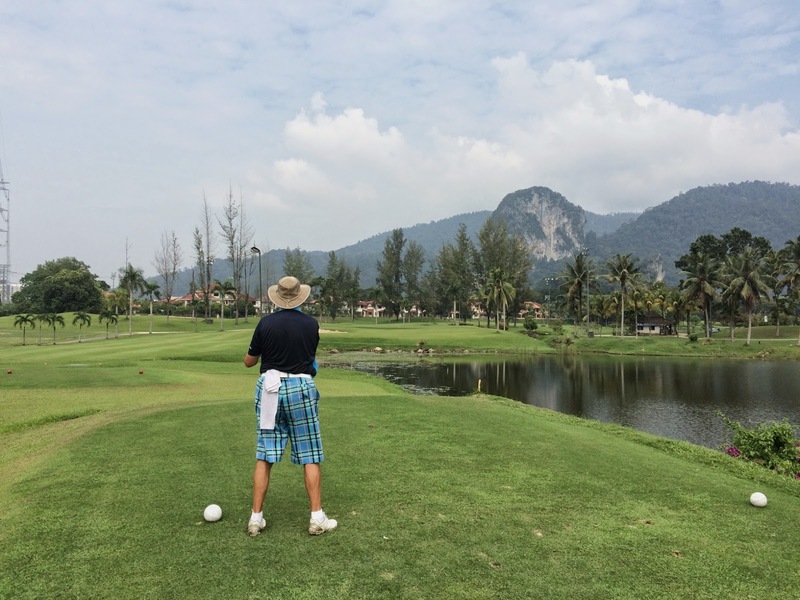 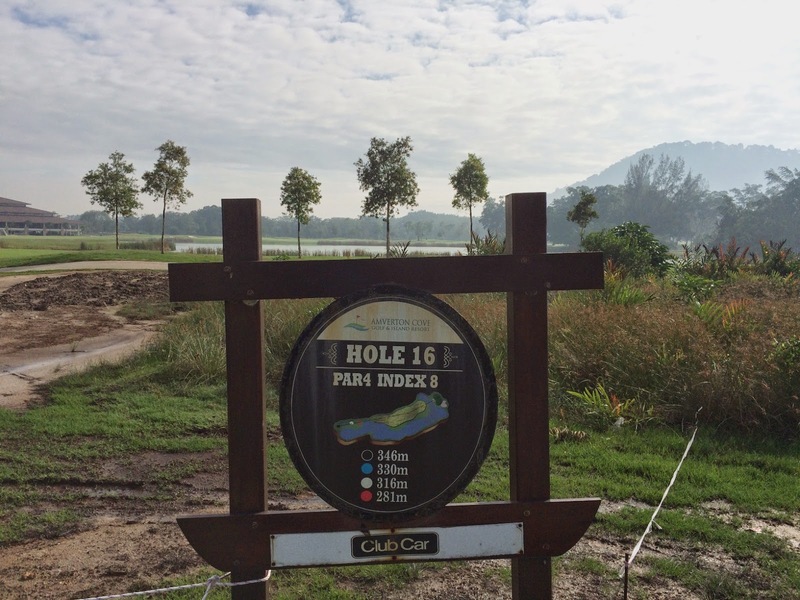 We played the Putera & Tasik 9’s in that order which meant that the second 9 was rather warm! 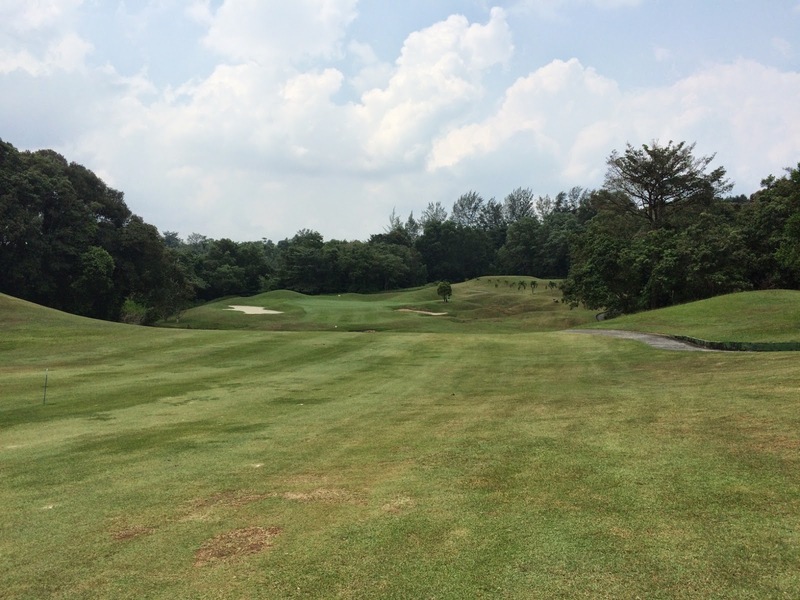 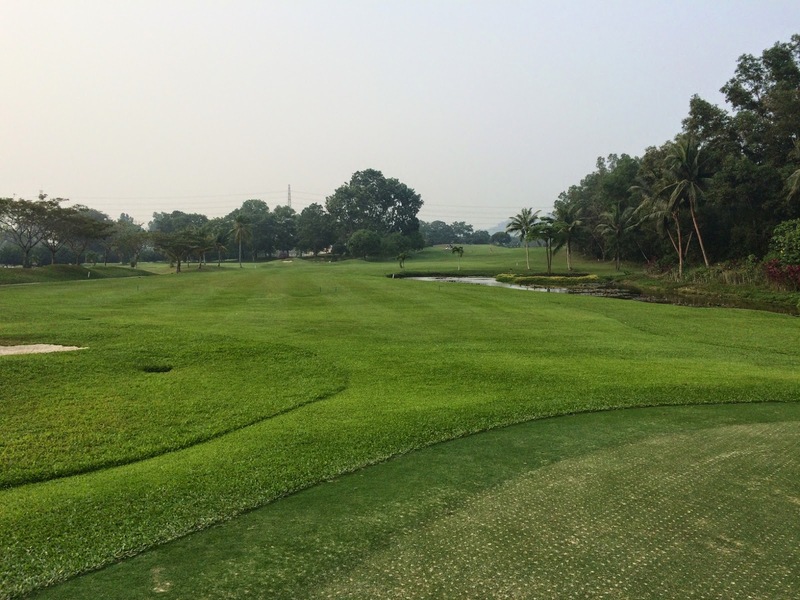 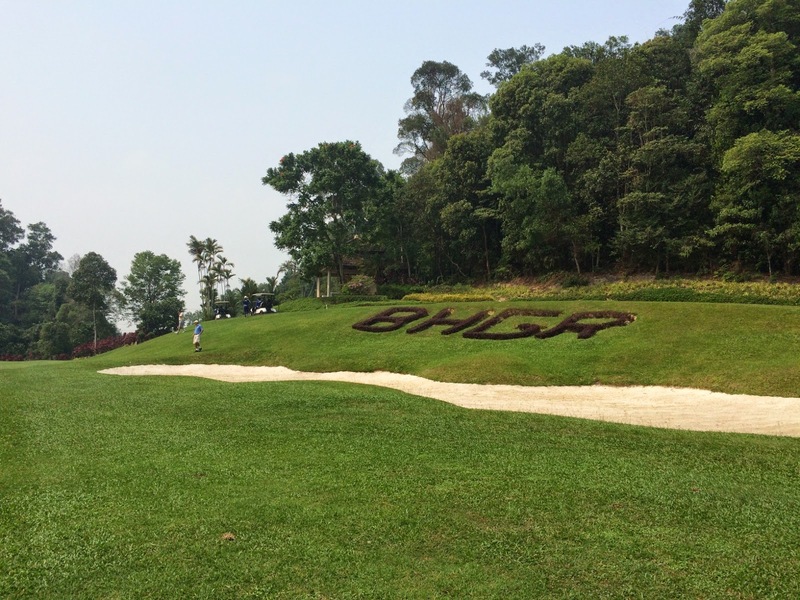 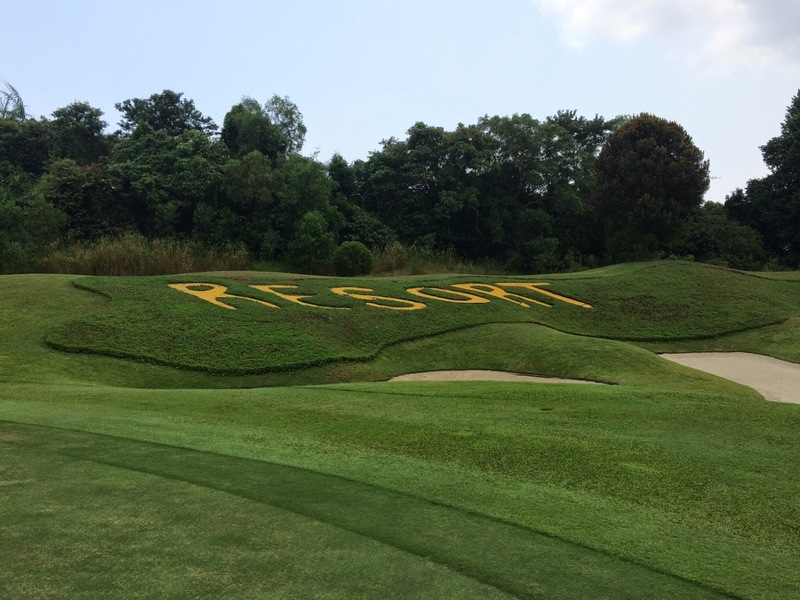 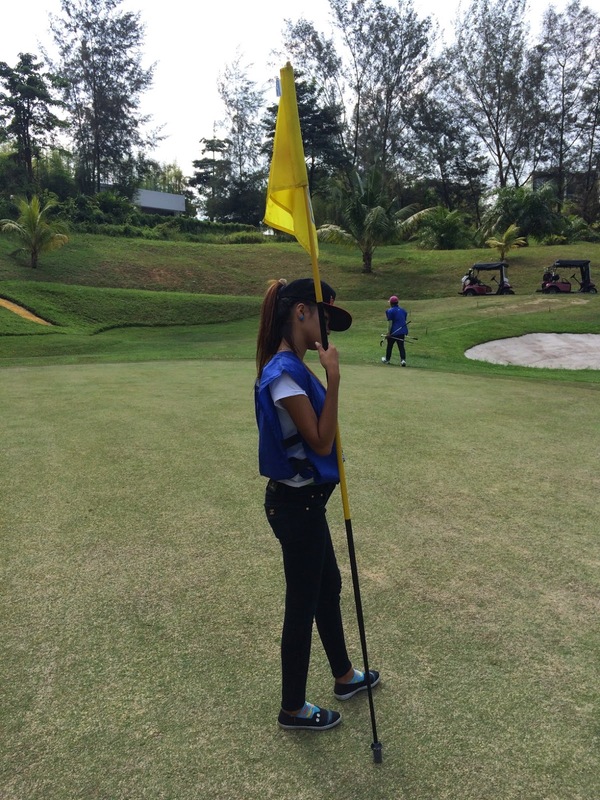 The course was in good condition but much dryer than expected; especially the greens which were hard and quite fast. 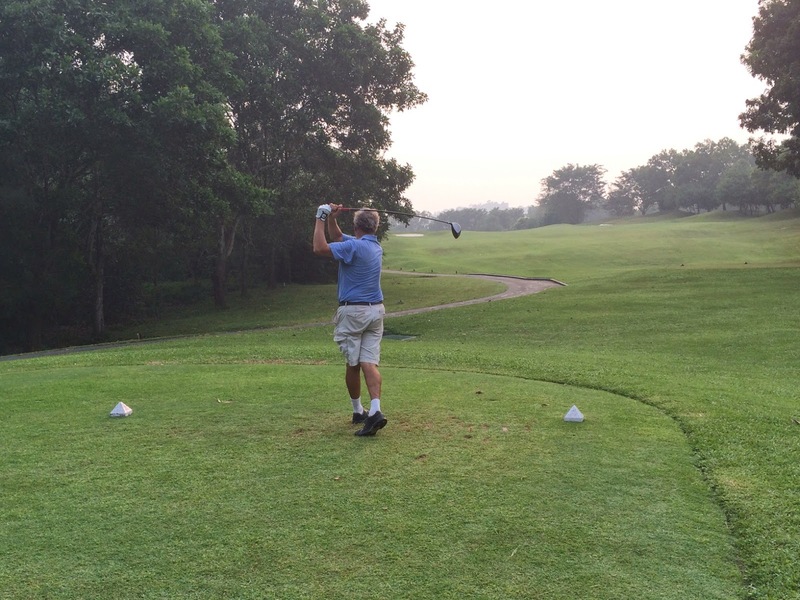 Teeing off at just after 8am we made good progress and the last flight was back at 12:20pm. 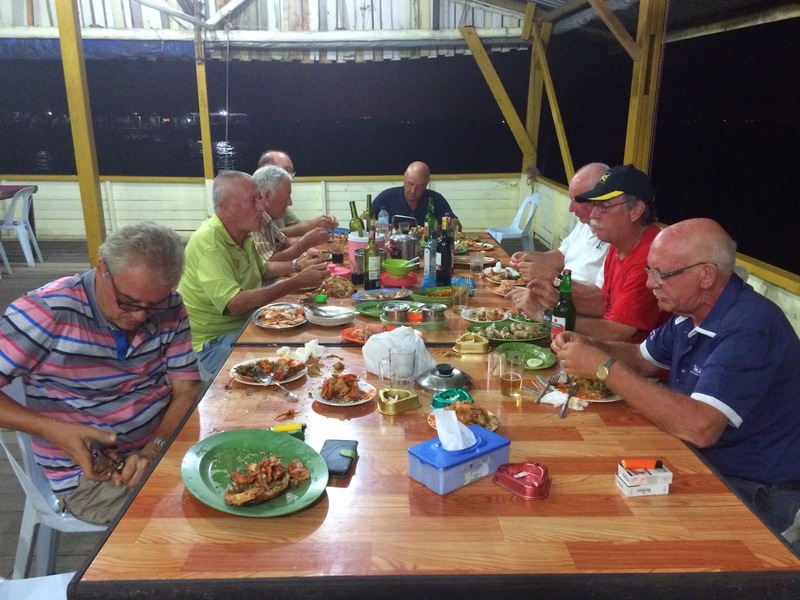 8 of us then reassembled at the usual M&M place for an excellent lunch washed down with many bottles of the amber nectar, all for RM290. 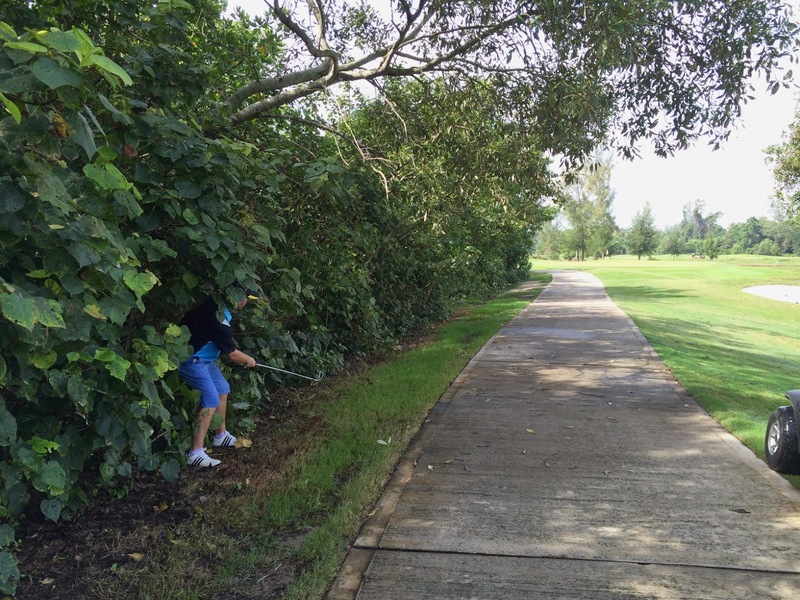 The damage. 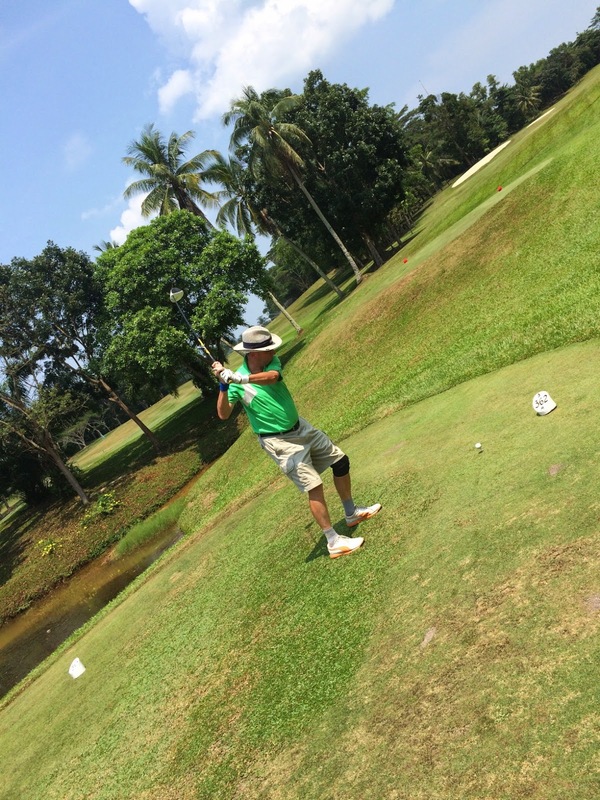 Collected RM1100. 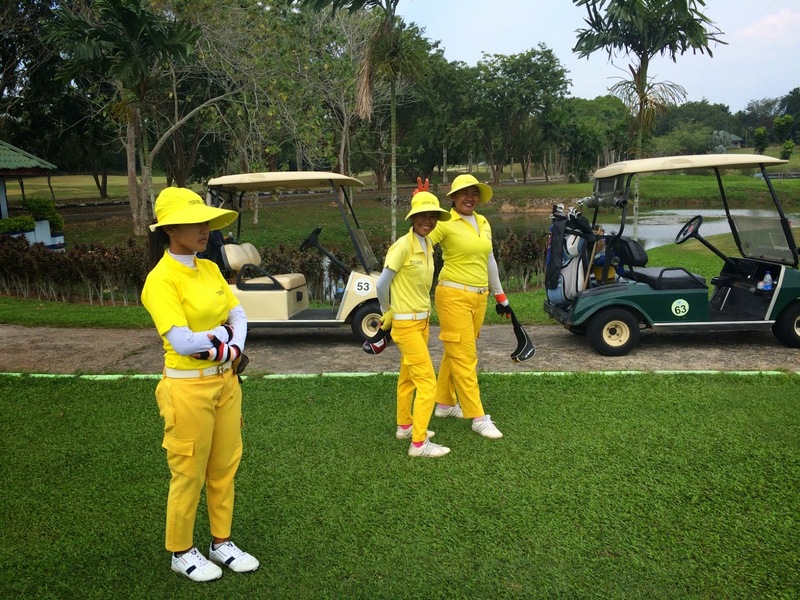 G/F & Caddies RM1062. 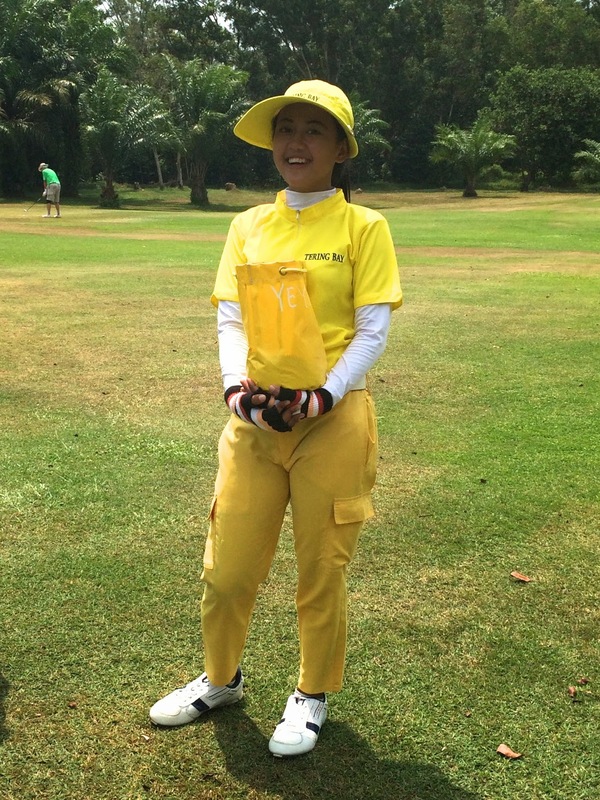 Winners Prize RM50. 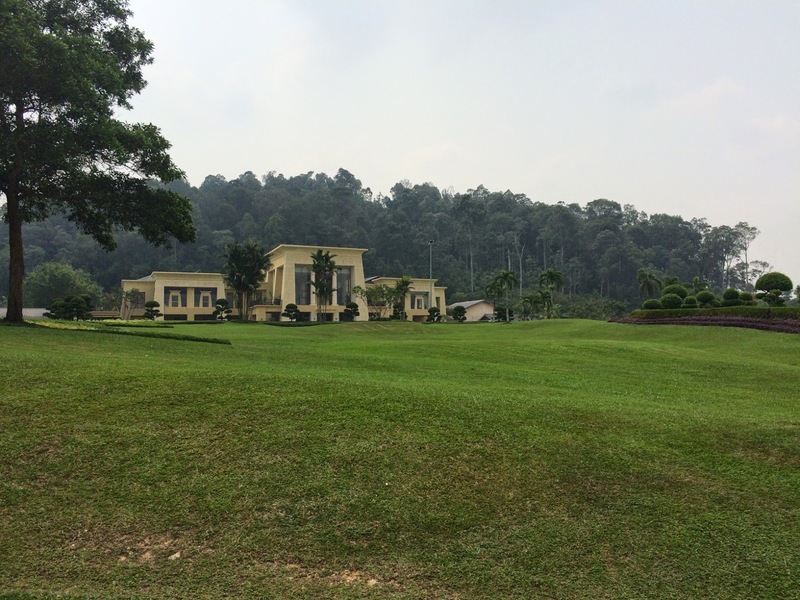 Lunch RM290. 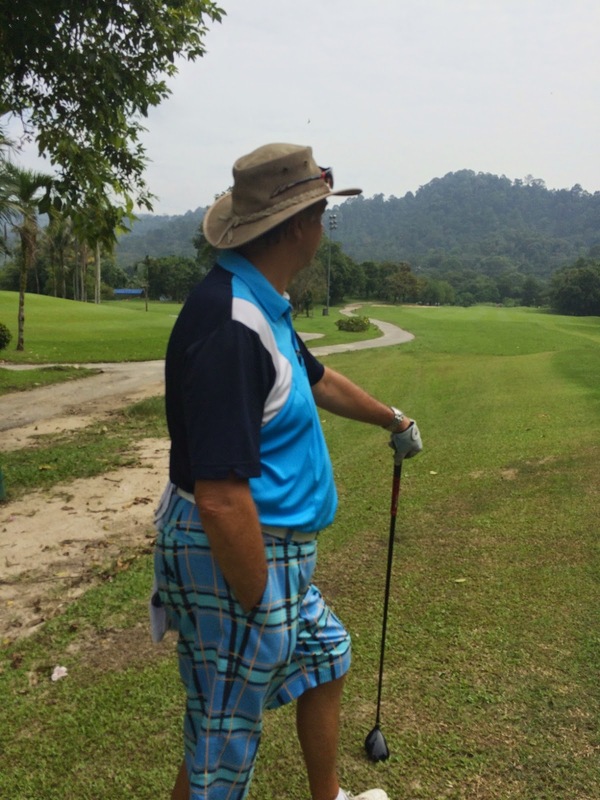 Lunch collection RM320. 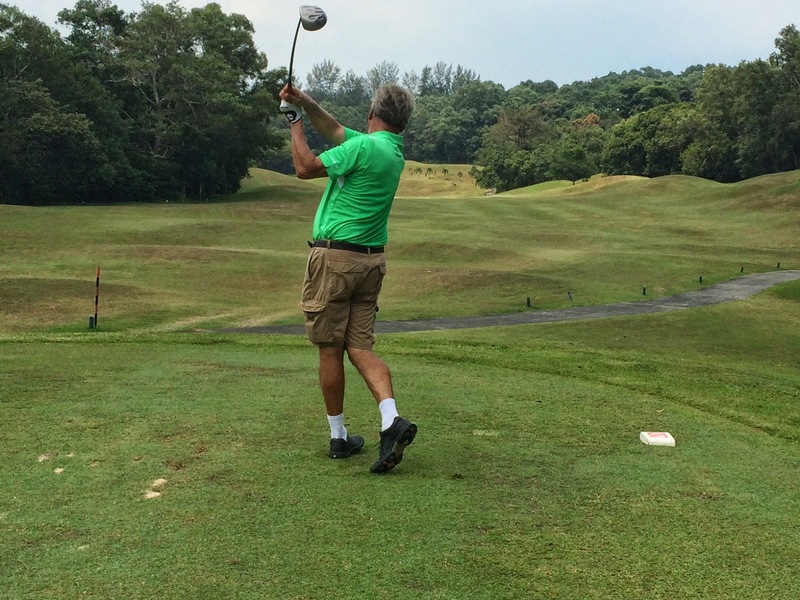 Balance in hand RM18. 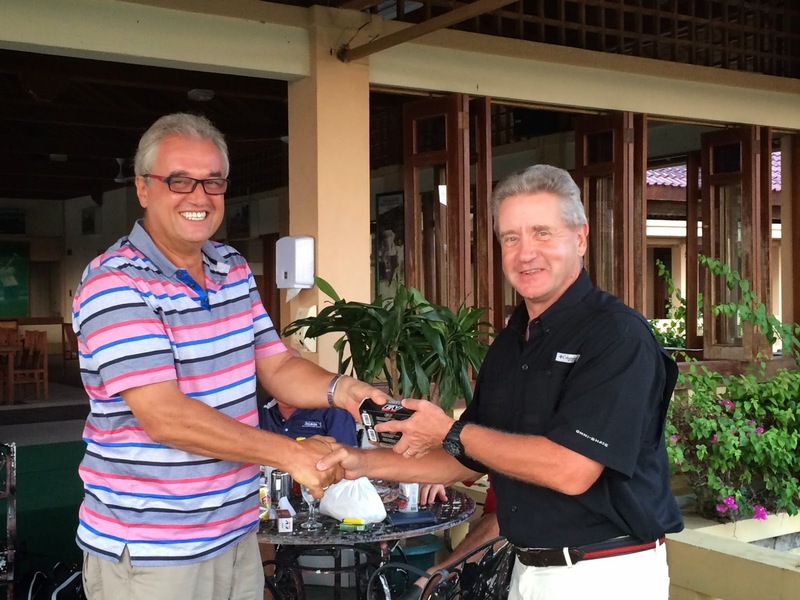 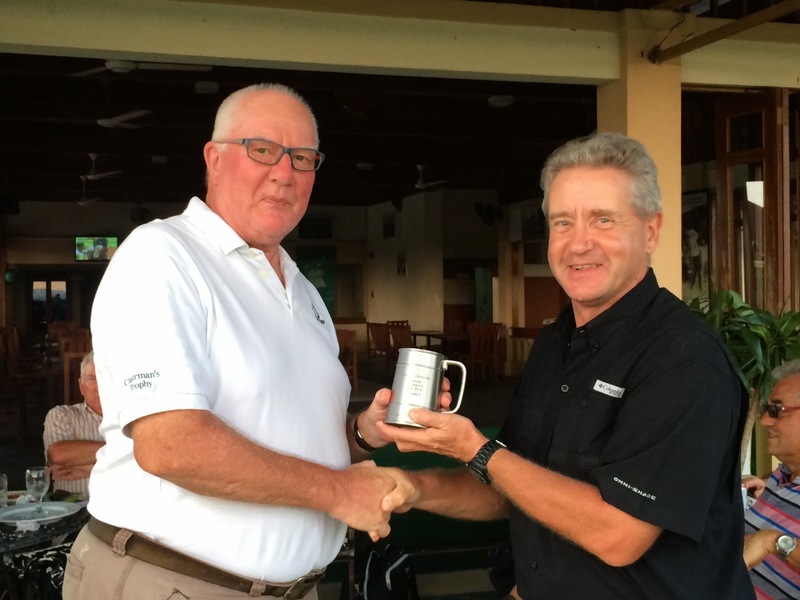 The winner was Peter Barker with an excellent gross 80 (37 back 9) and 37 points. 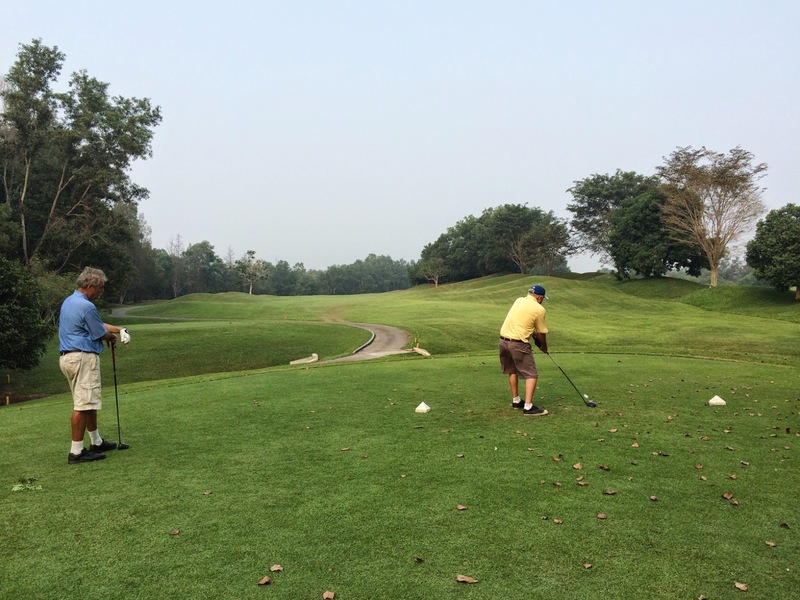 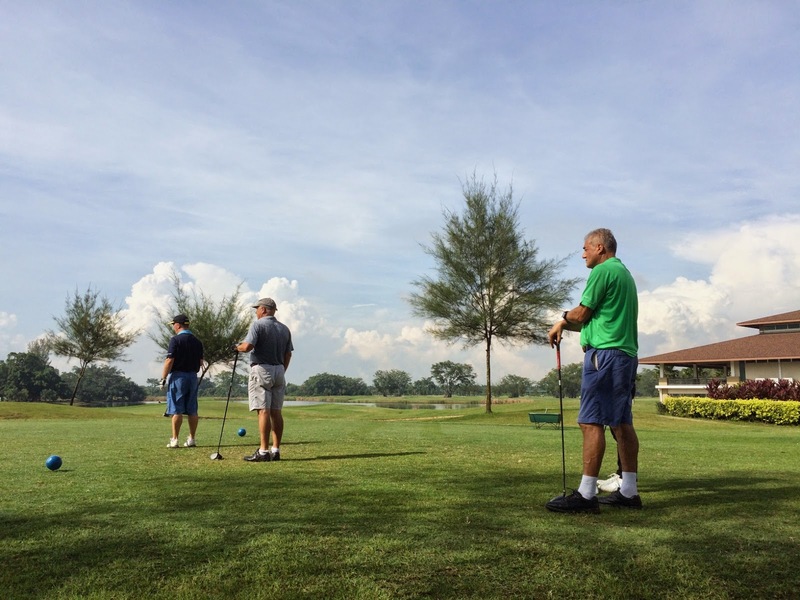 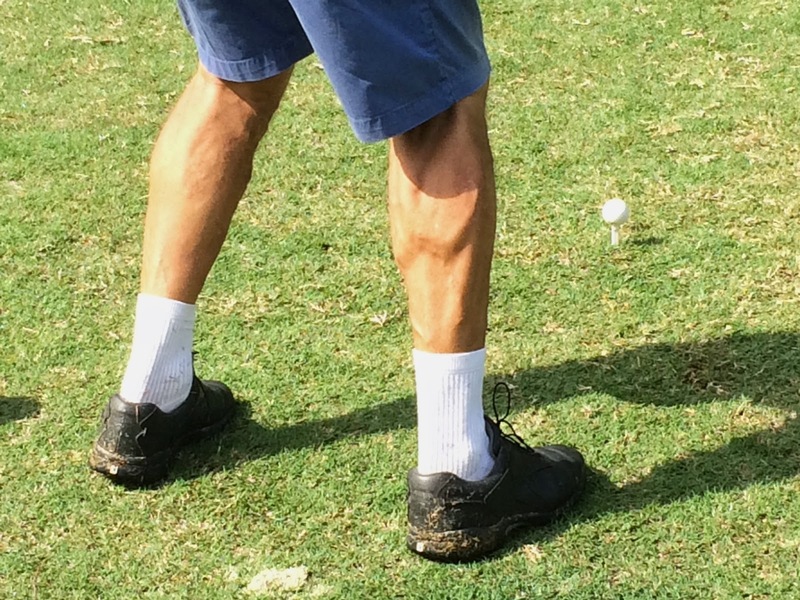 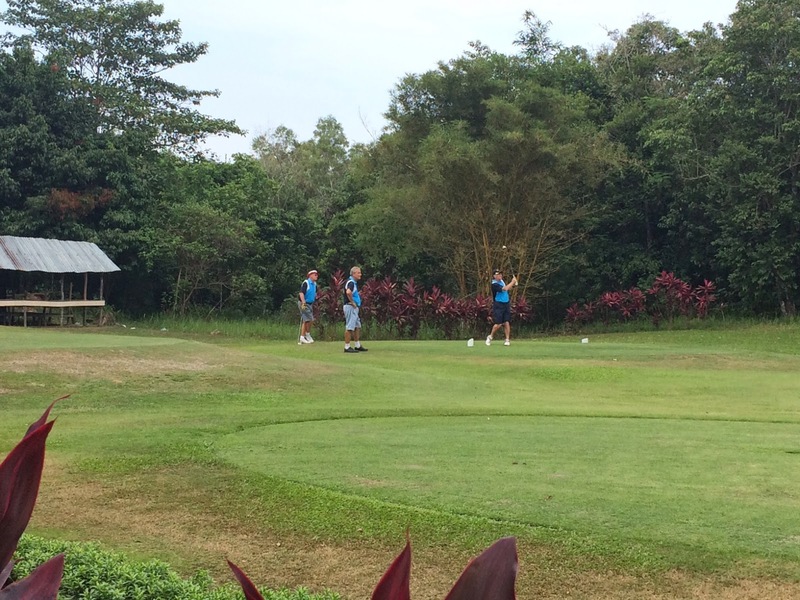 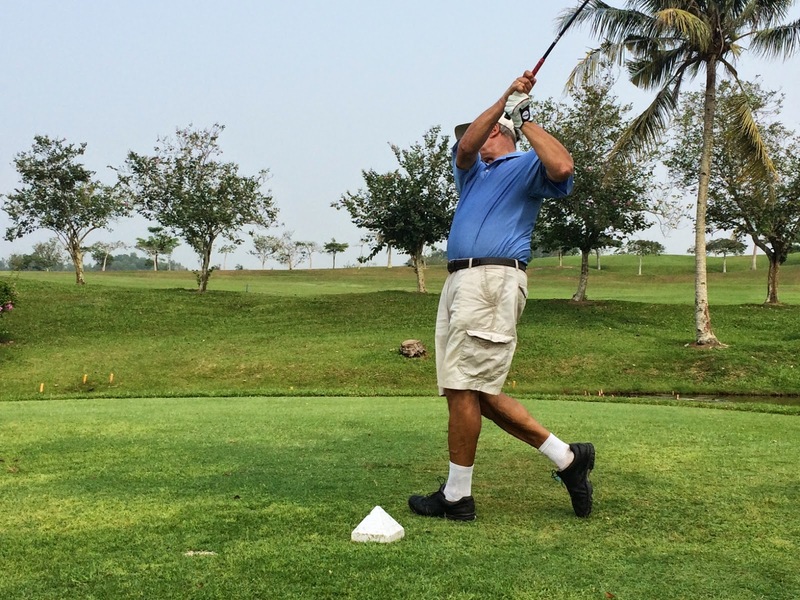 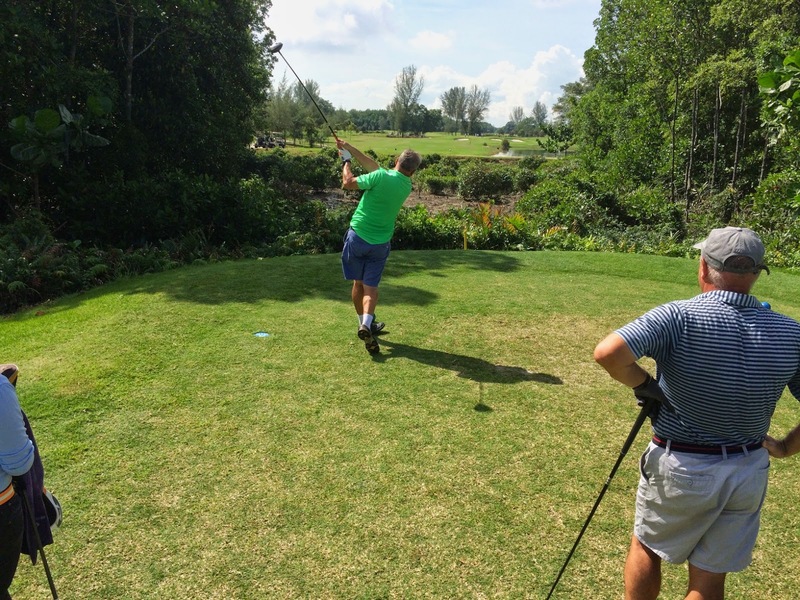 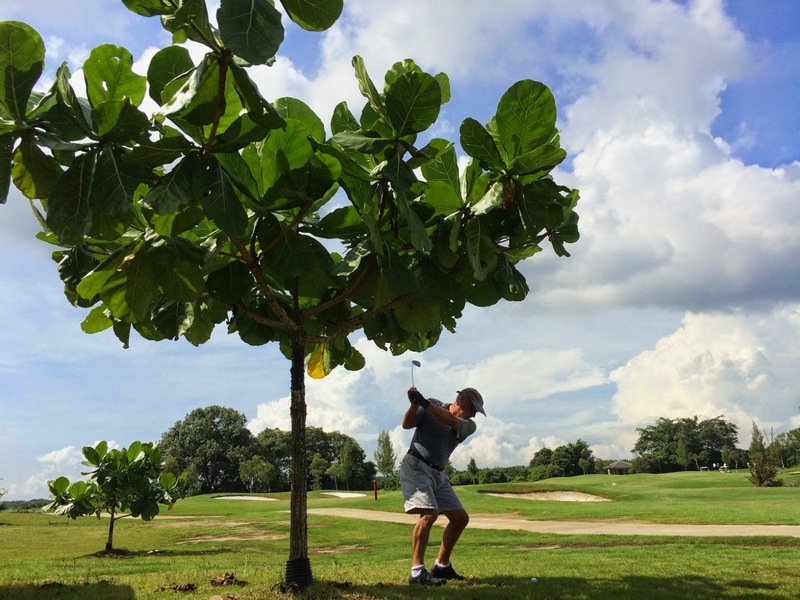 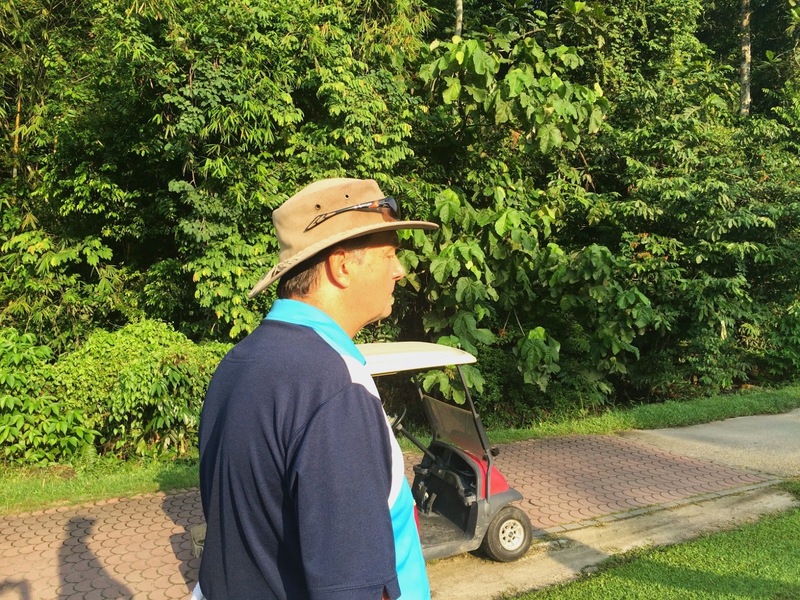 The second day of the Loose Canons Batam Away trip was held at Palm Springs Golf Course. 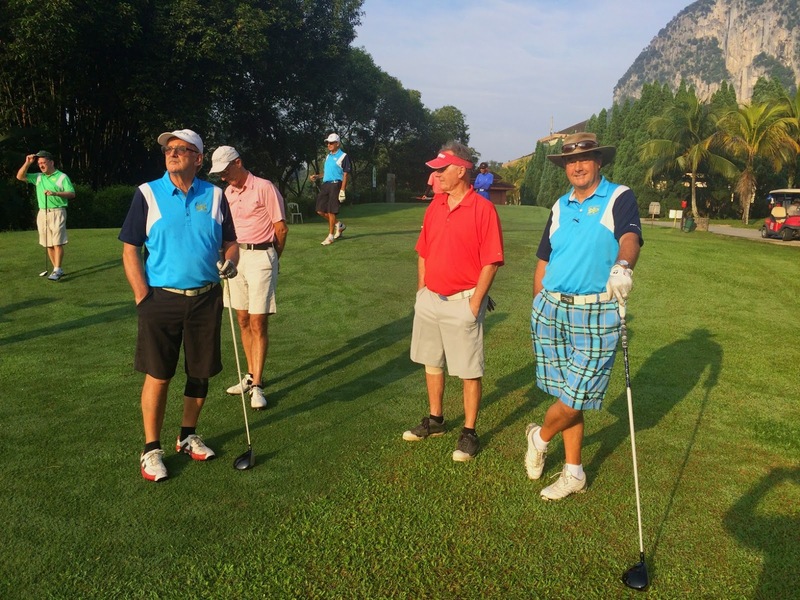 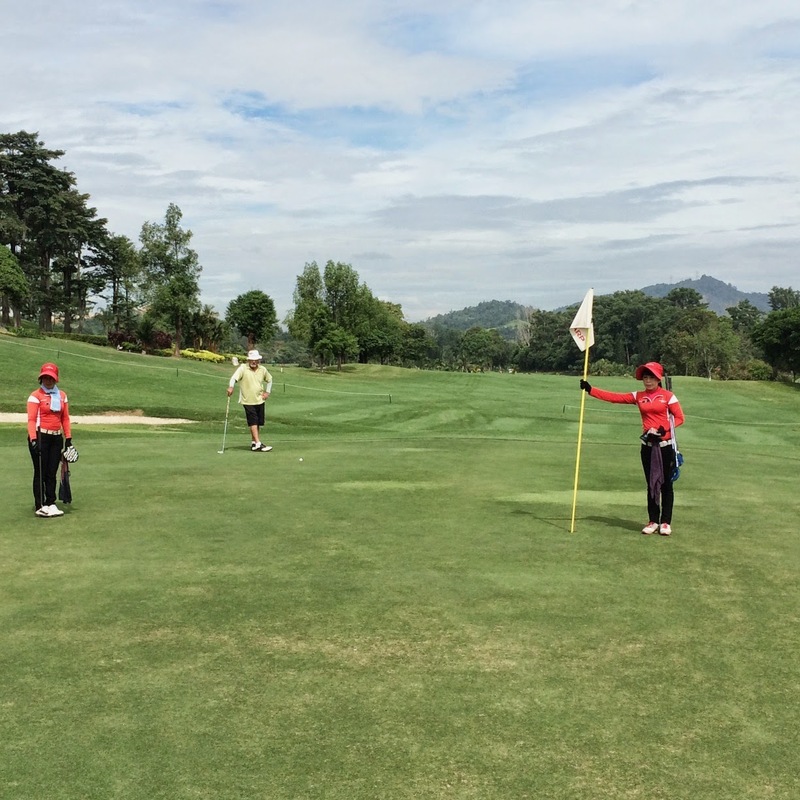 There was a large competition (Nongsa Cup) being held at the club but we got off on the Resort 9 at around 10:30am and then crossed over to the Palm Course by which time most of the Nongsa Cup competitors were finished. 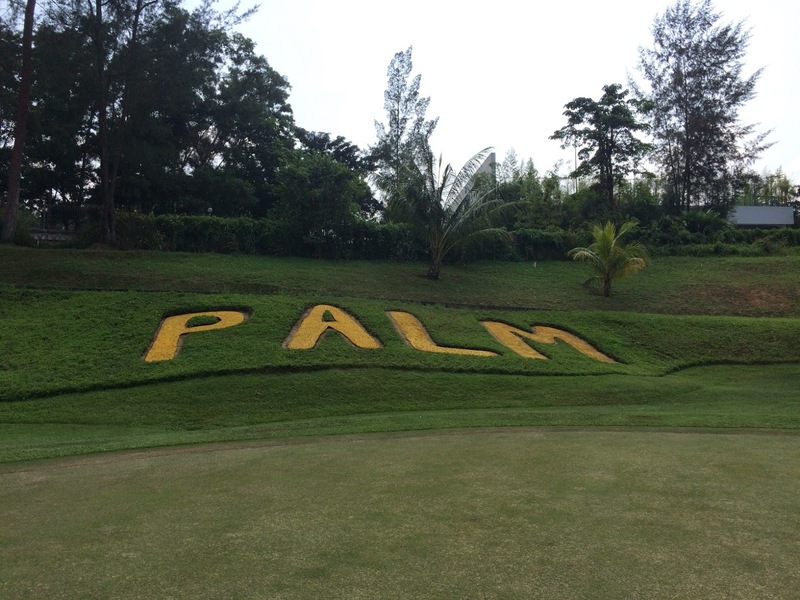 The Resort 9 course was very pleasant and well maintained but the Palm Course was really very good – challenging holes with some incredible views. 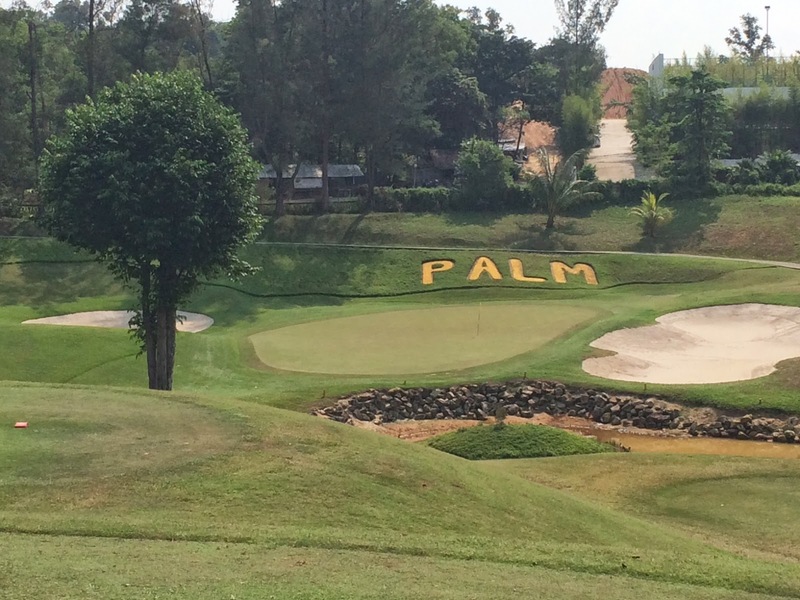 Greens on the Palm were very quick and with the slopes and pin positions made this a difficult 9. 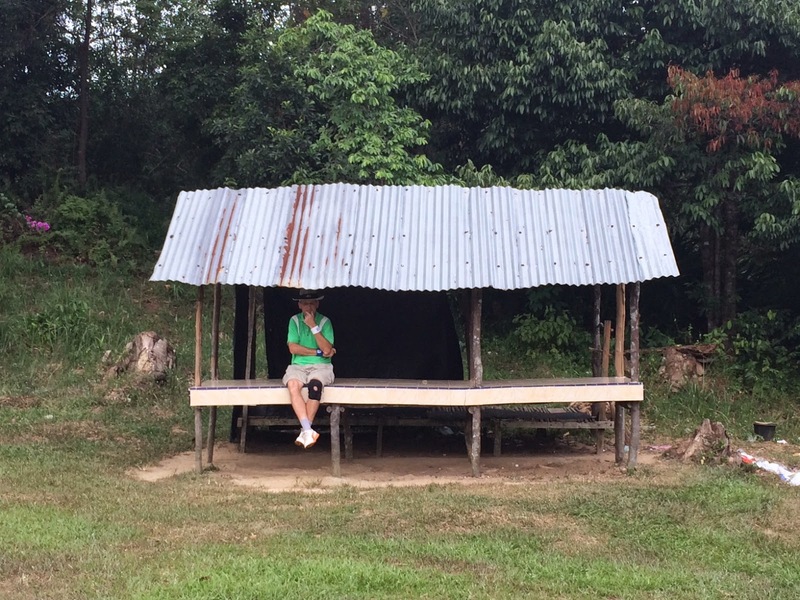 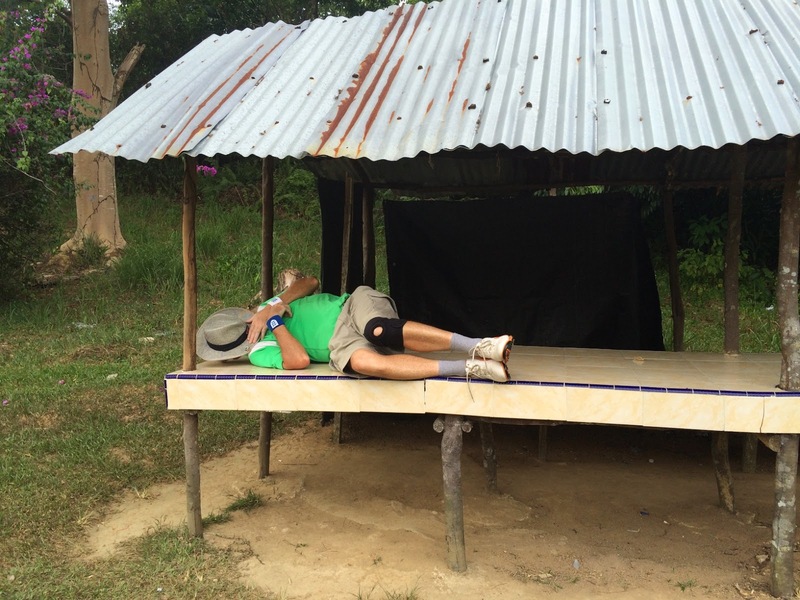 We finished by around 3:30 pm to 4pm and had drinks on the verandah prior to taking the bus back to the hotel. 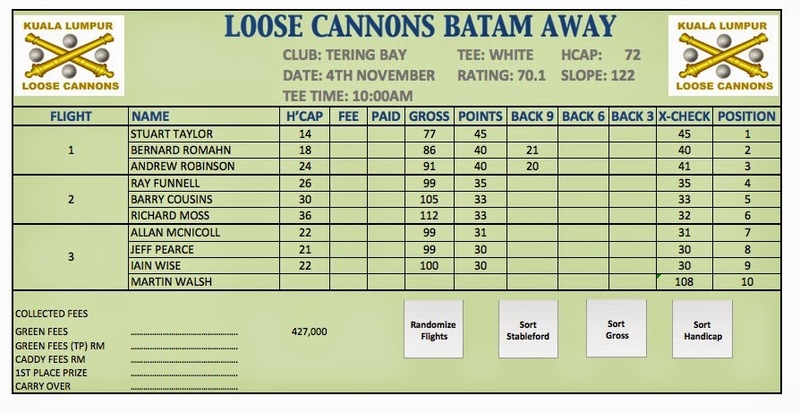 10 Loose Cannons headed to Batam, Indonesia on Sunday 2nd November for a 3 day away trip, flying from Subang airport on Firefly. 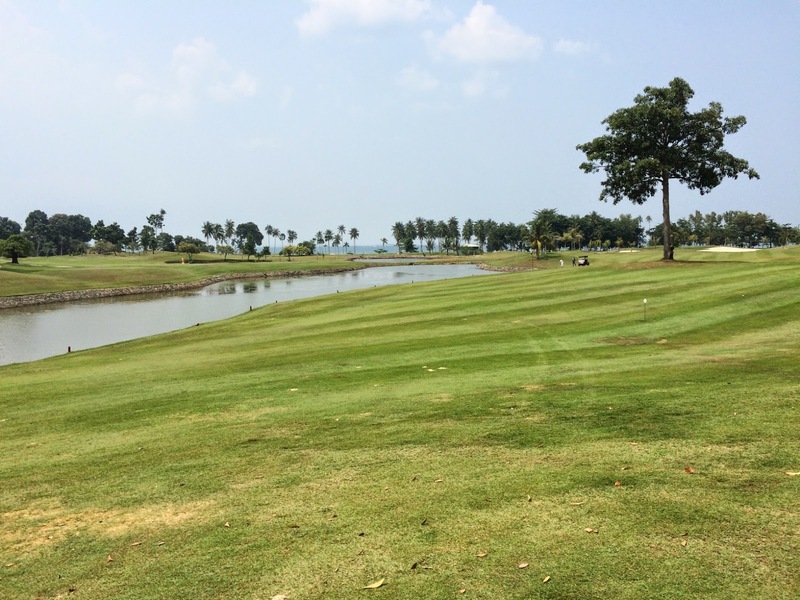 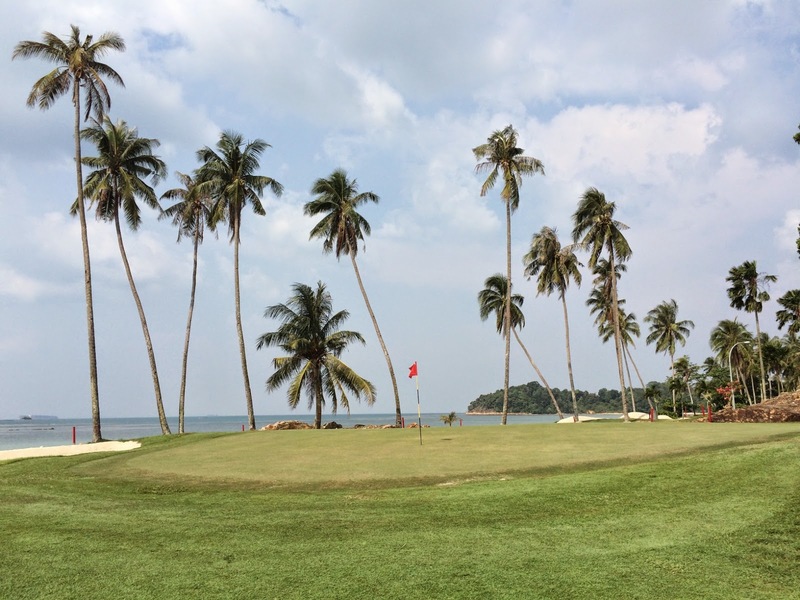 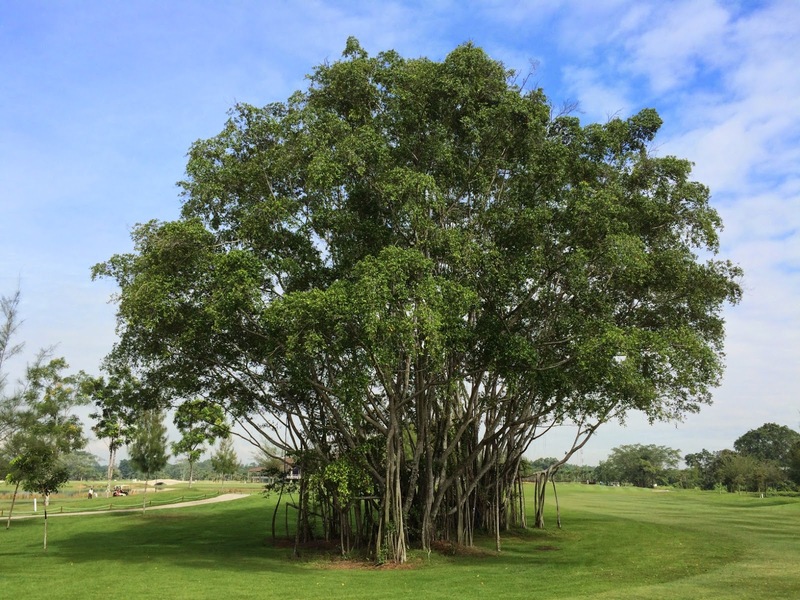 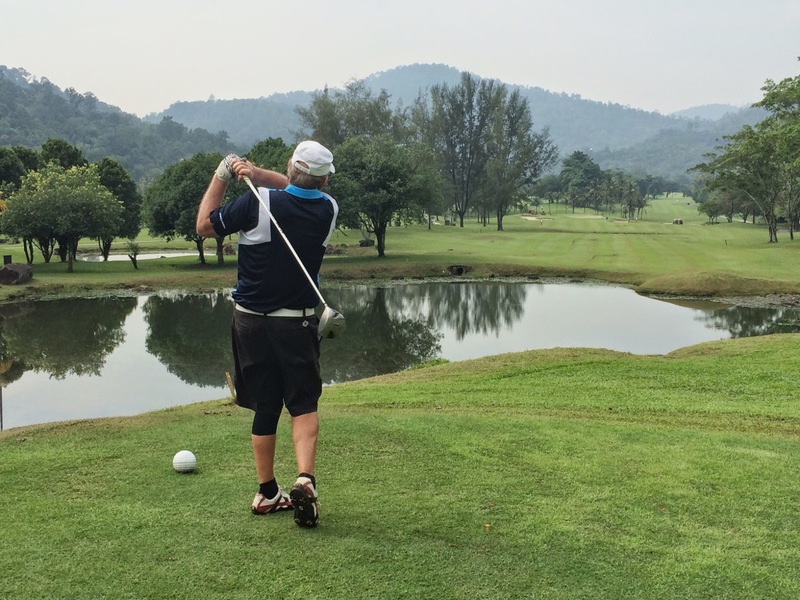 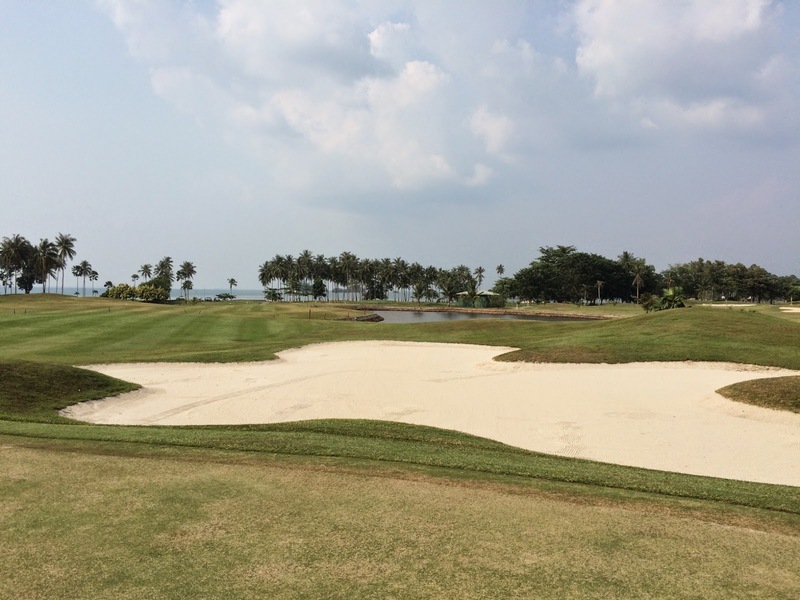 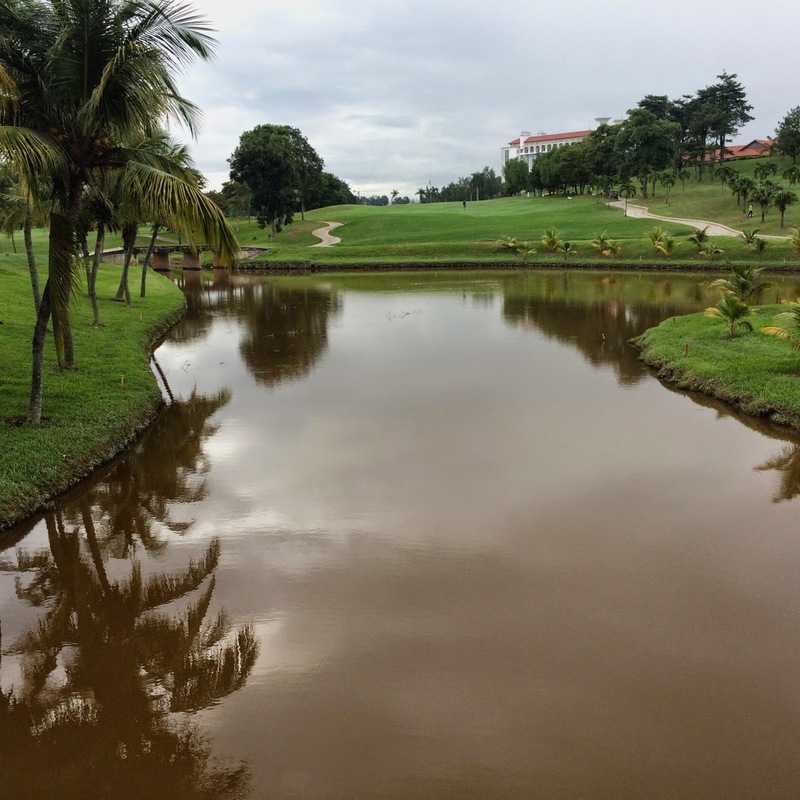 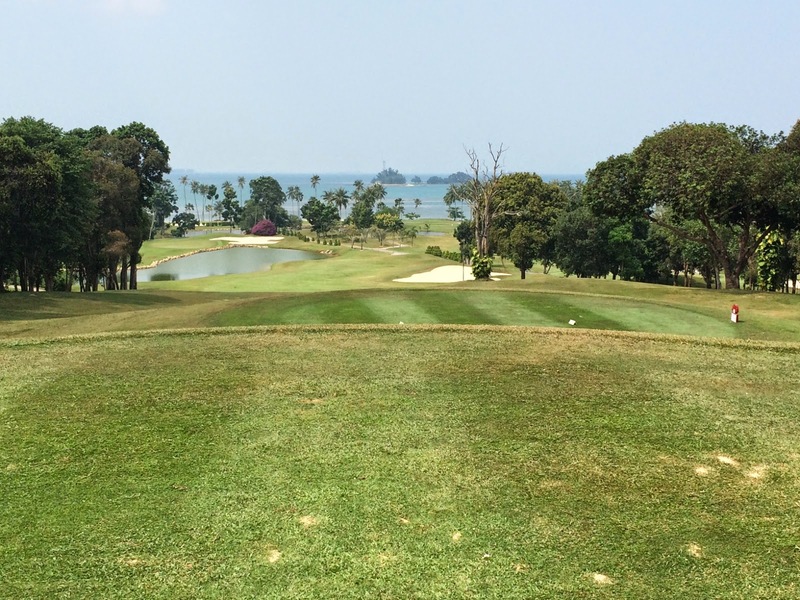 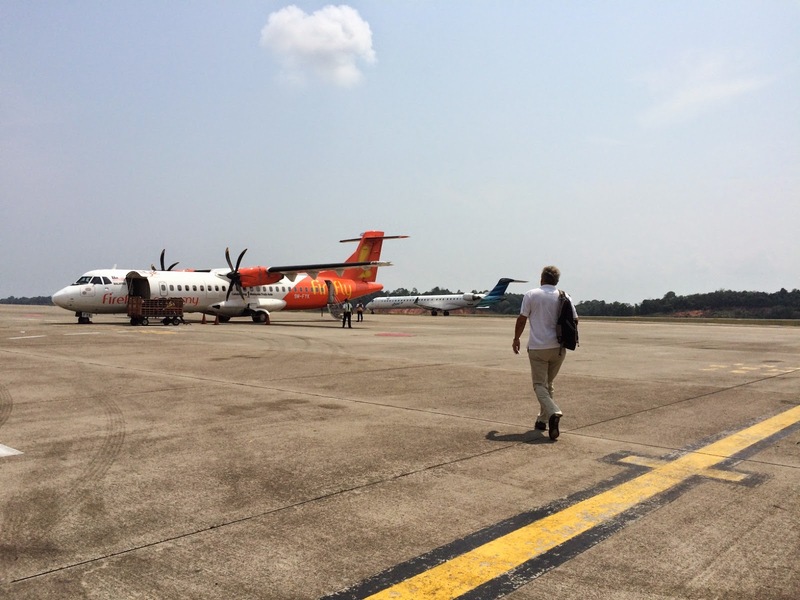 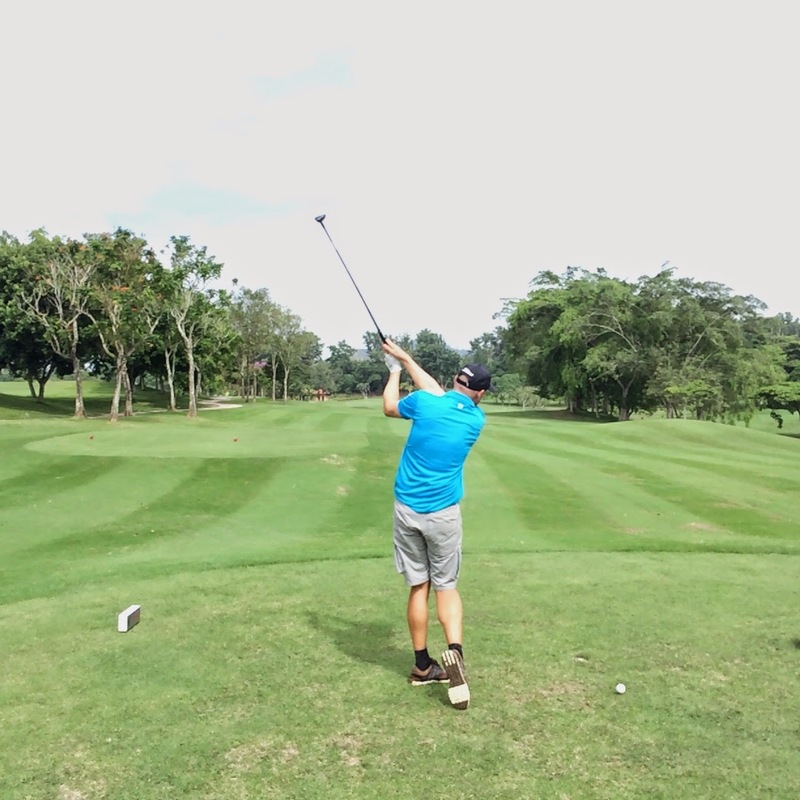 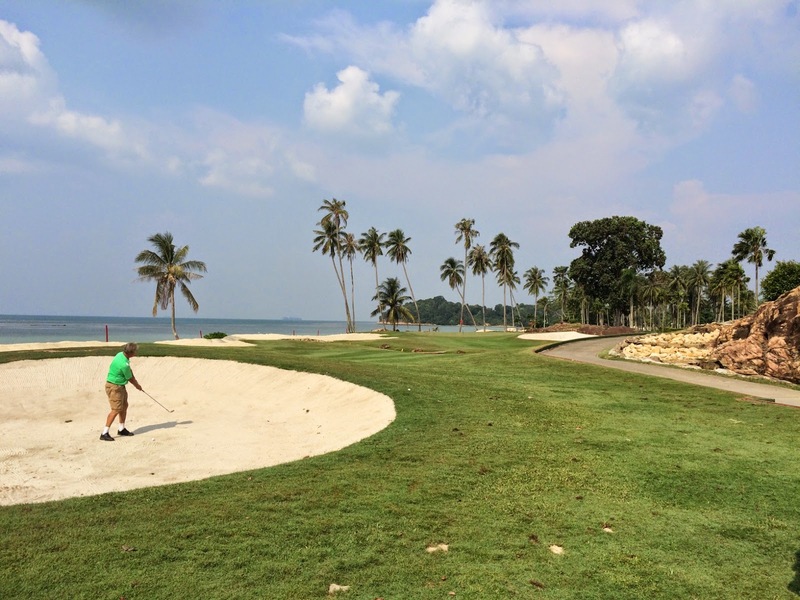 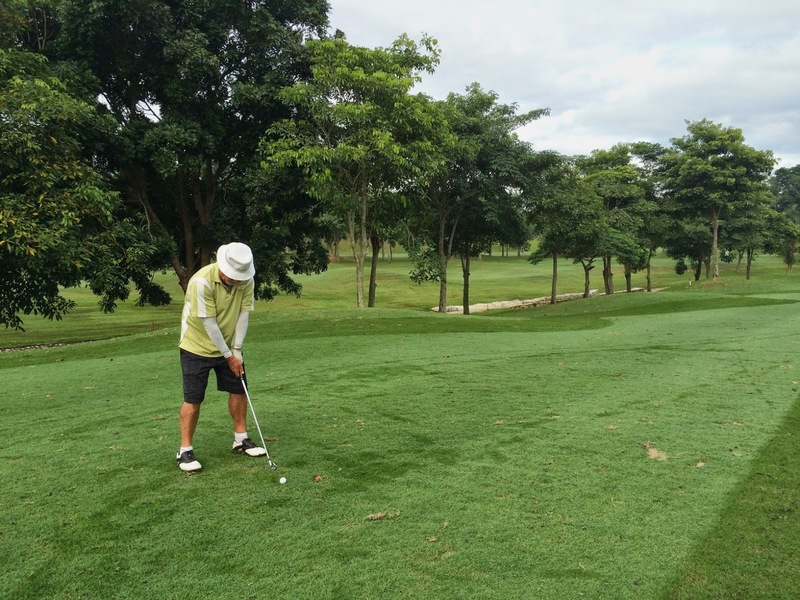 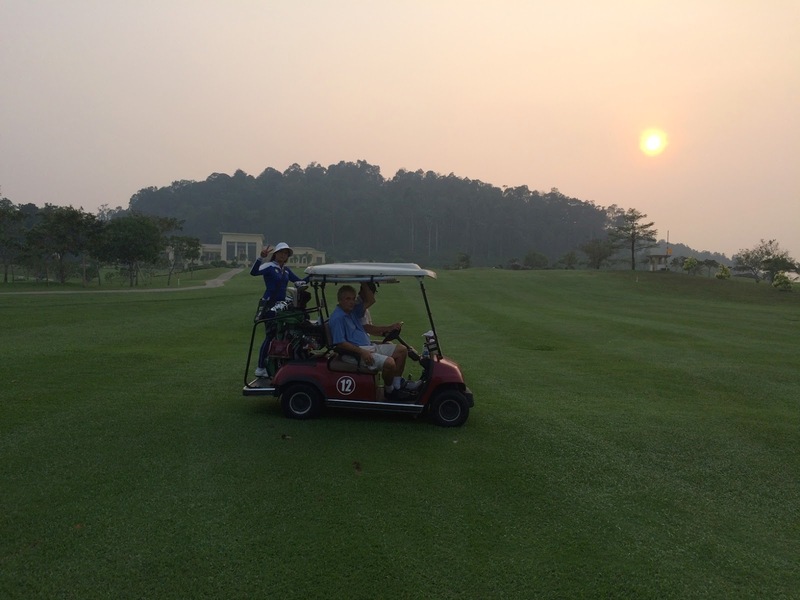 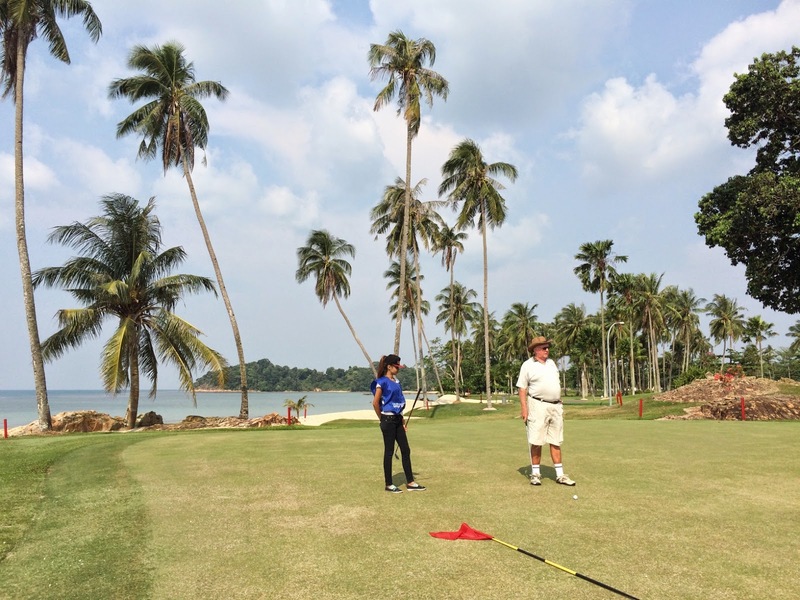 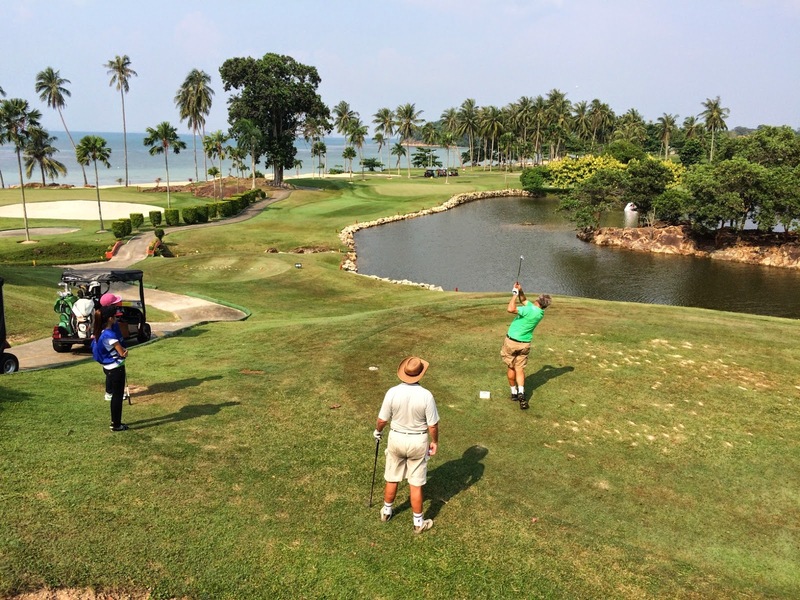 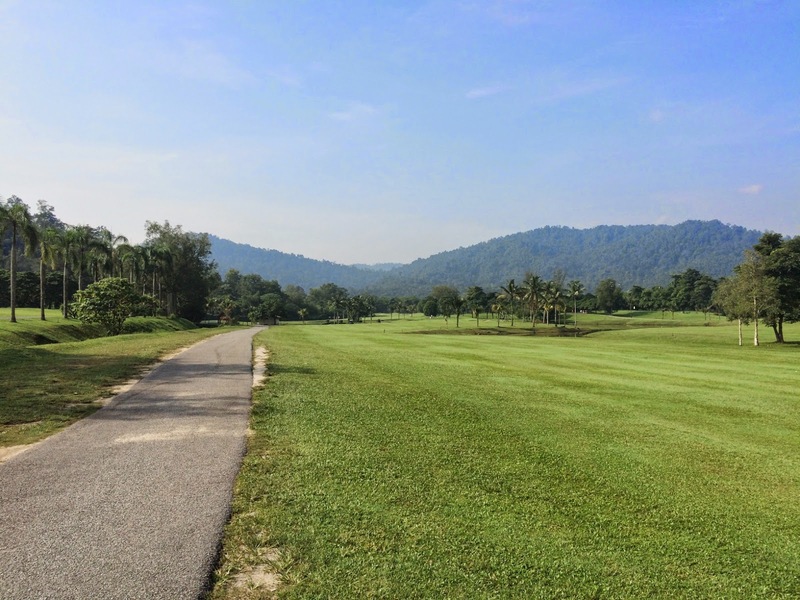 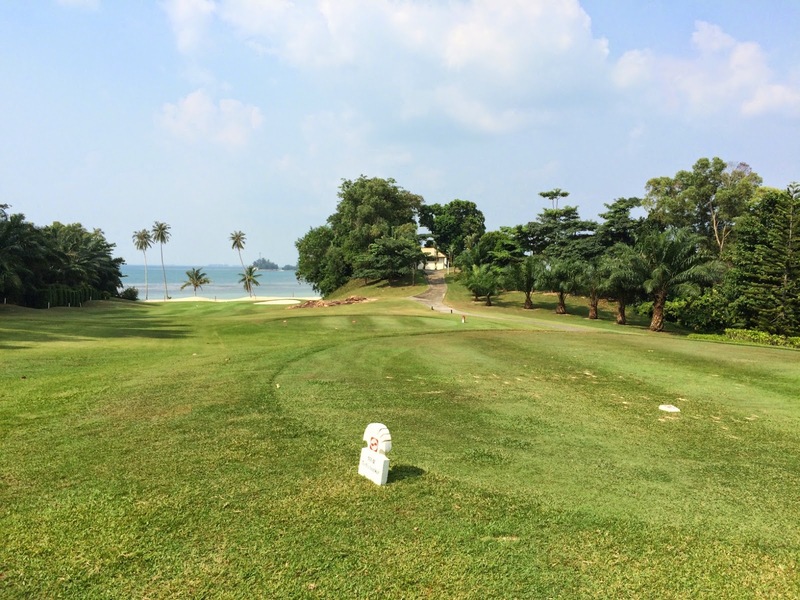 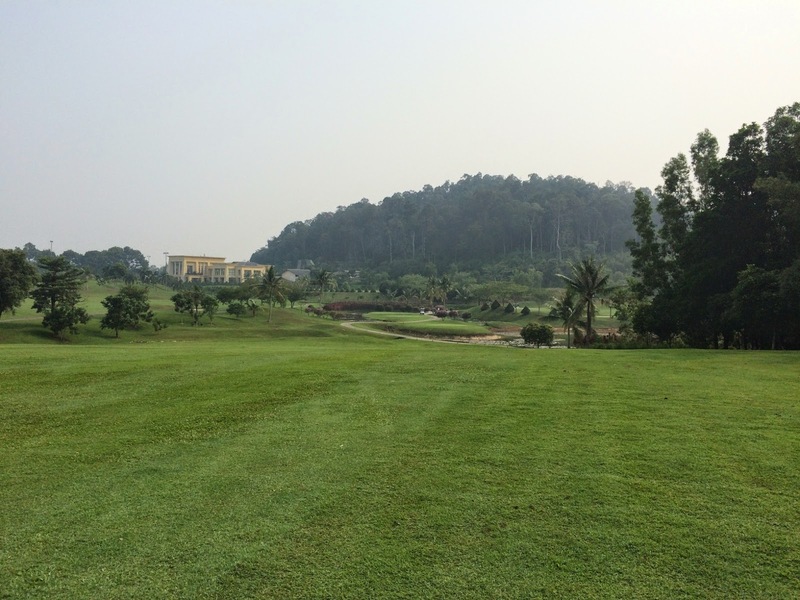 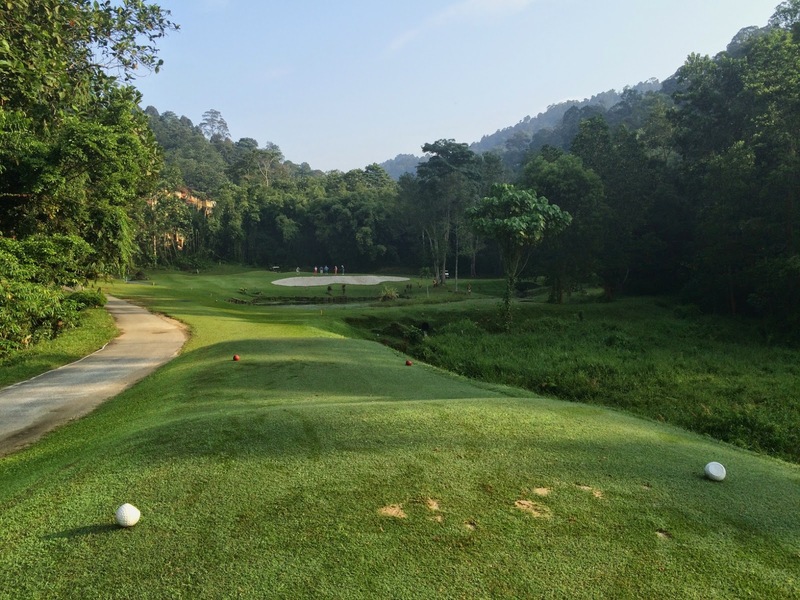 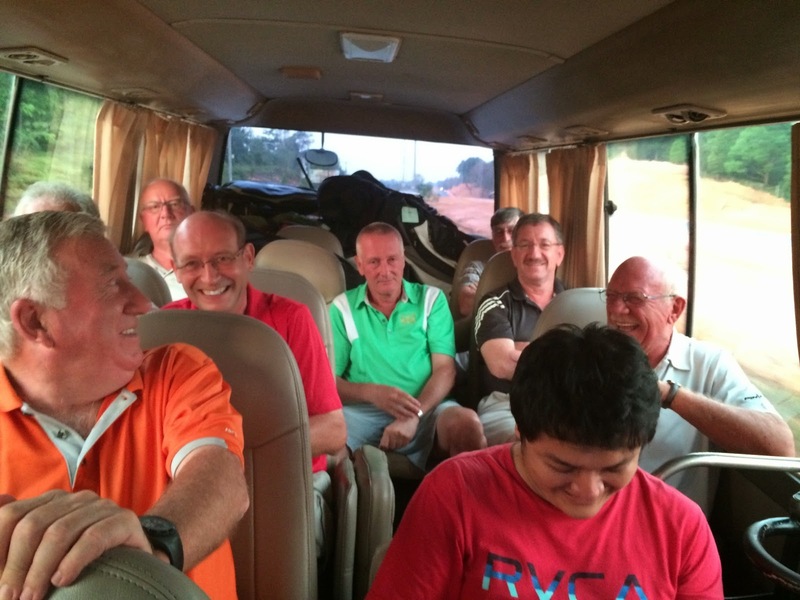 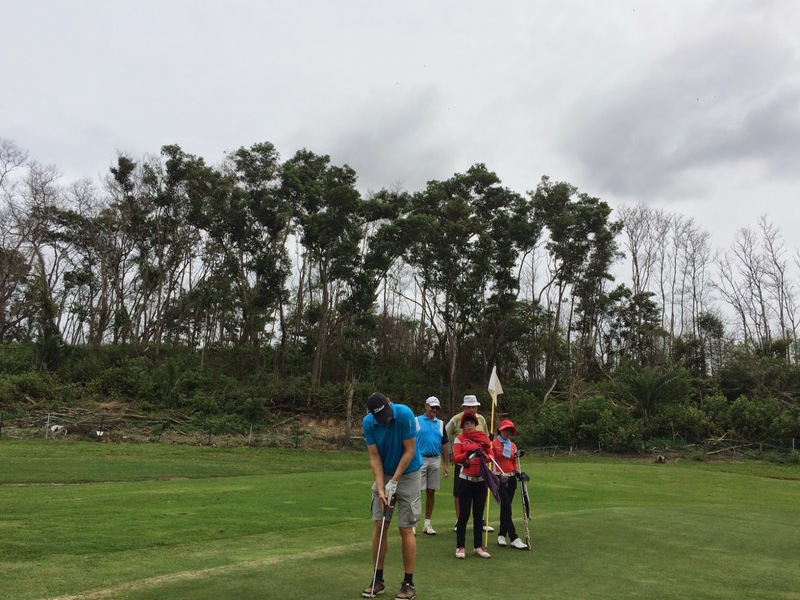 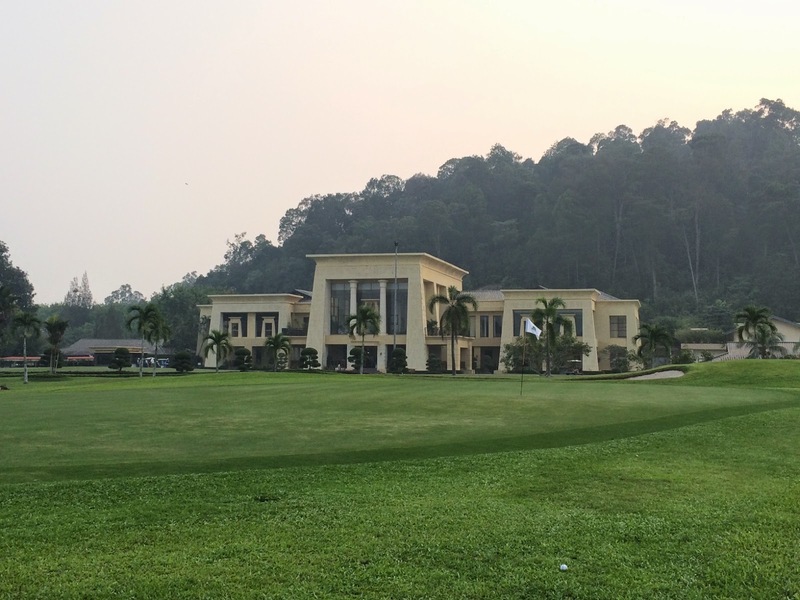 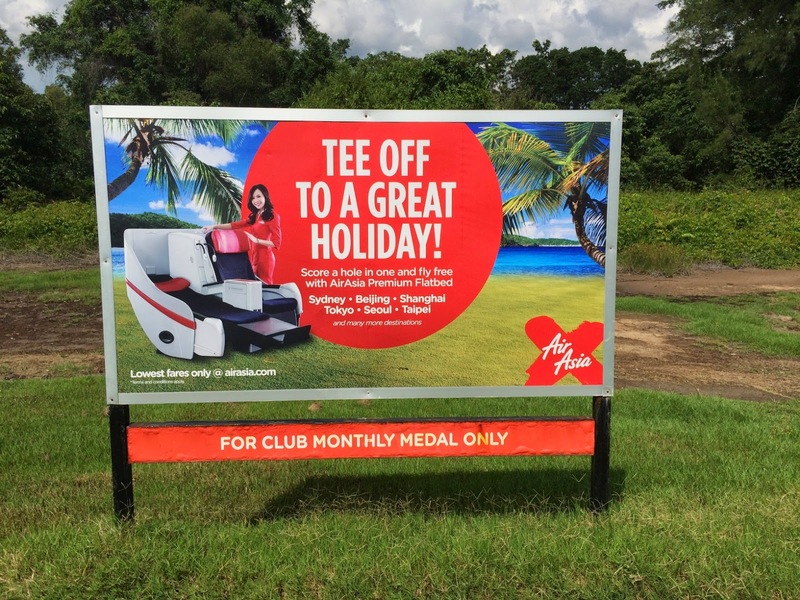 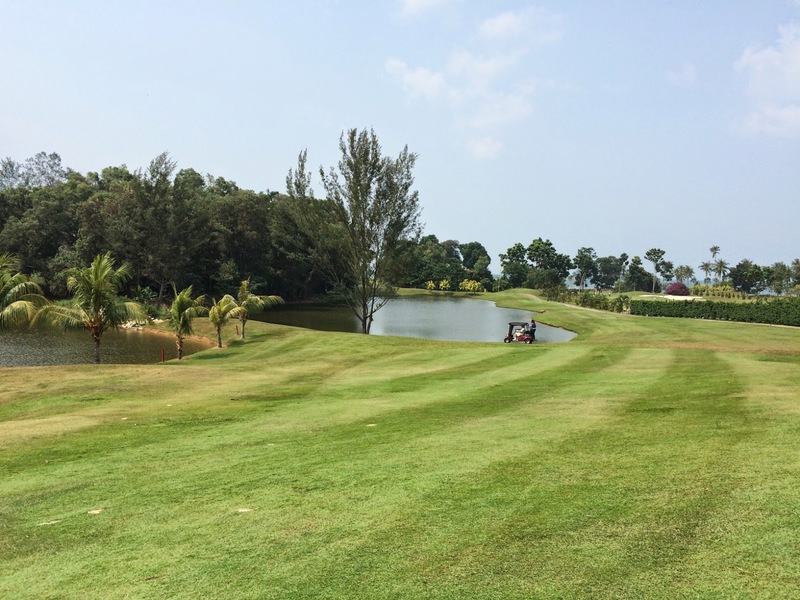 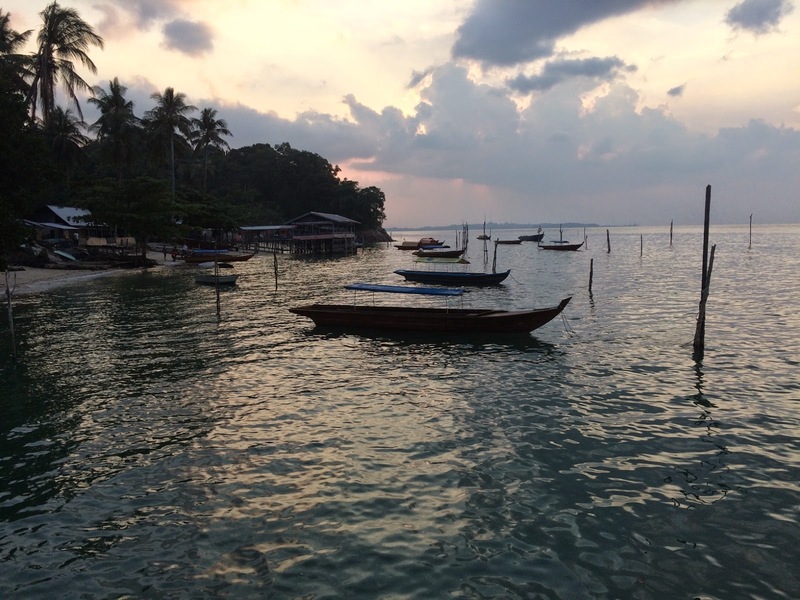 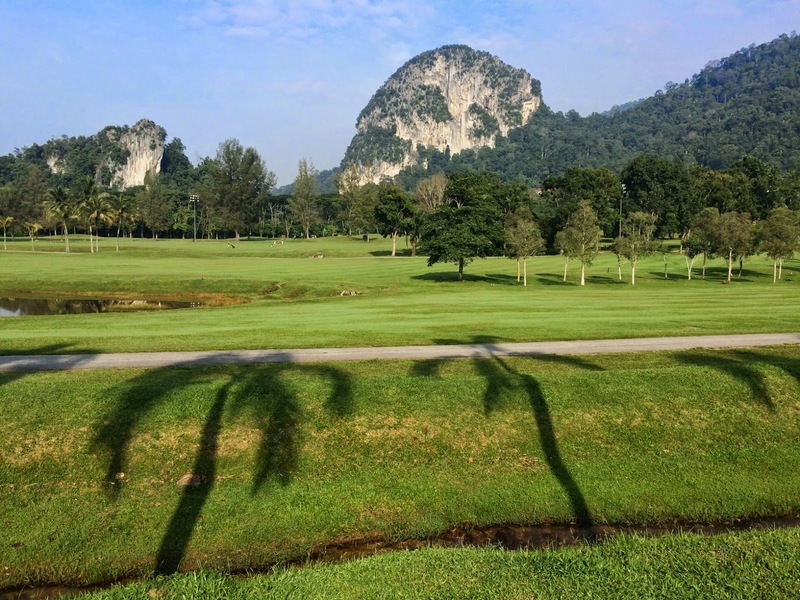 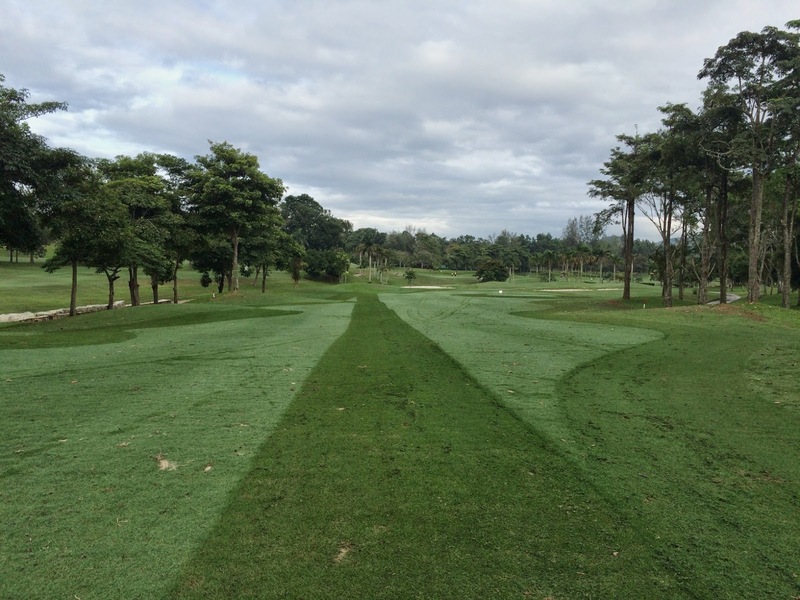 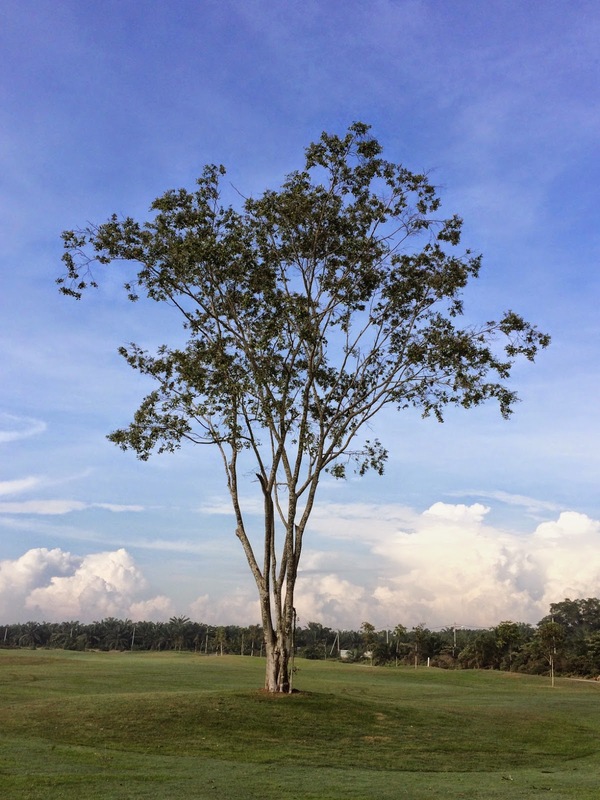 On arrival in Batam we were met by our arranged driver who then took us in a 24 seater bus to the first golf course – Batam Hills. 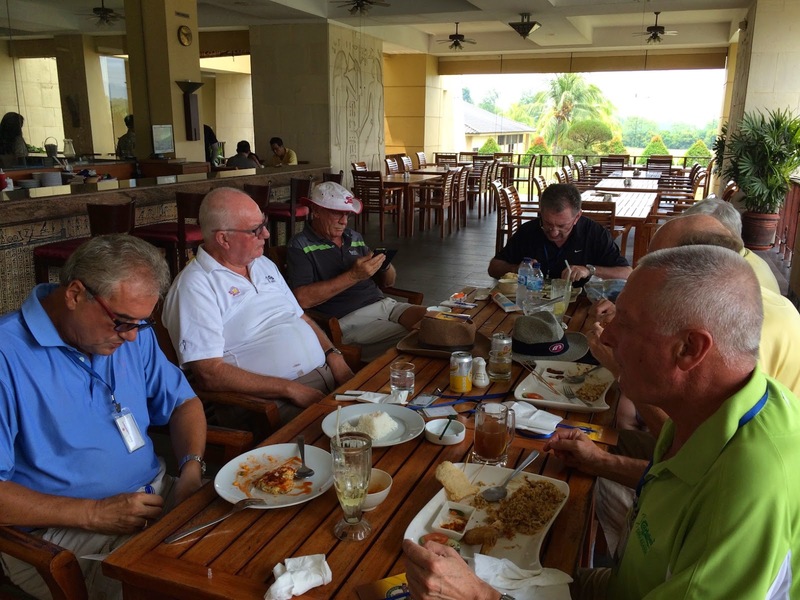 We had time for some lunch prior to the game and teed off at around 1pm. 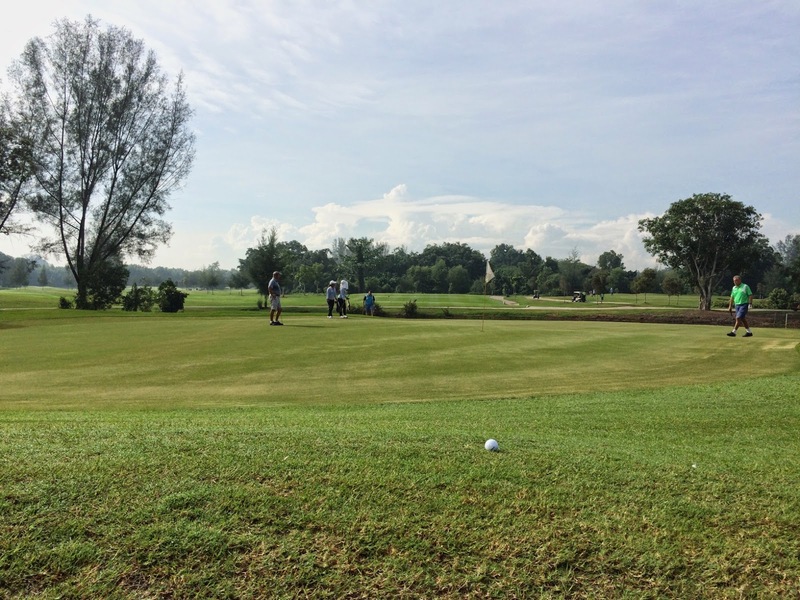 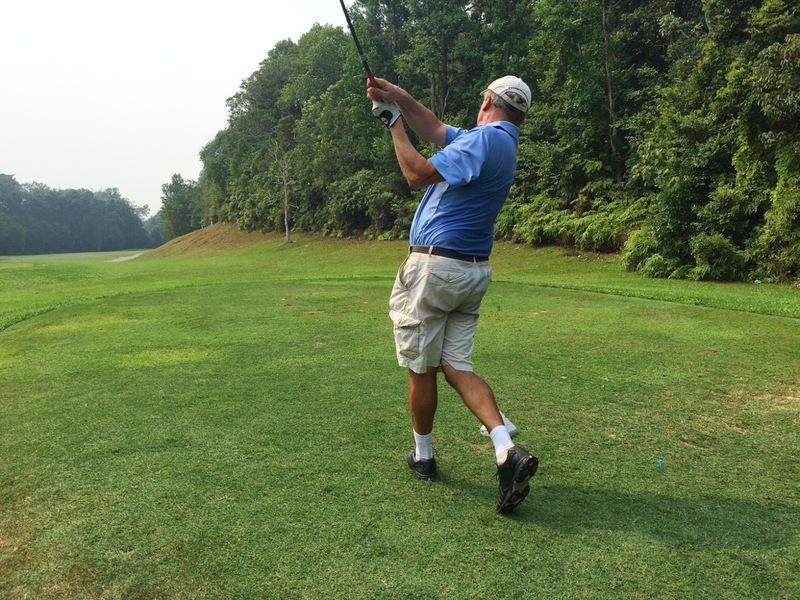 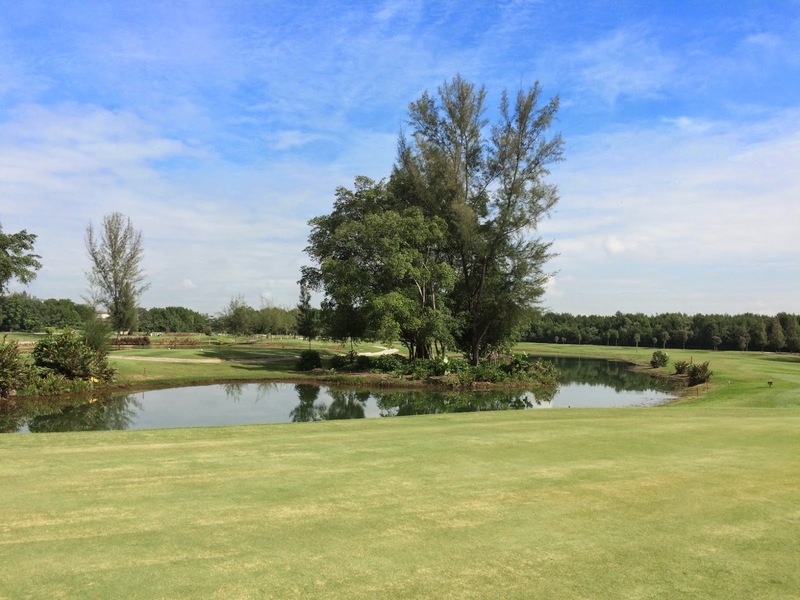 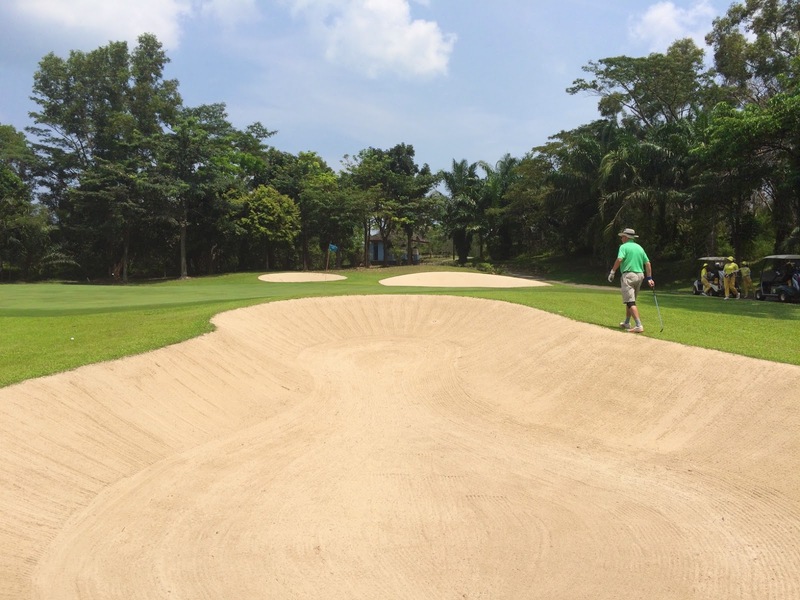 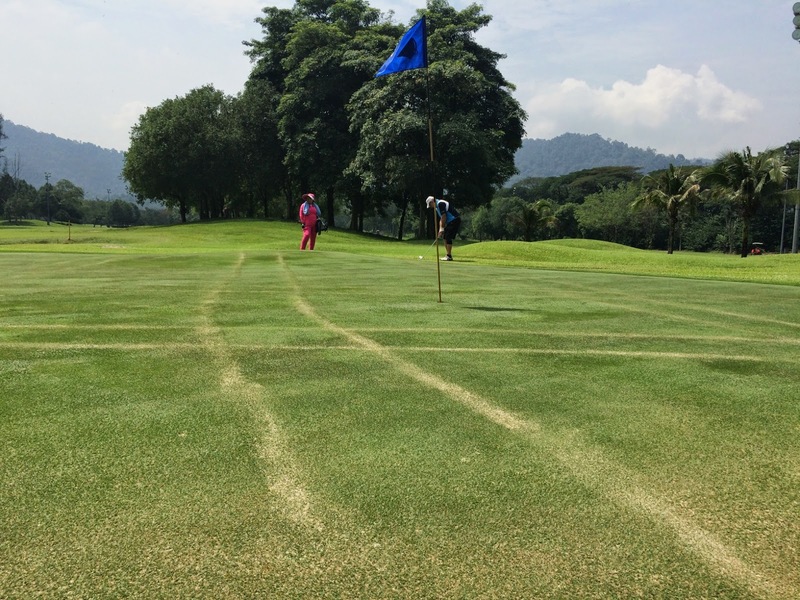 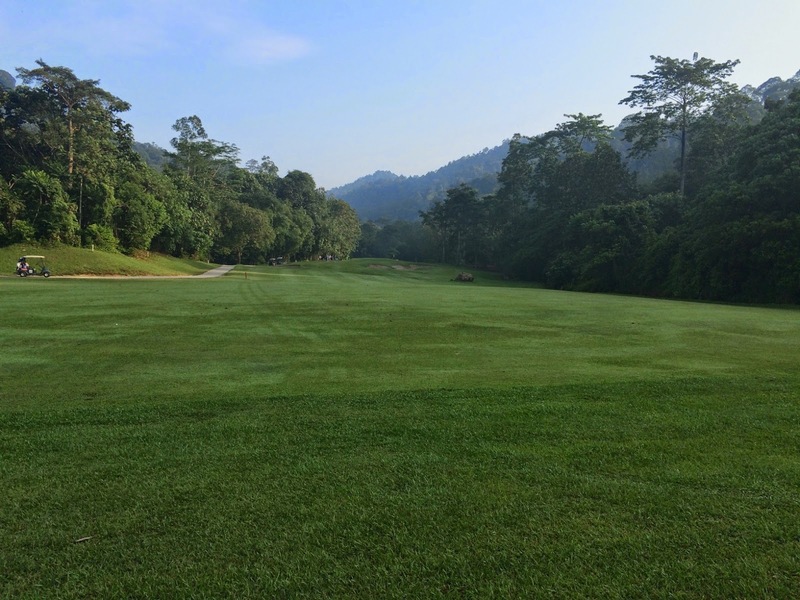 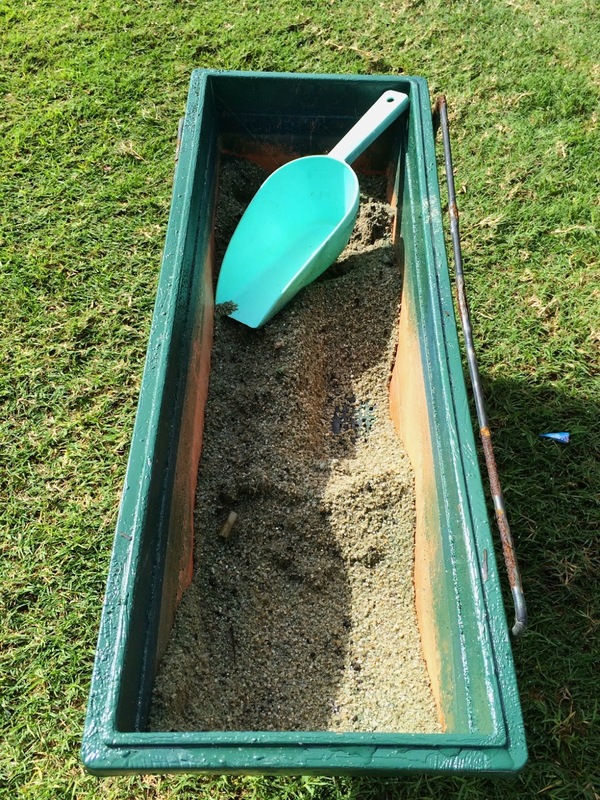 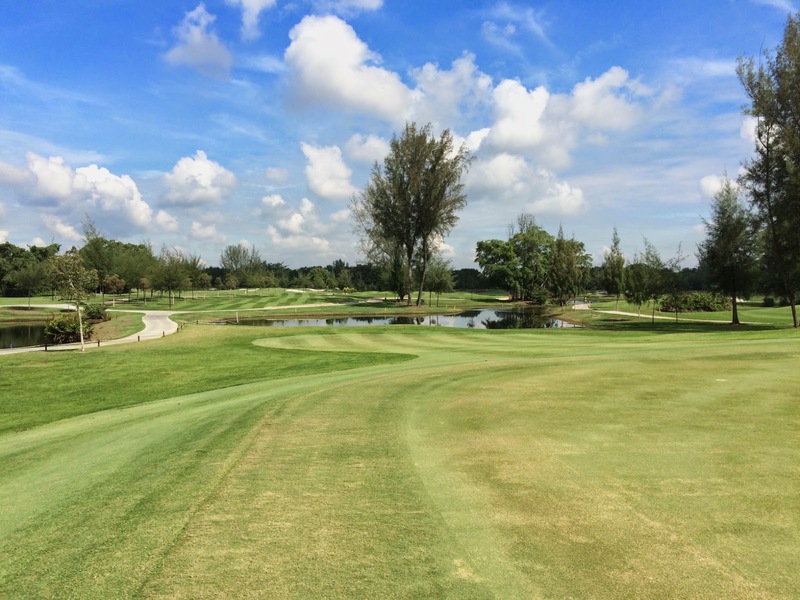 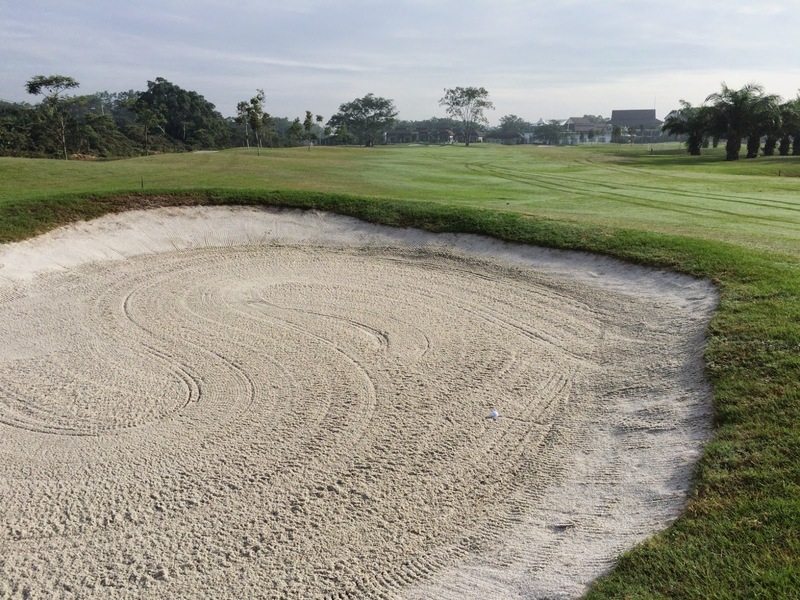 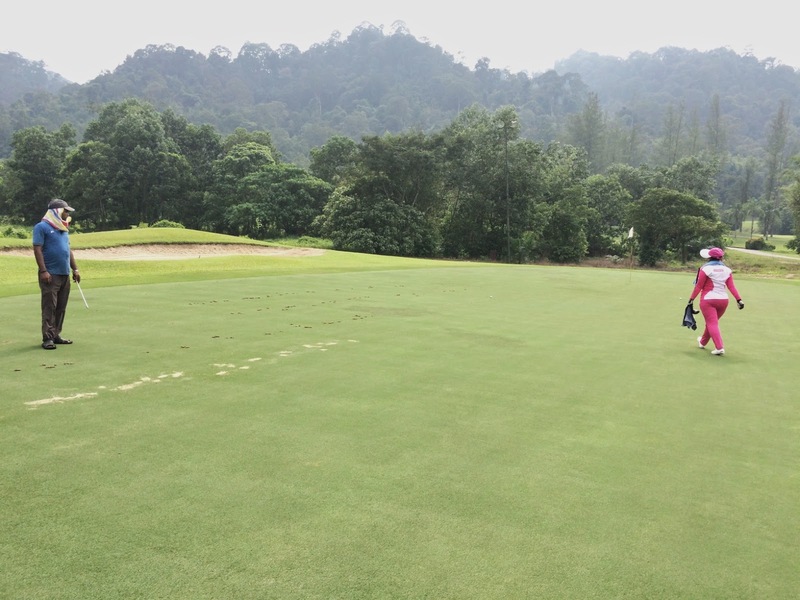 Weather conditions were hot and humid and the course was in good condition with the exception of some greens which had been hollow tined and sanded. 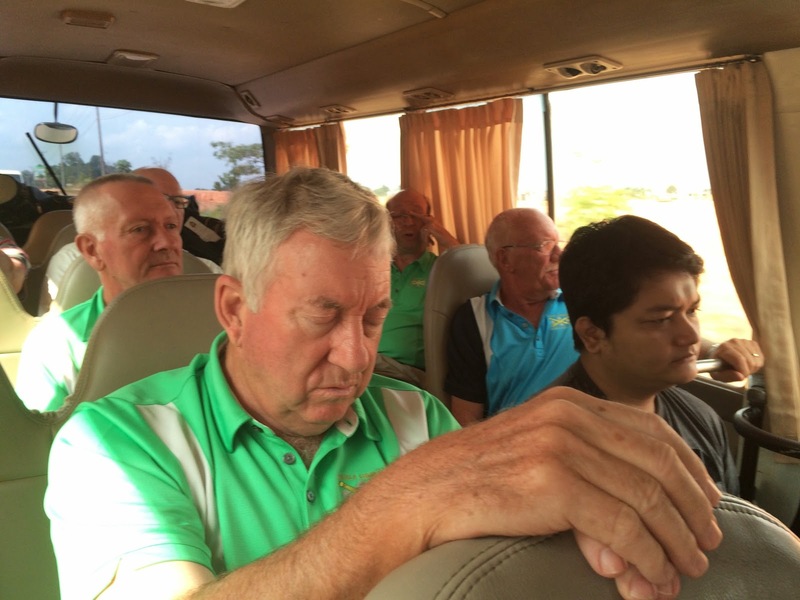 We all finished by around 5pm and then had post-game drinks at the club with the announcement of the results prior to taking the bus into Nagoya to the Harmoni Hotel.